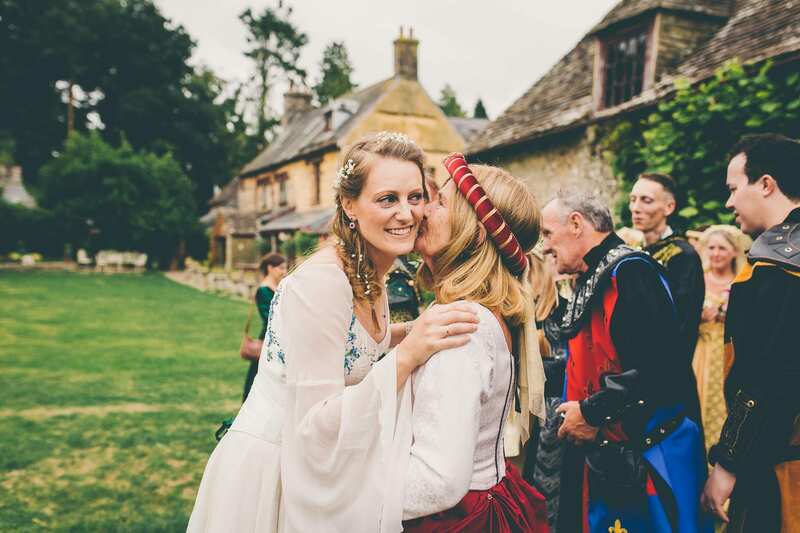 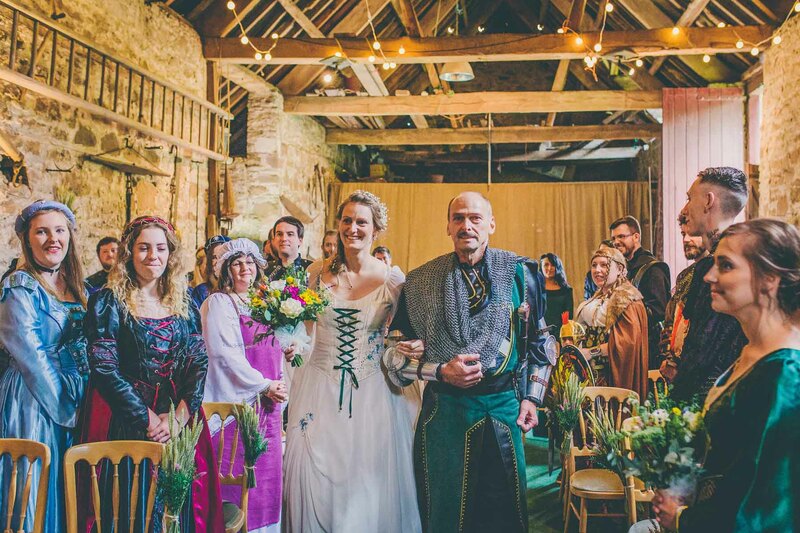 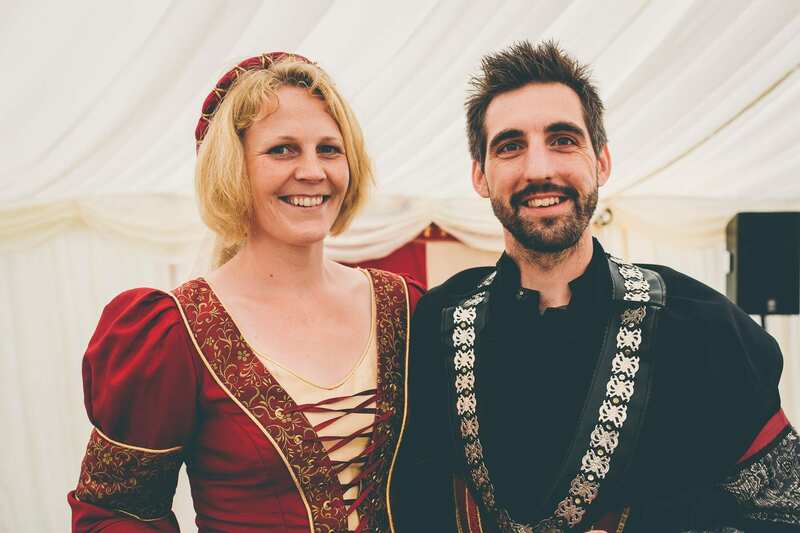 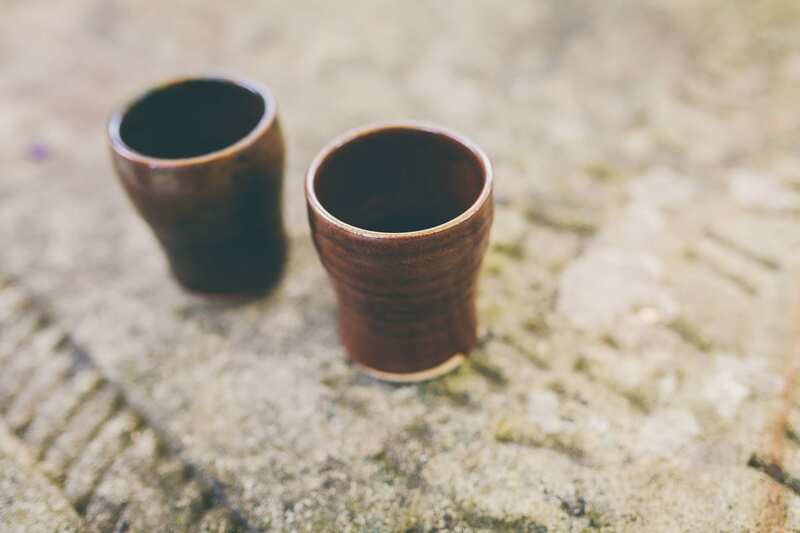 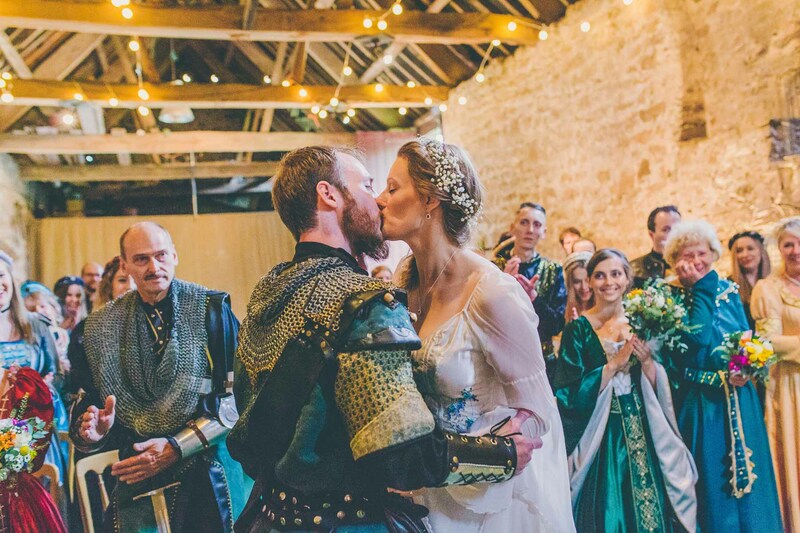 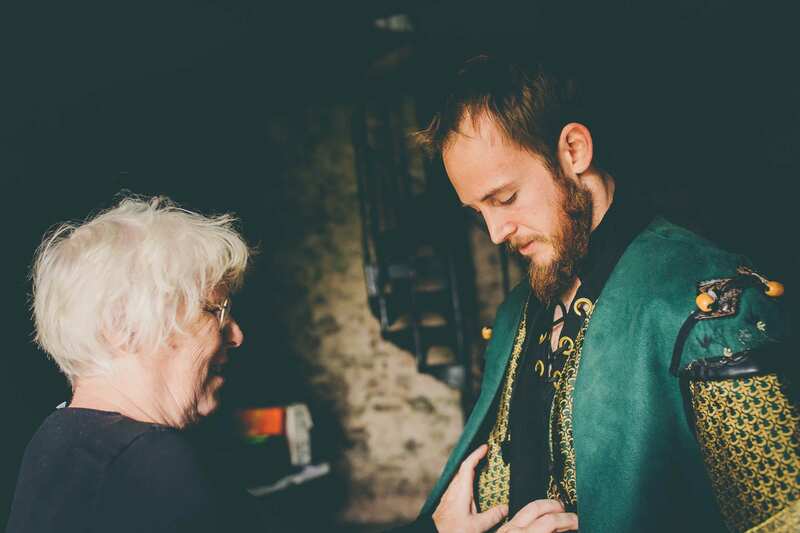 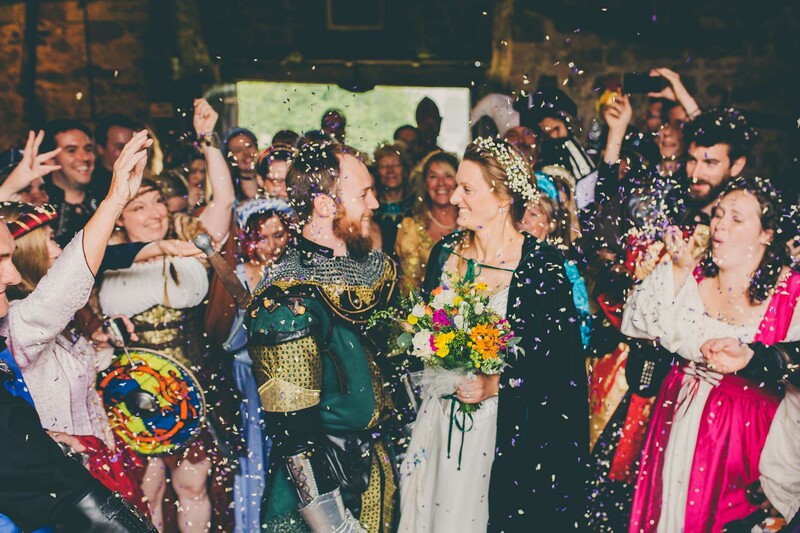 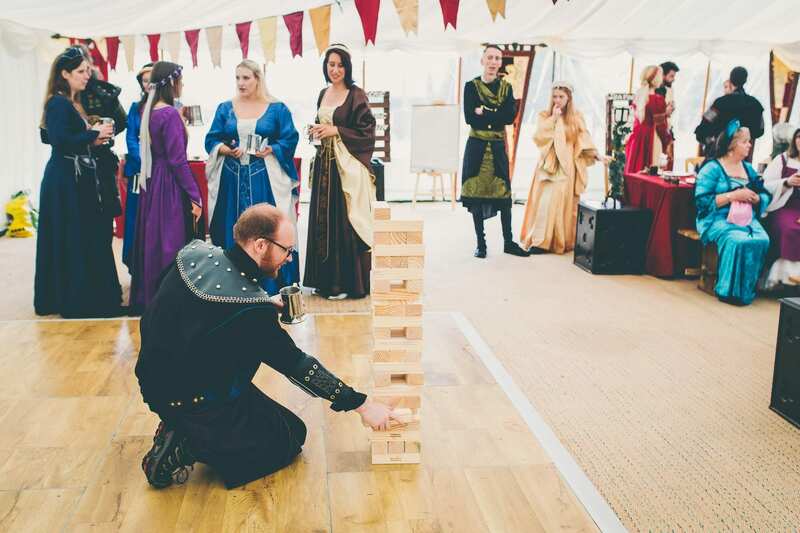 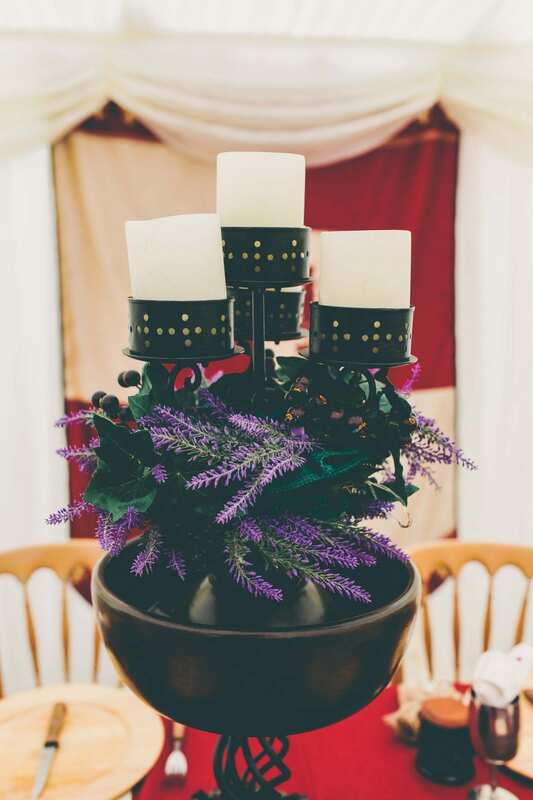 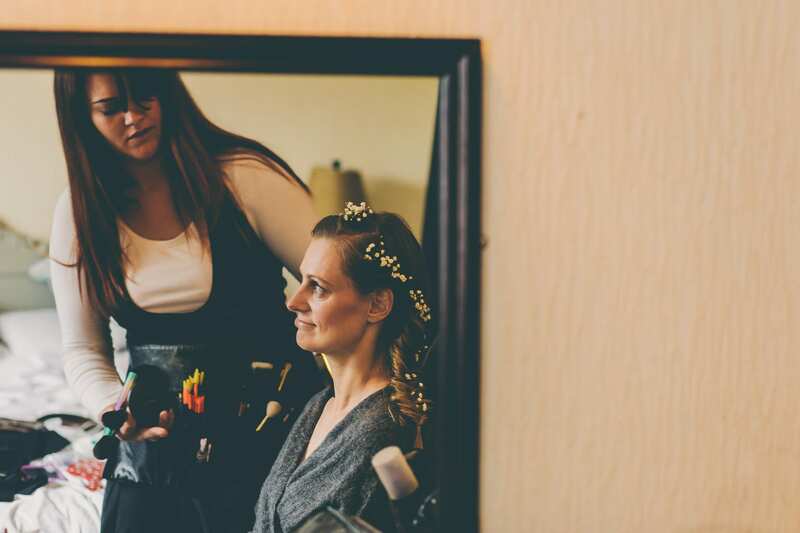 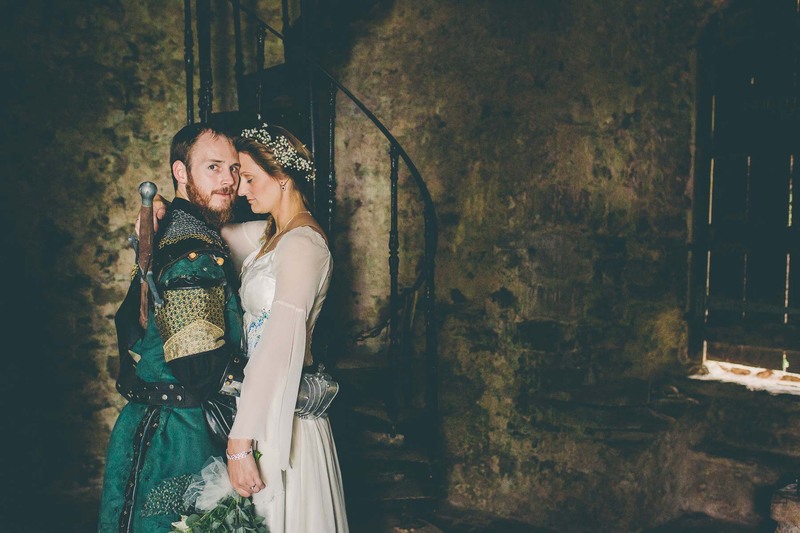 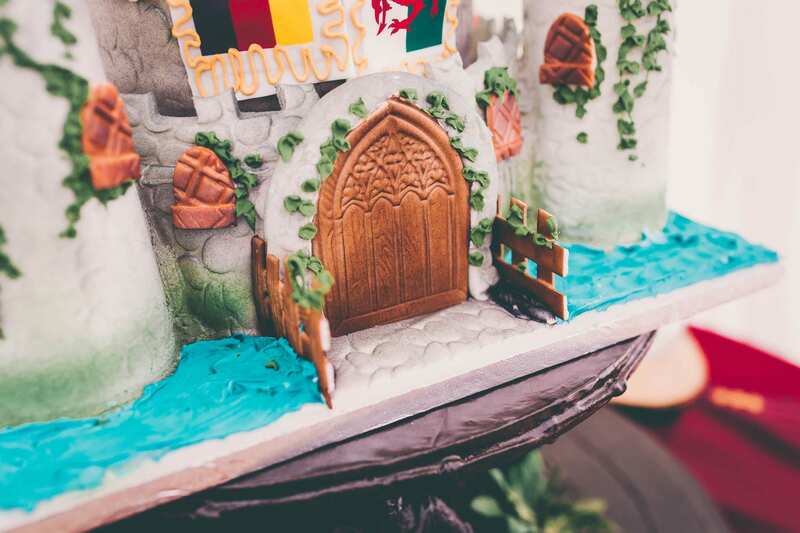 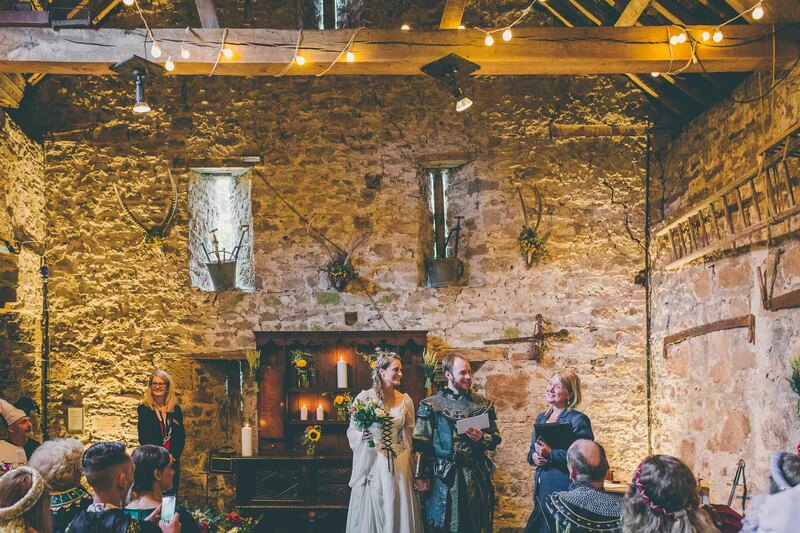 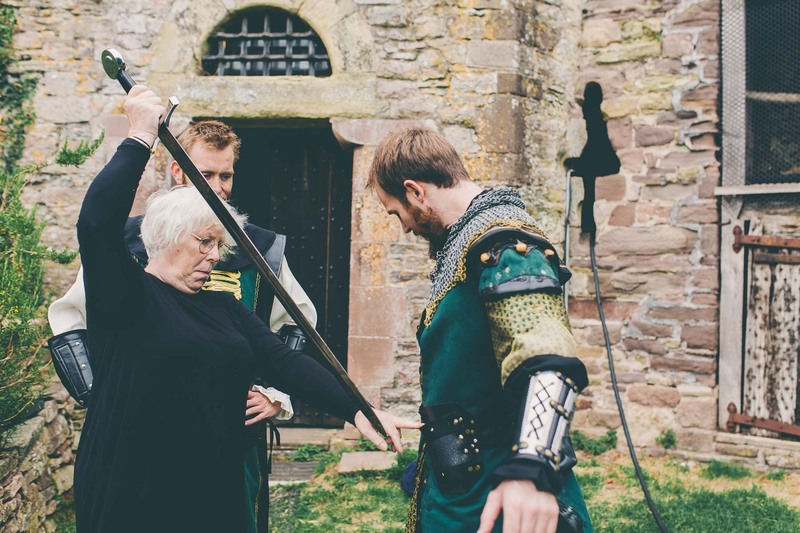 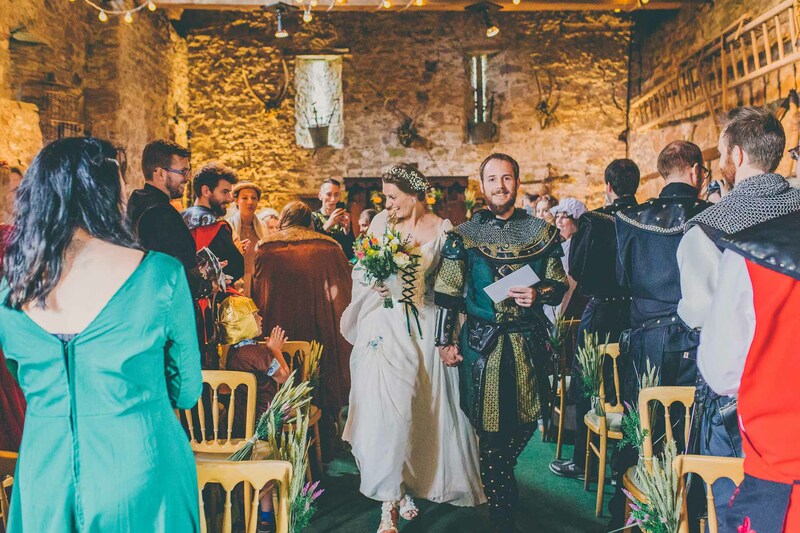 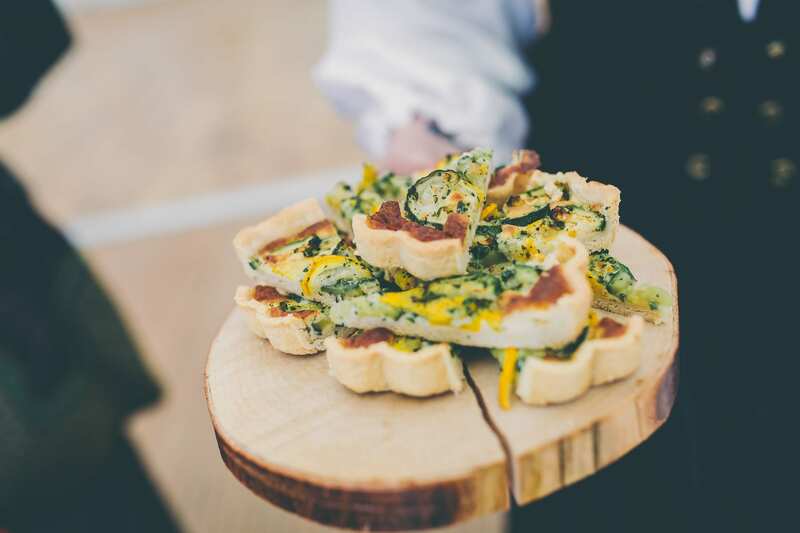 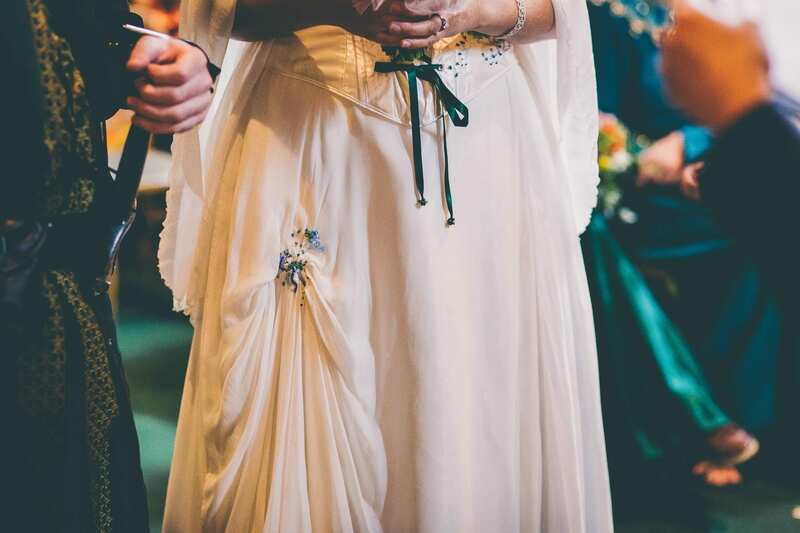 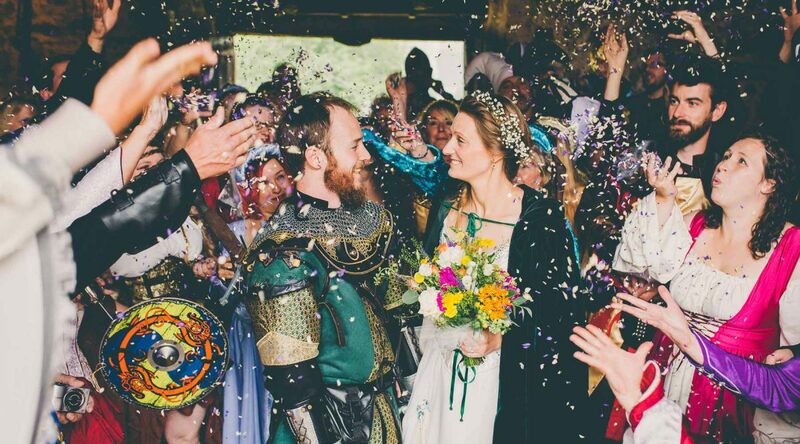 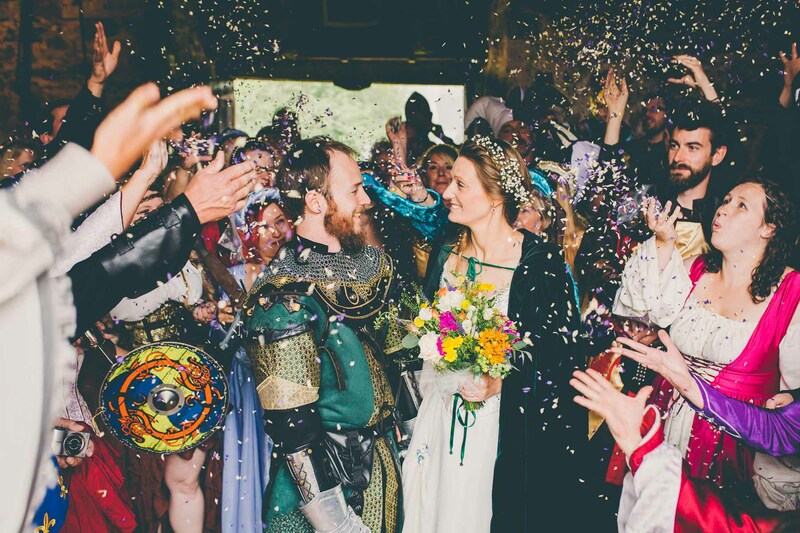 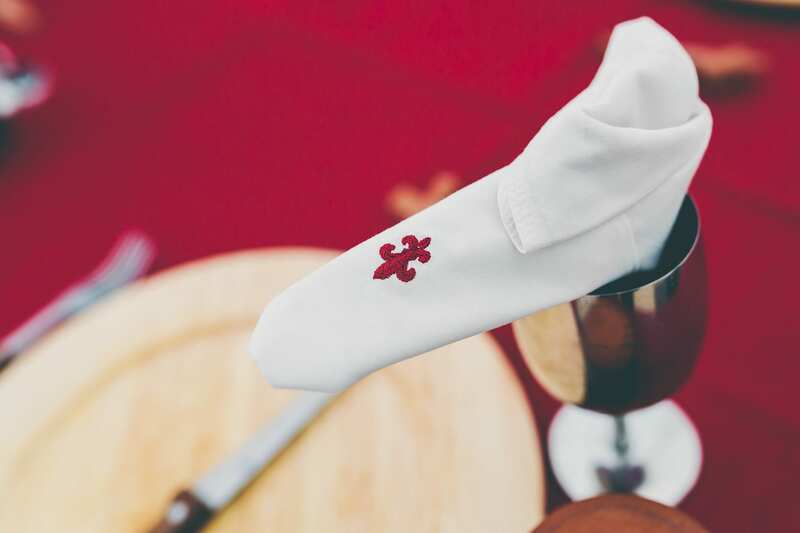 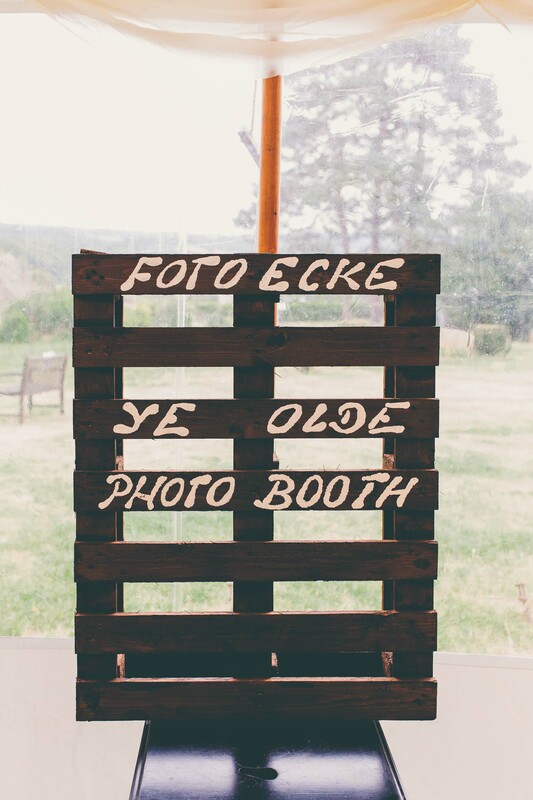 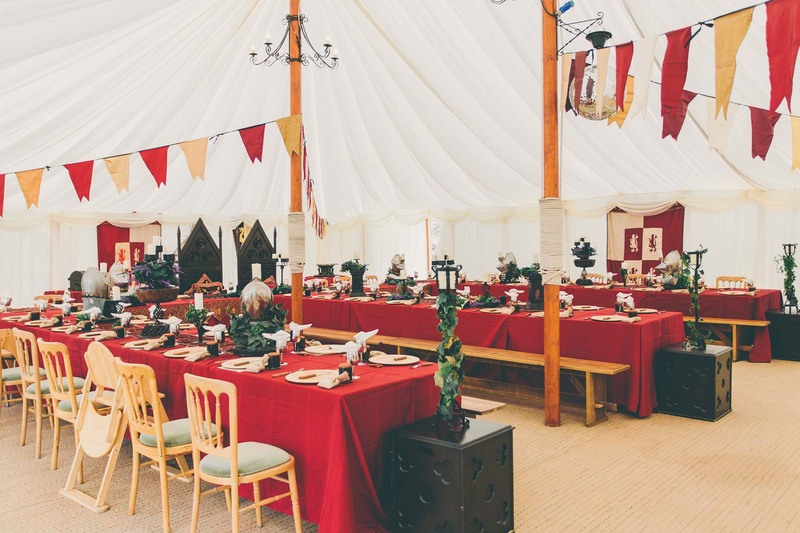 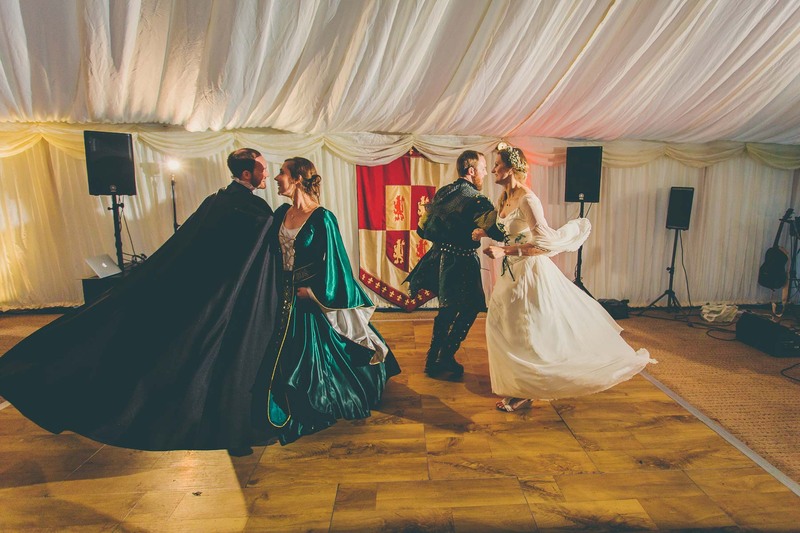 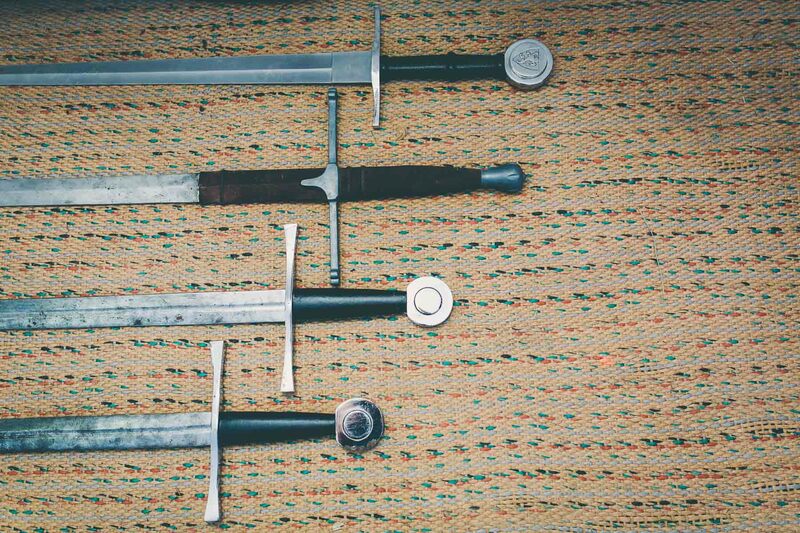 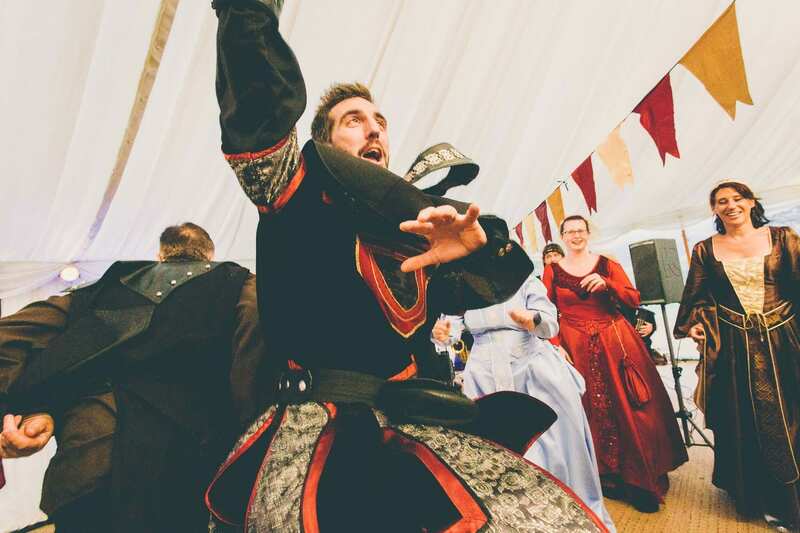 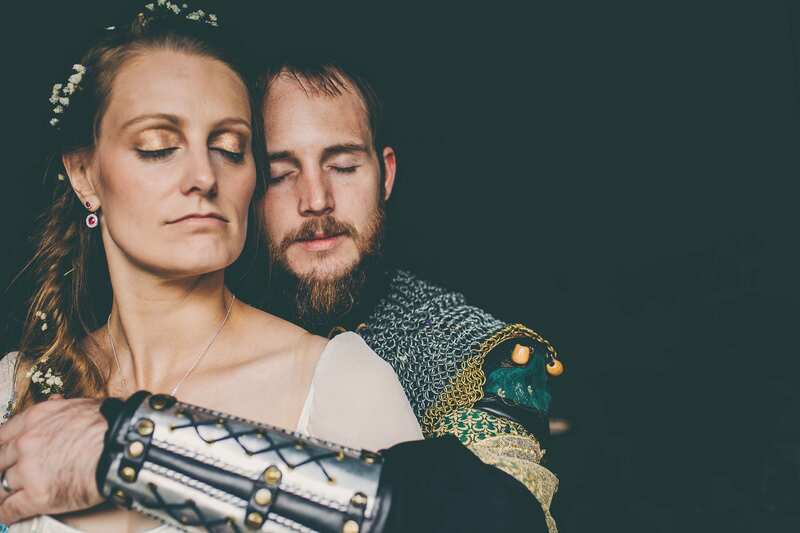 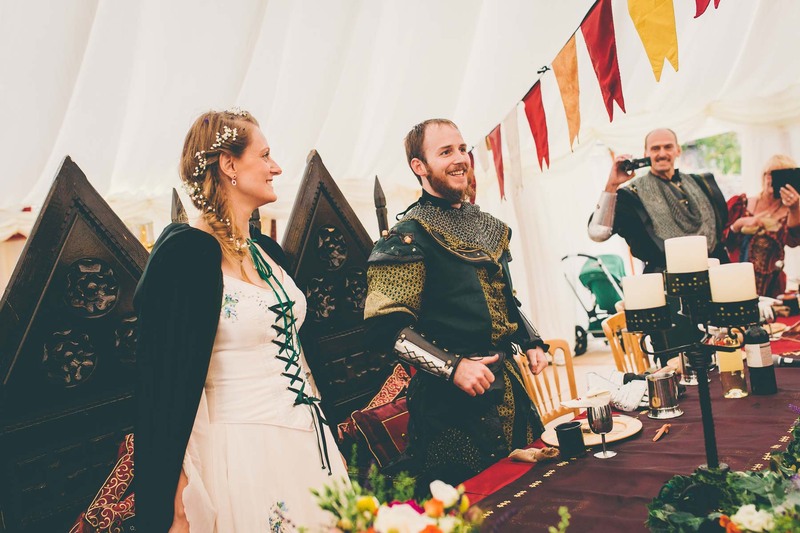 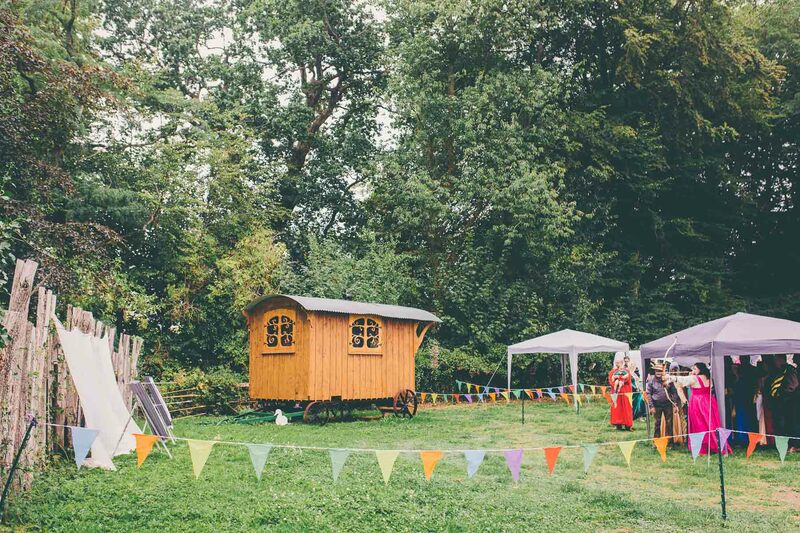 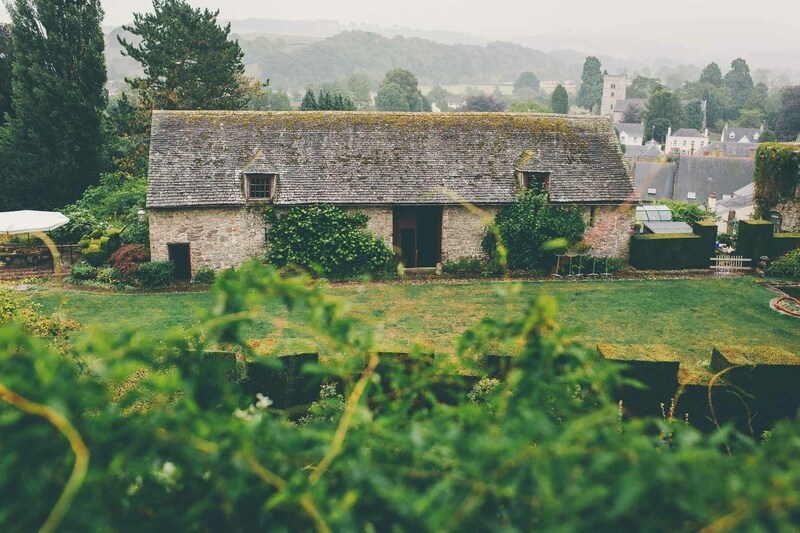 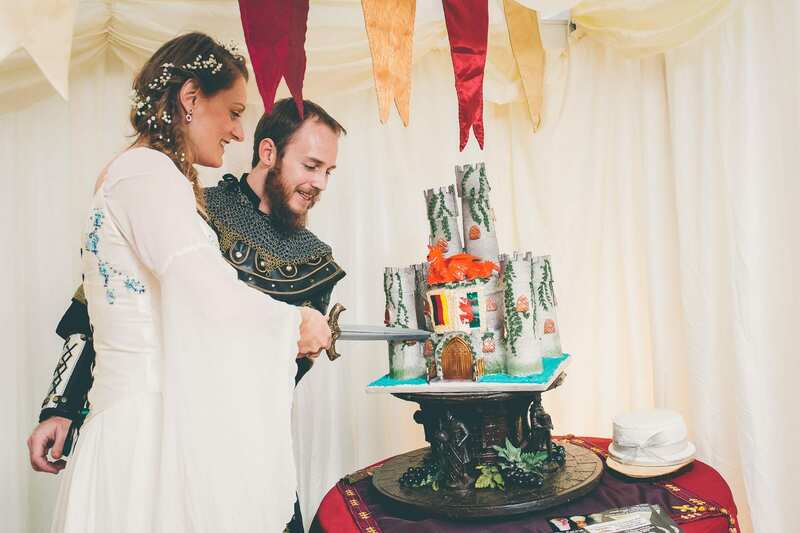 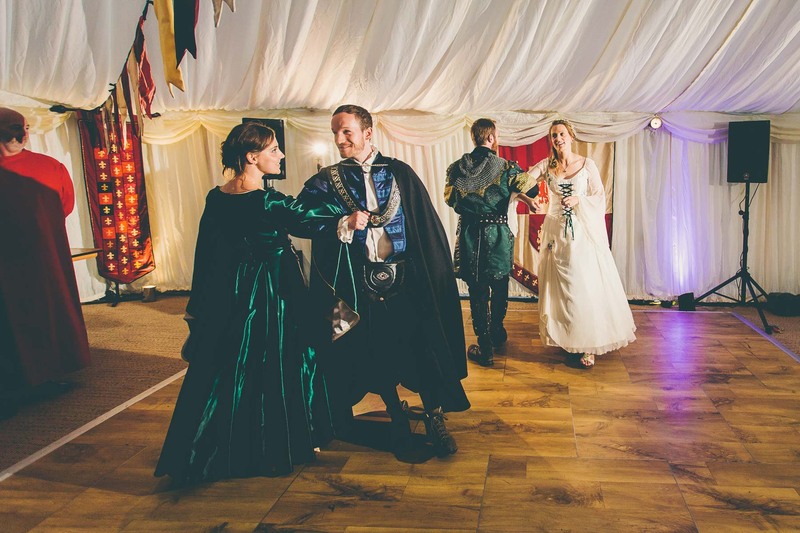 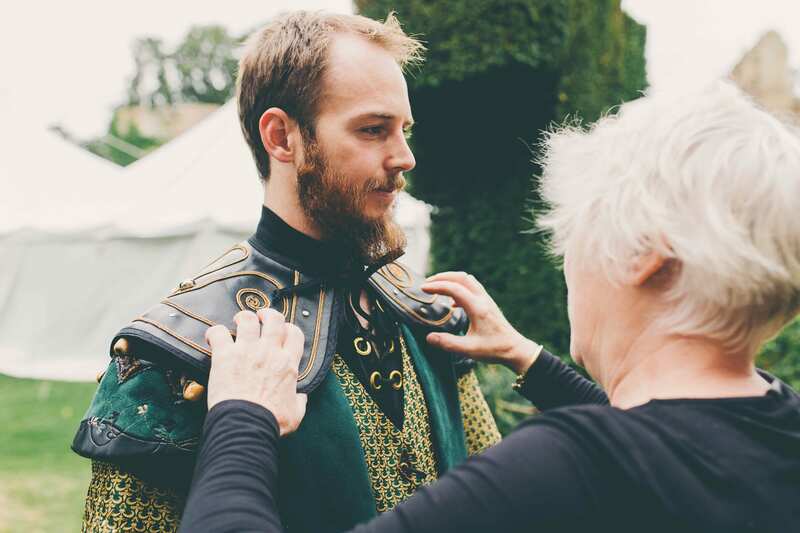 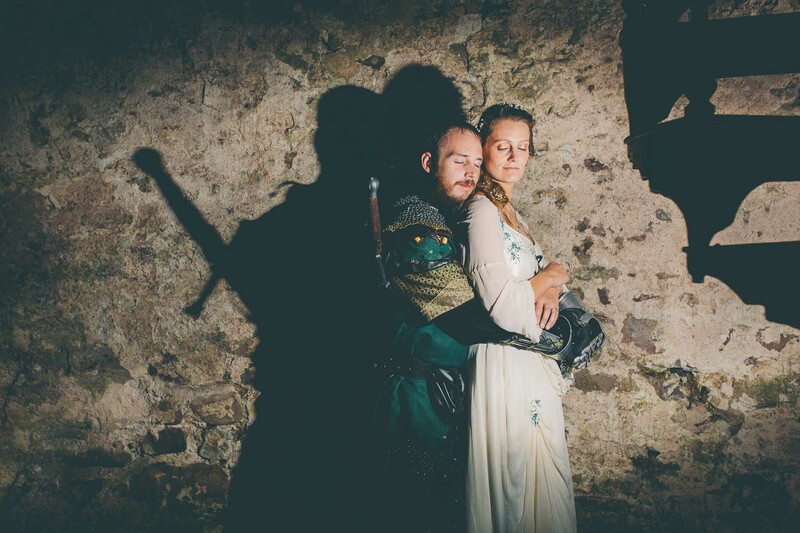 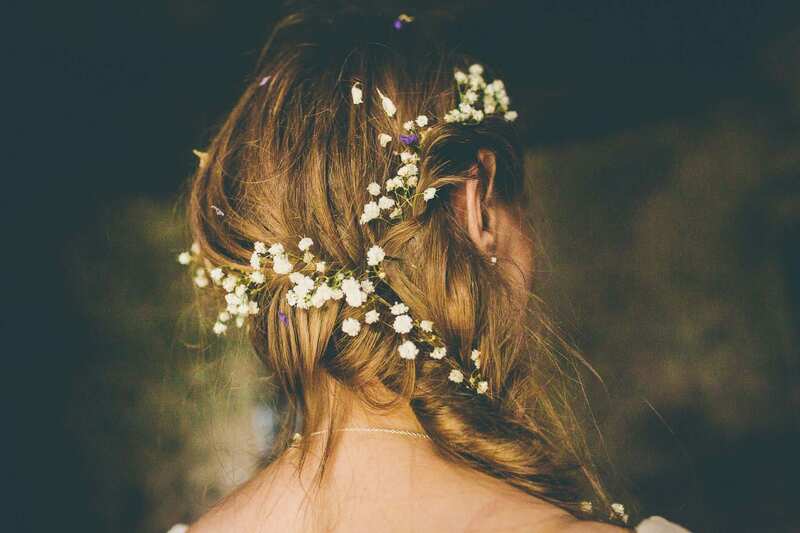 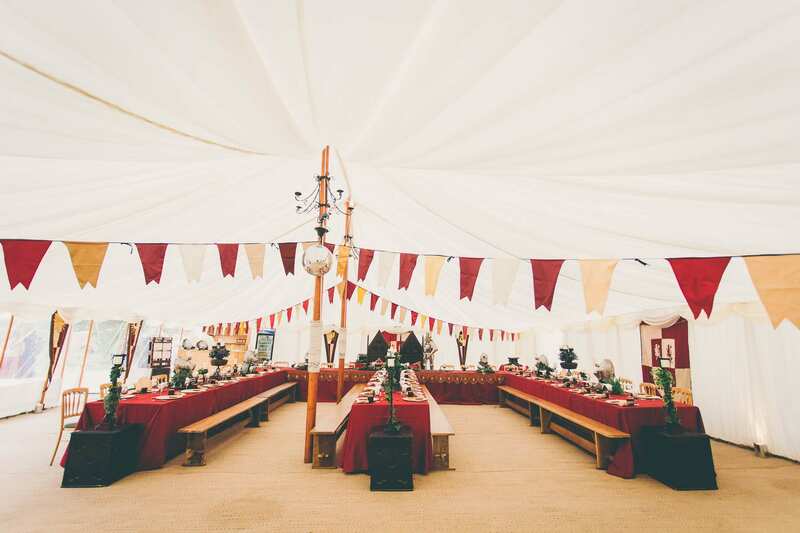 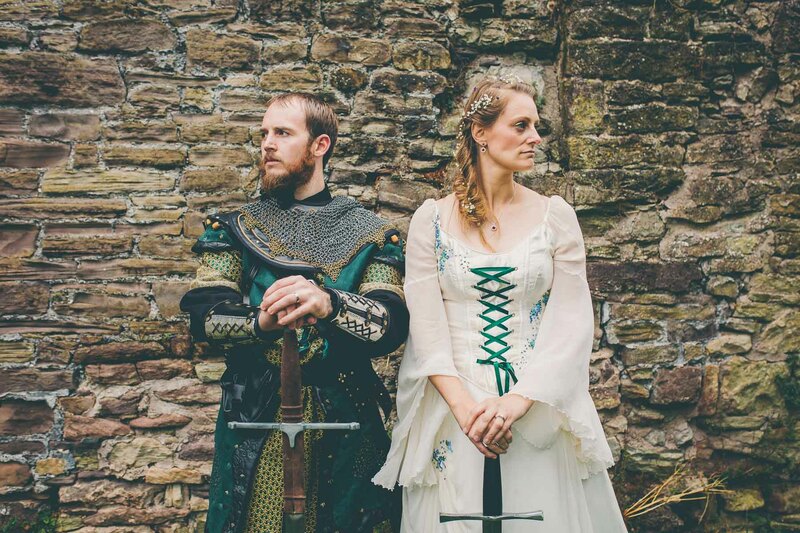 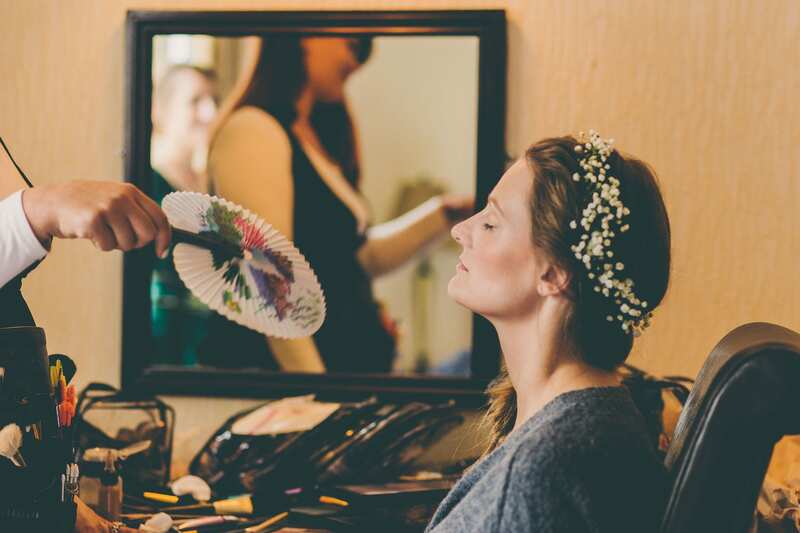 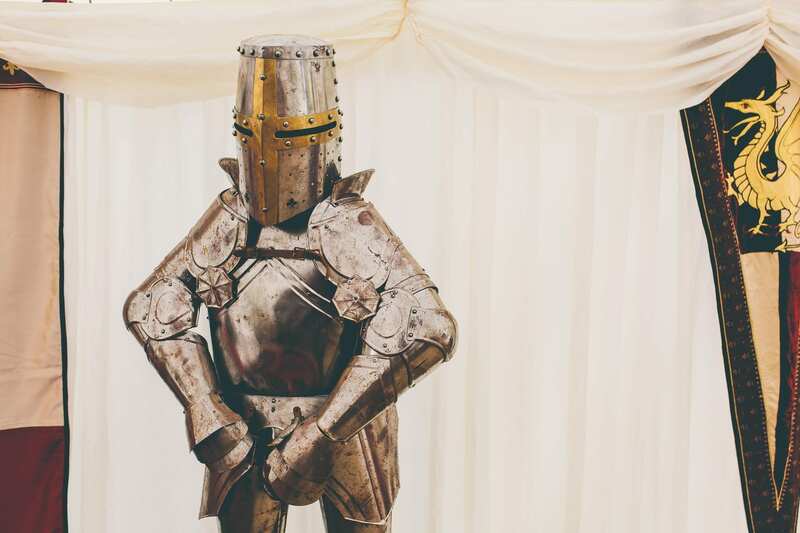 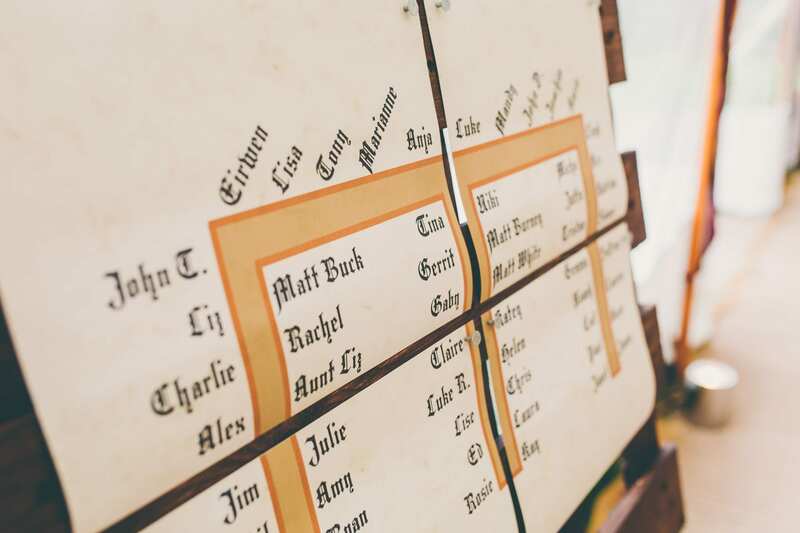 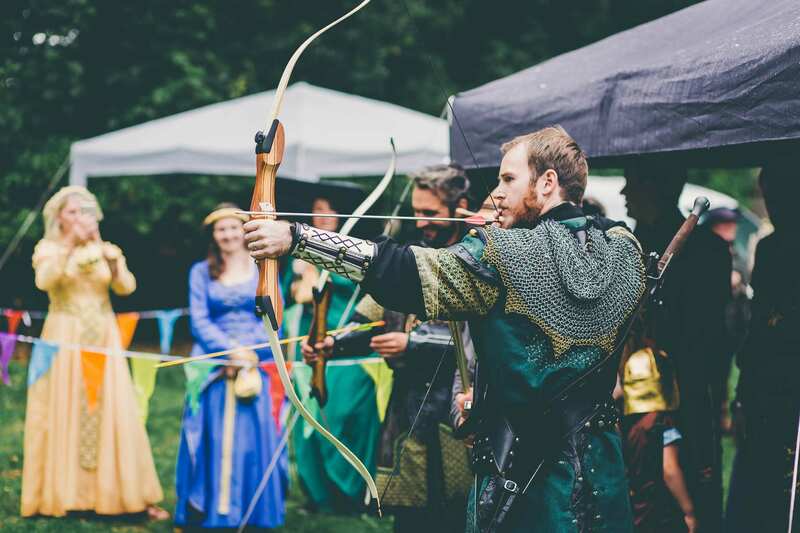 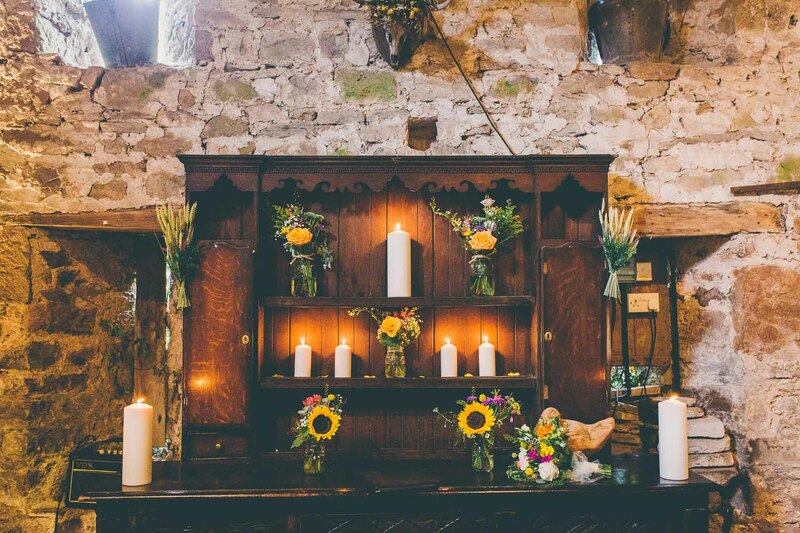 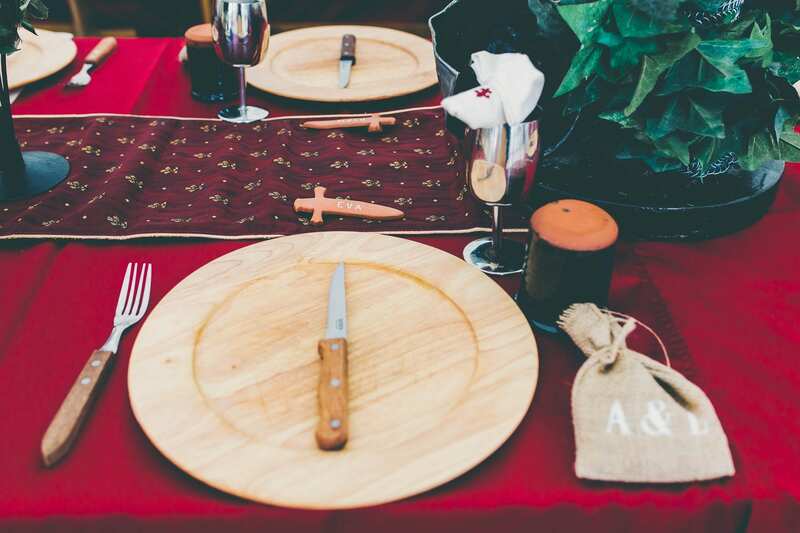 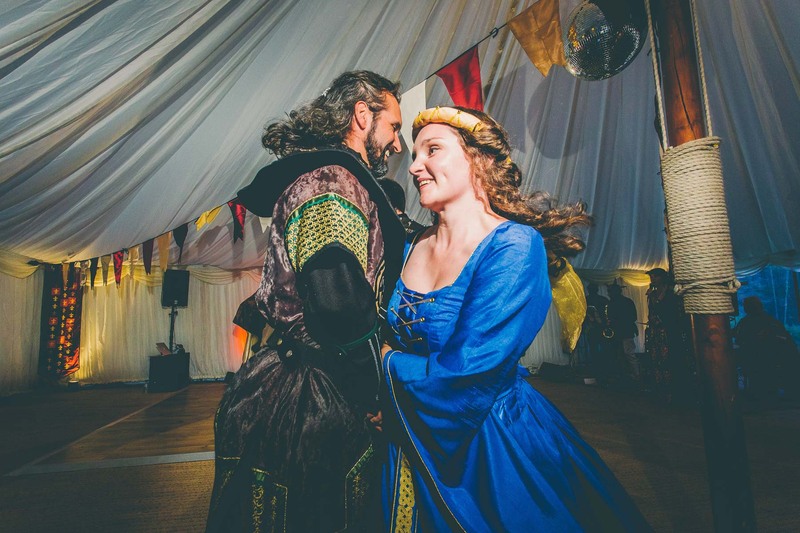 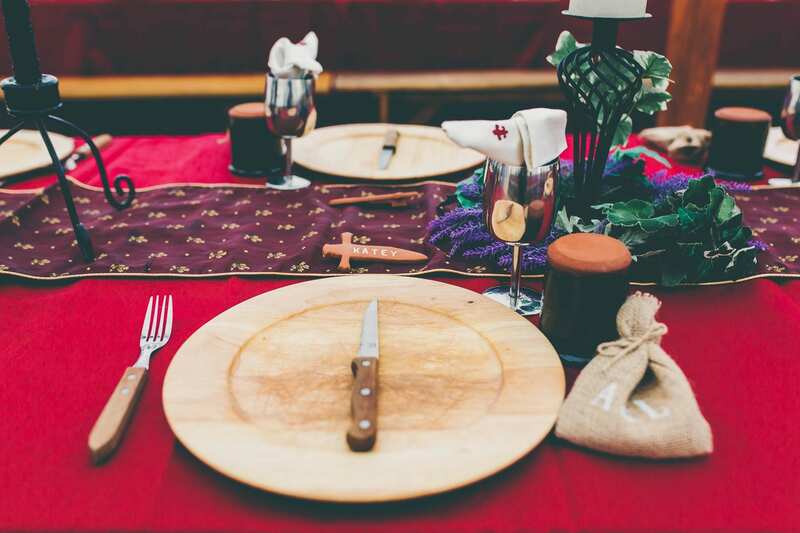 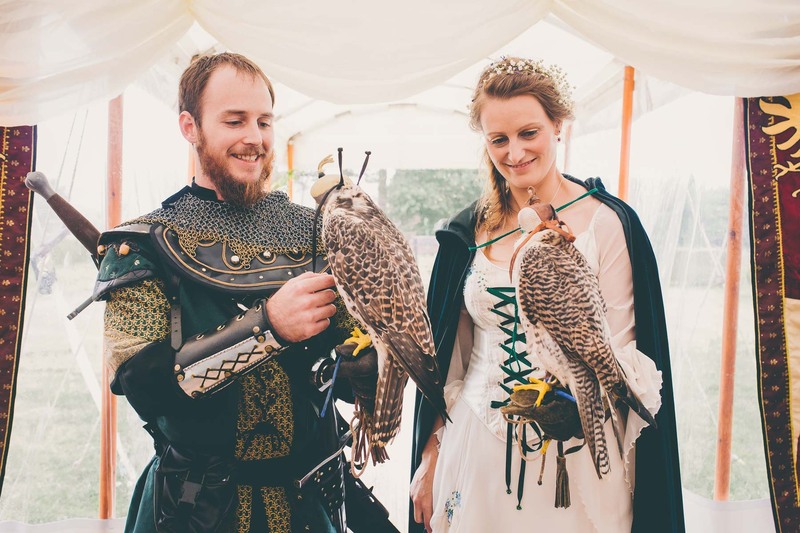 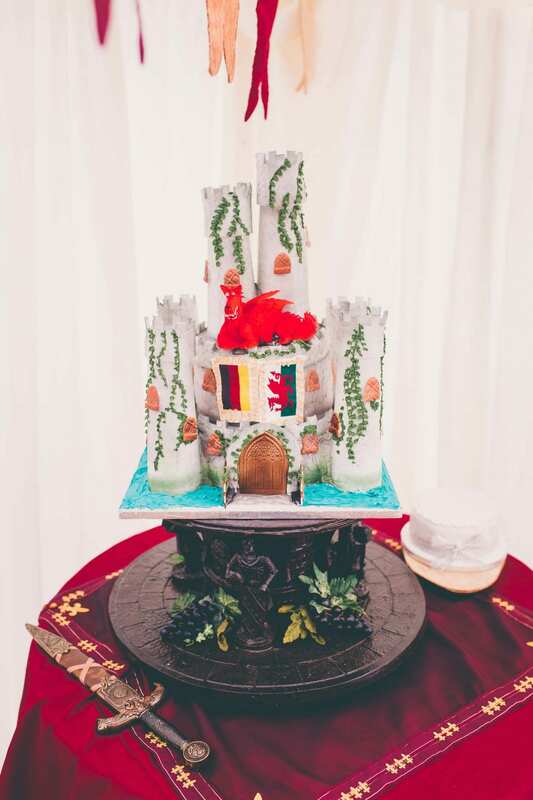 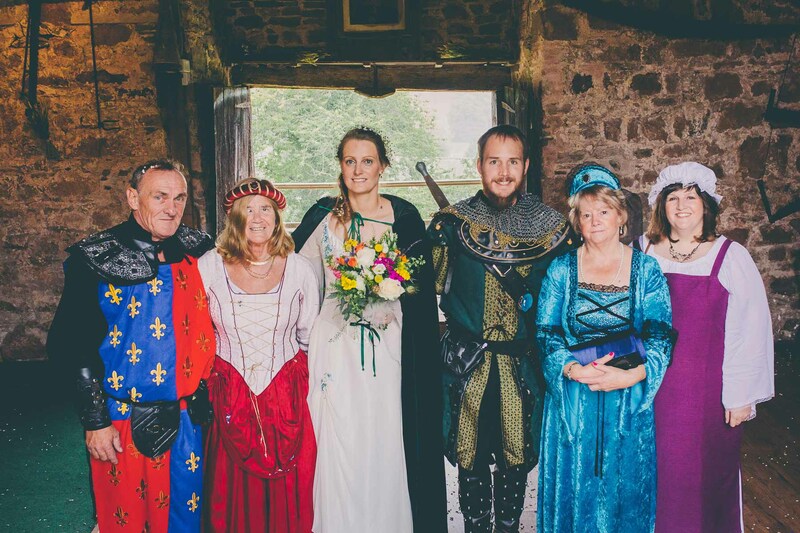 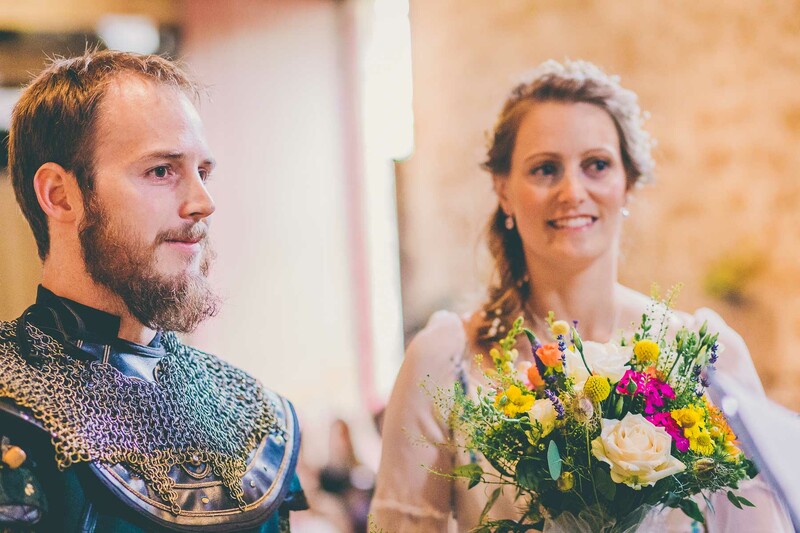 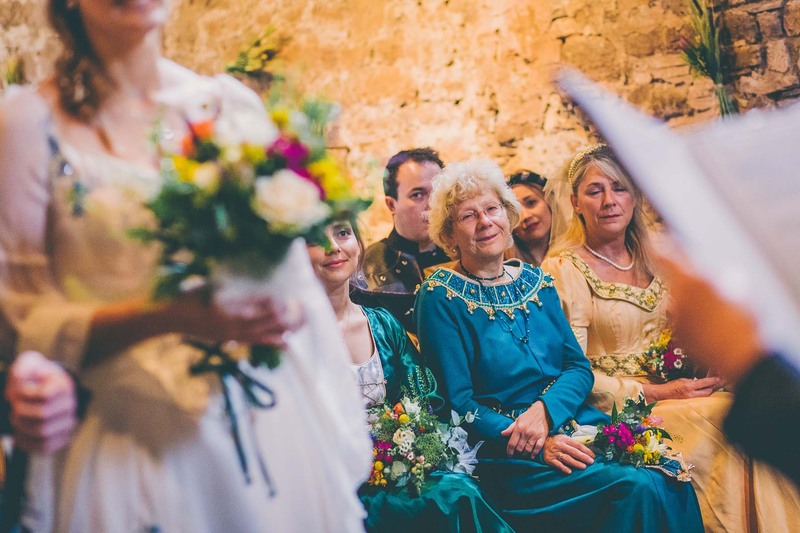 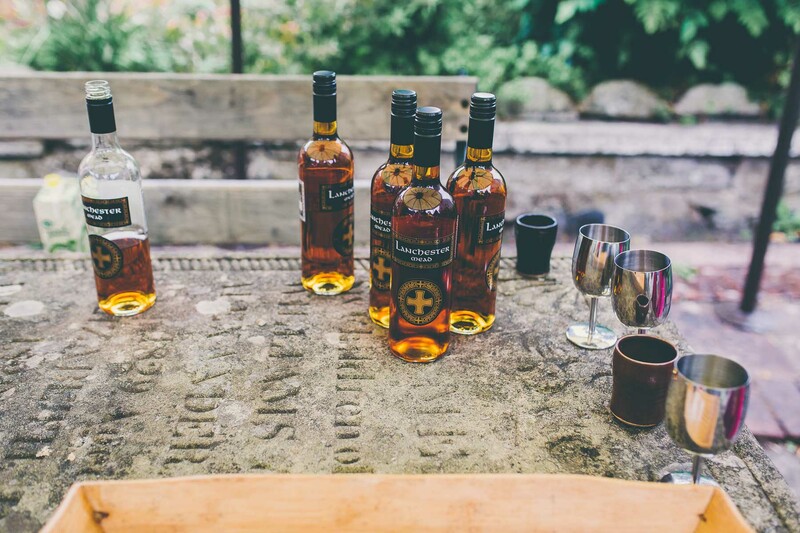 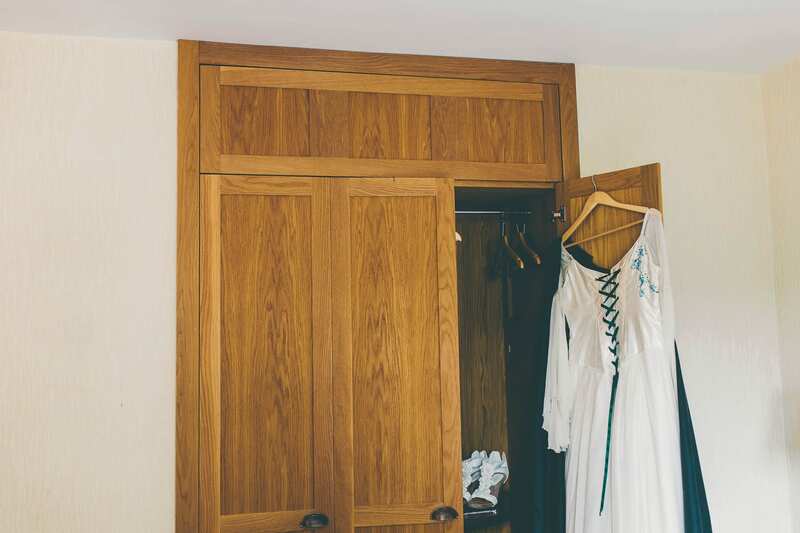 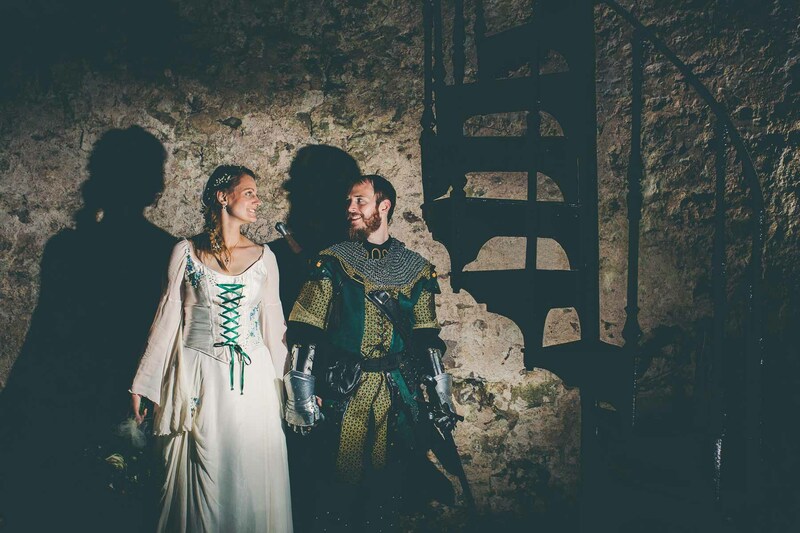 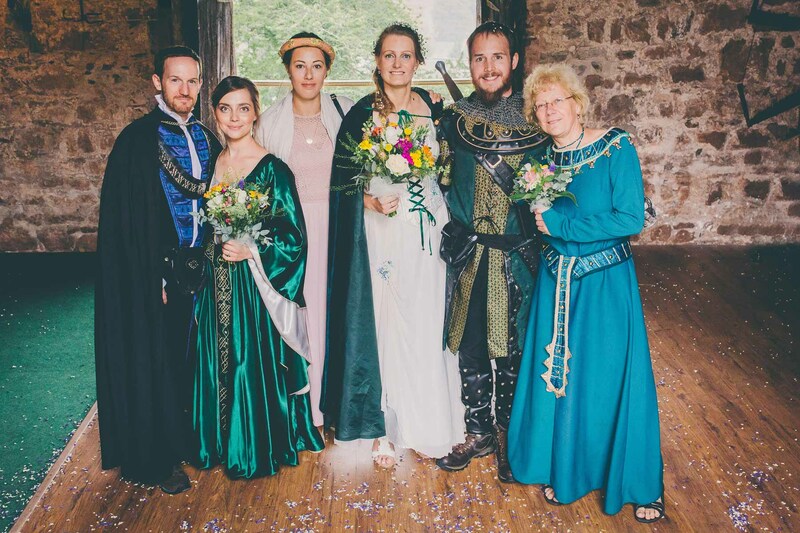 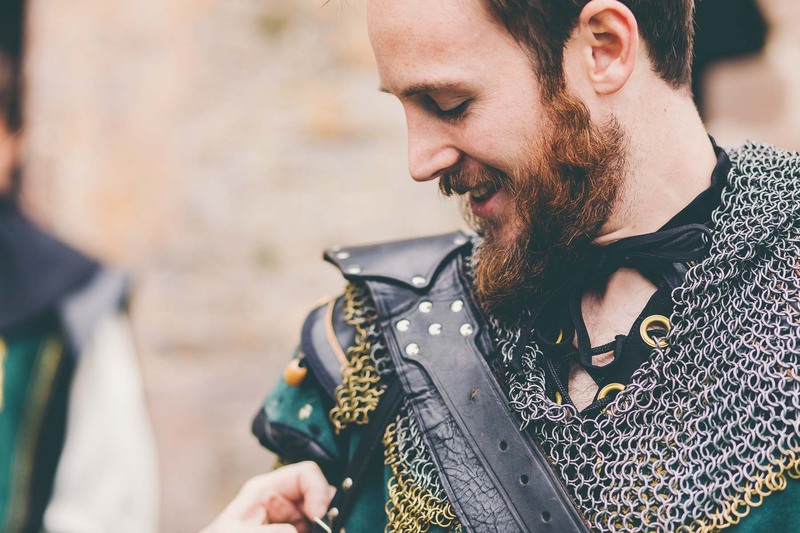 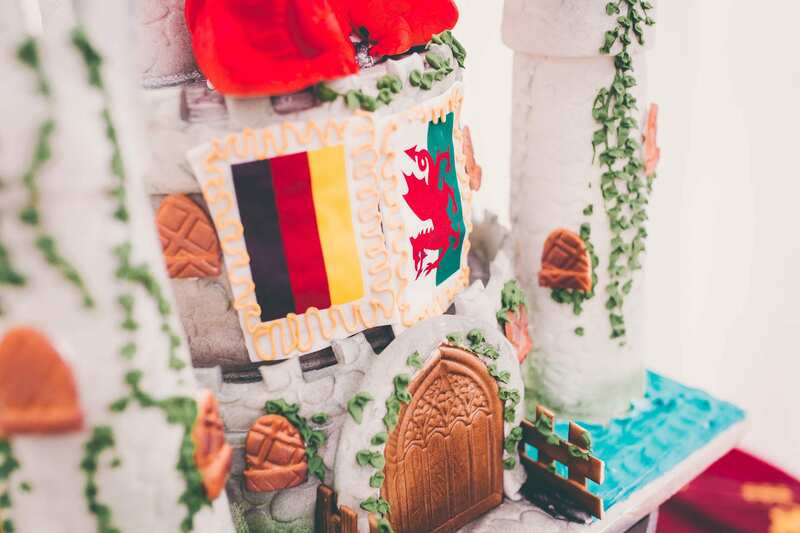 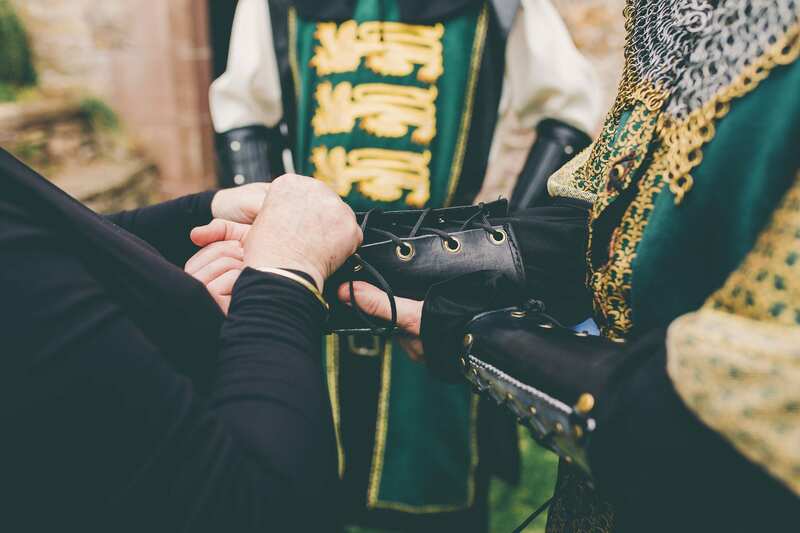 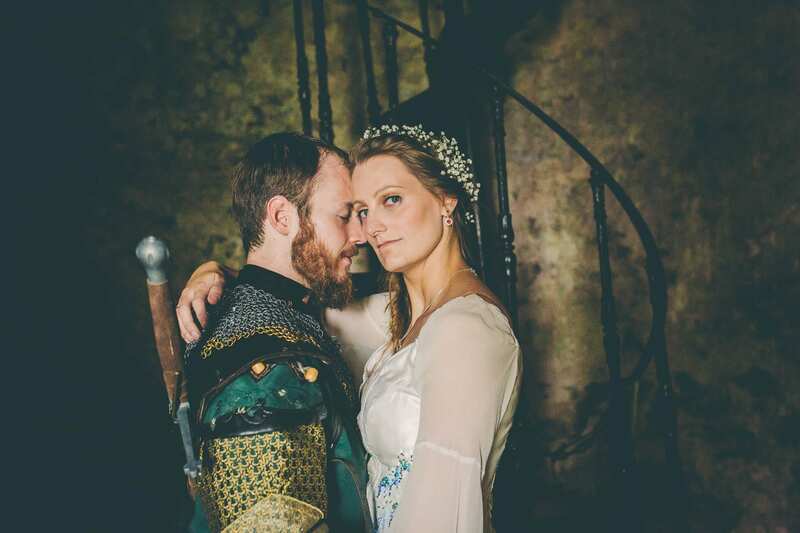 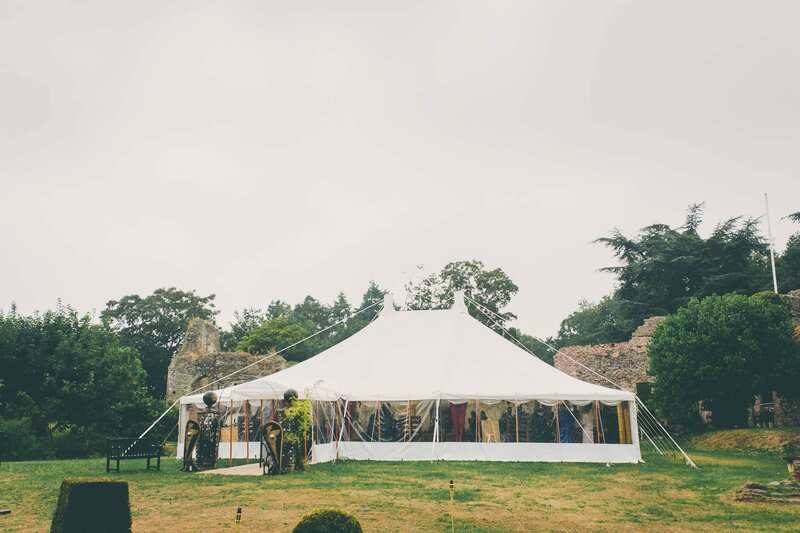 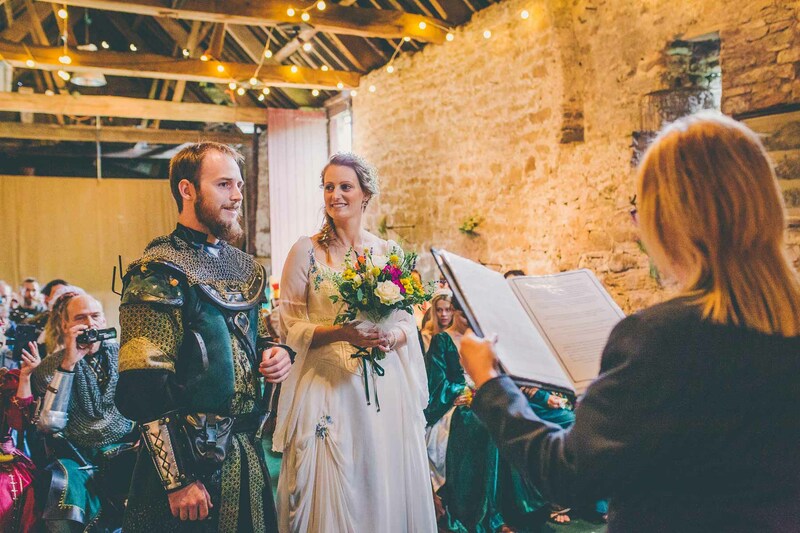 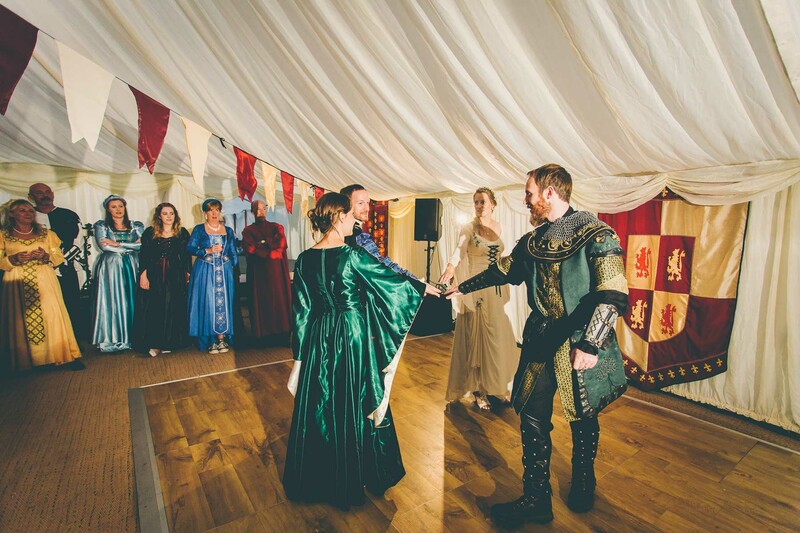 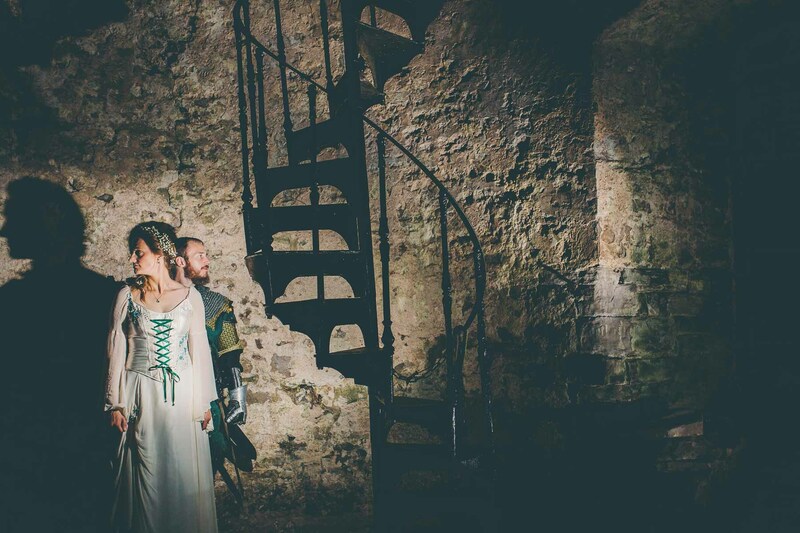 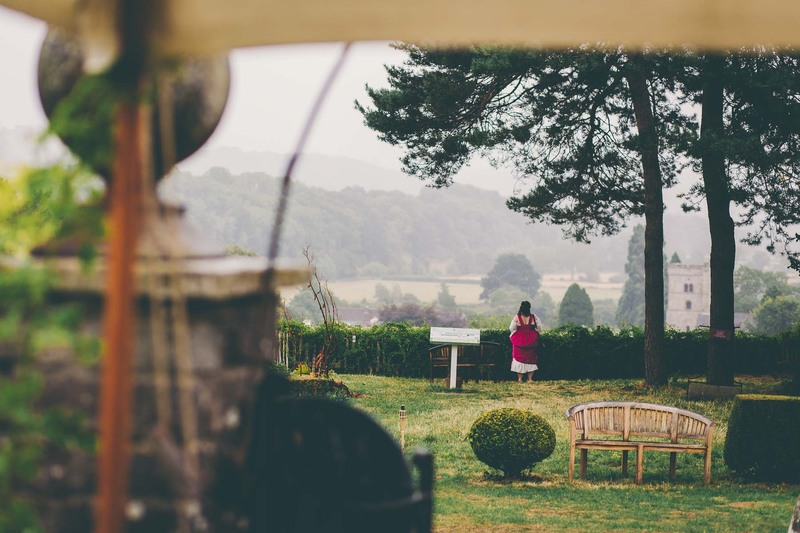 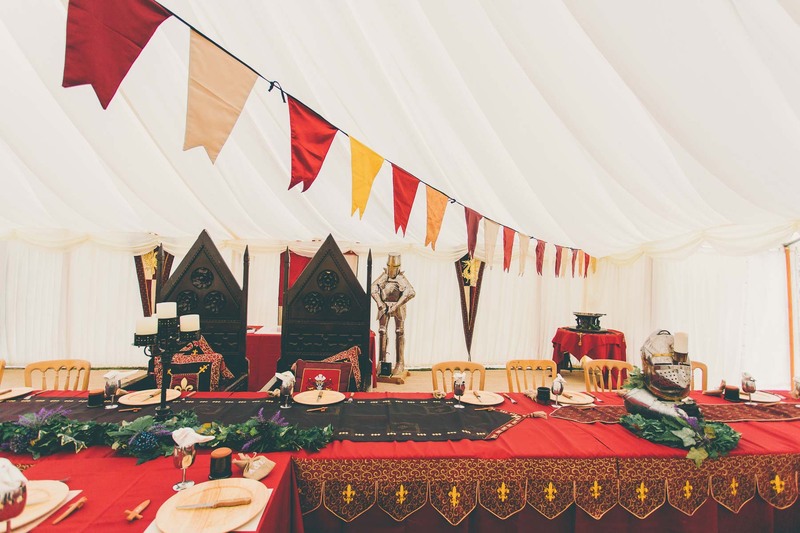 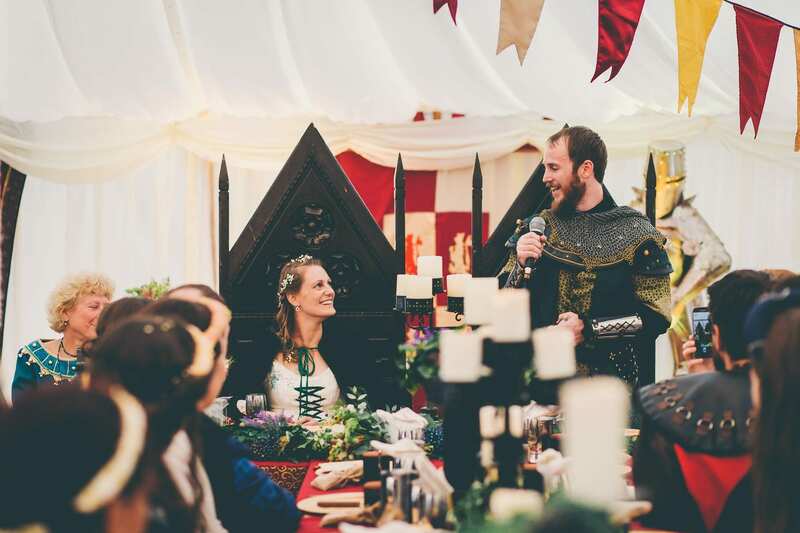 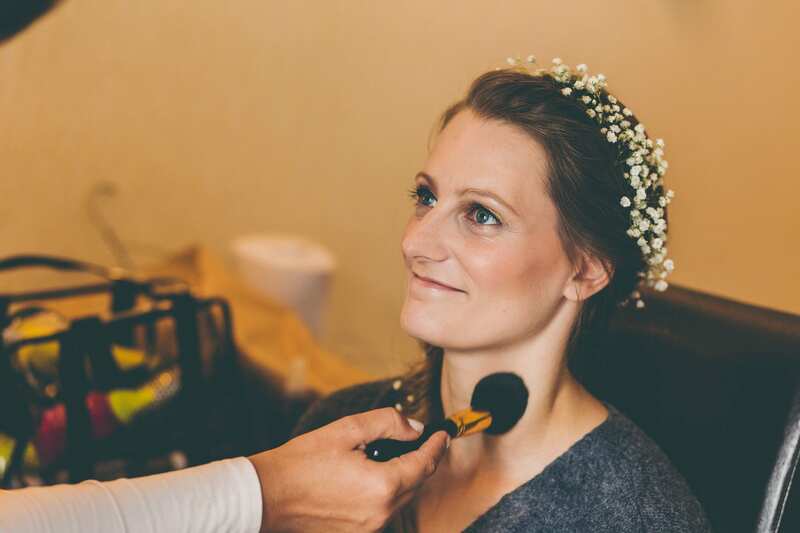 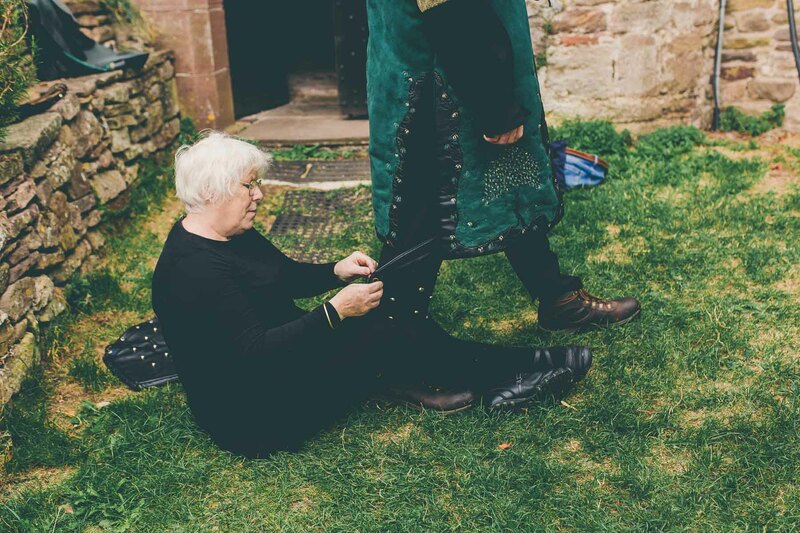 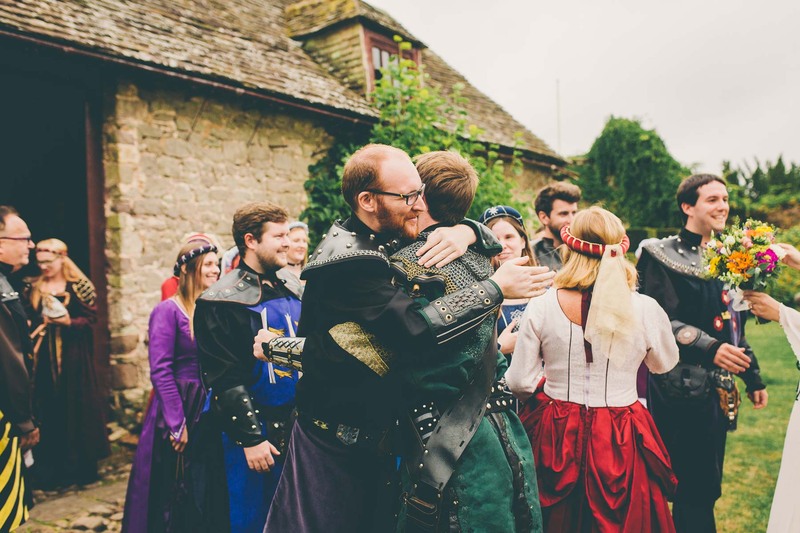 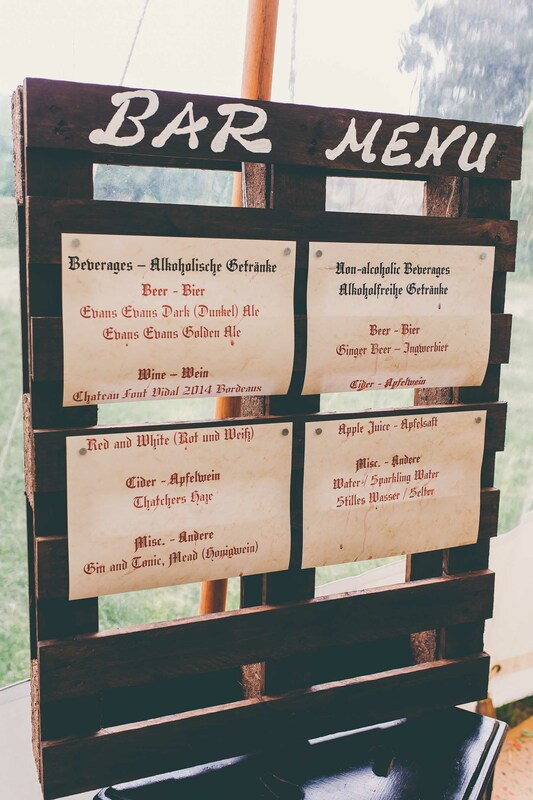 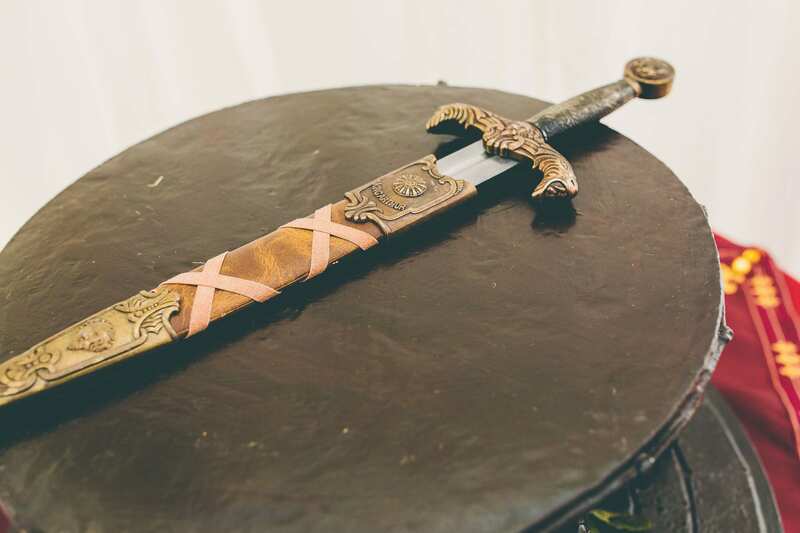 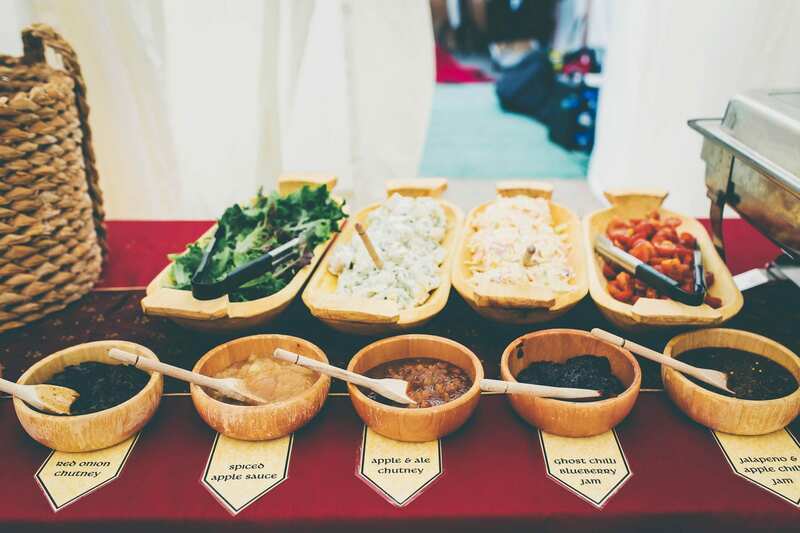 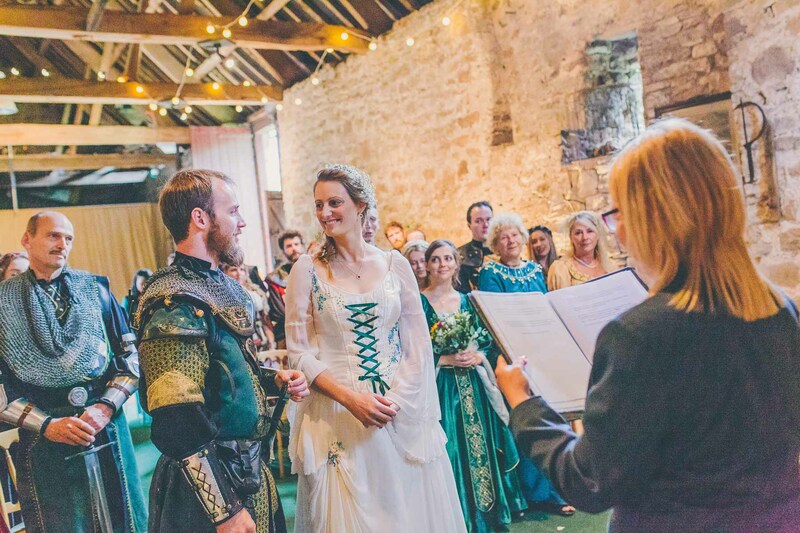 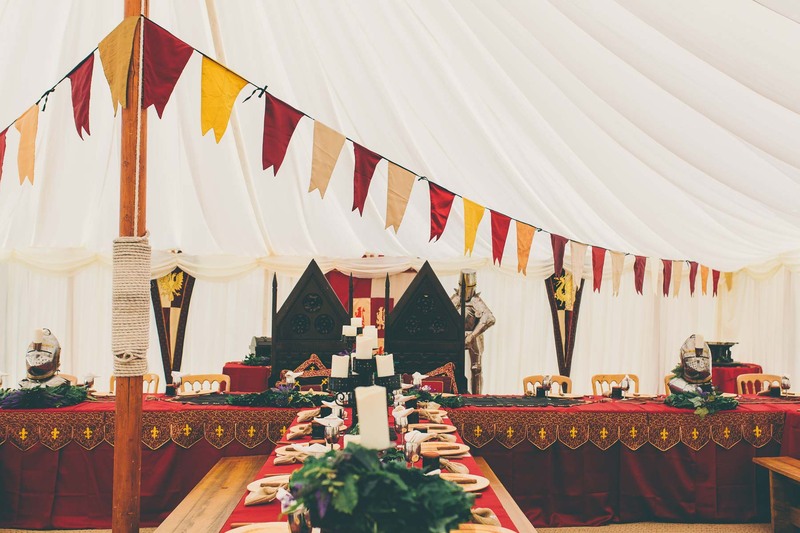 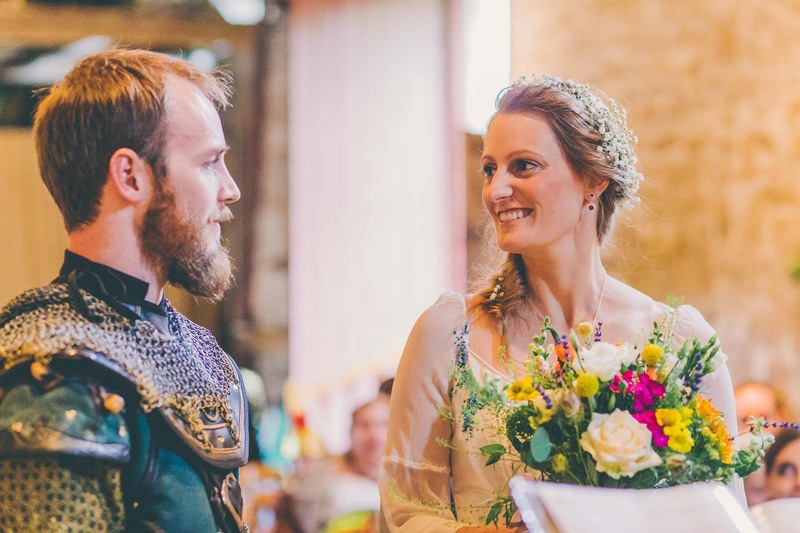 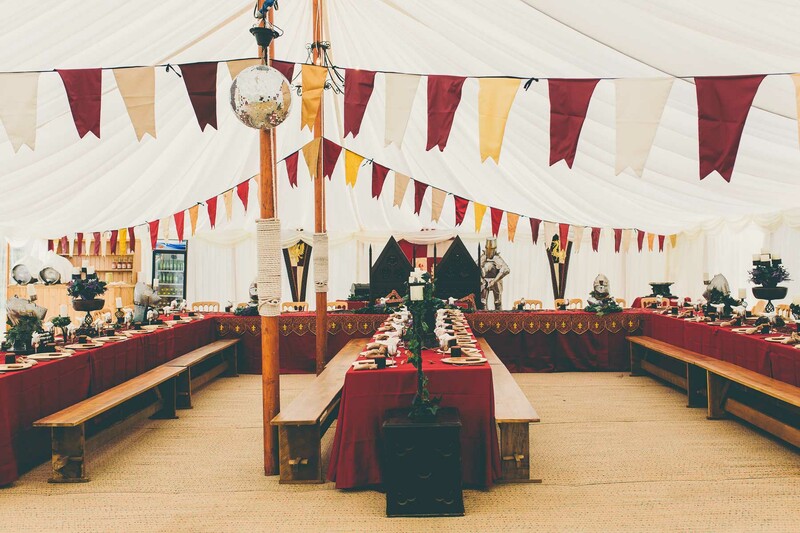 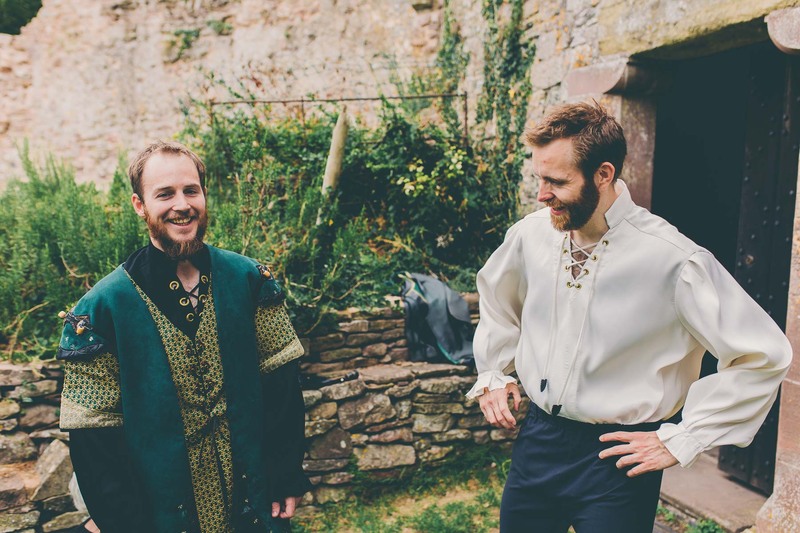 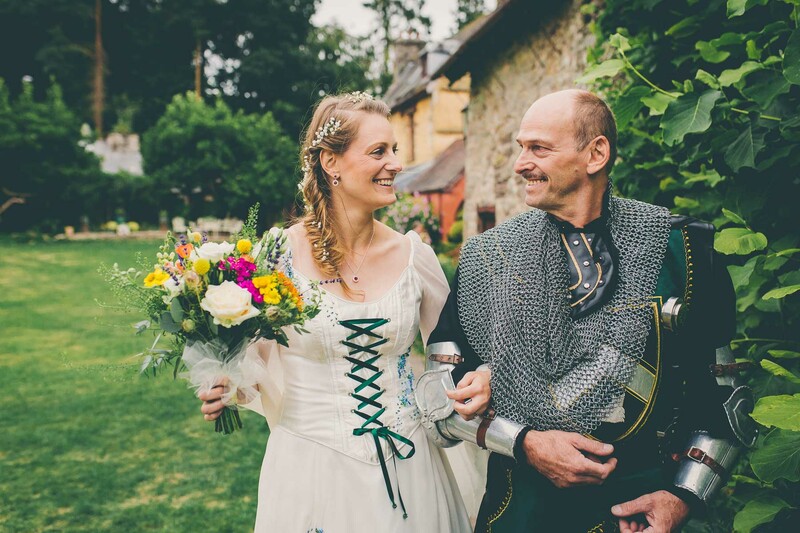 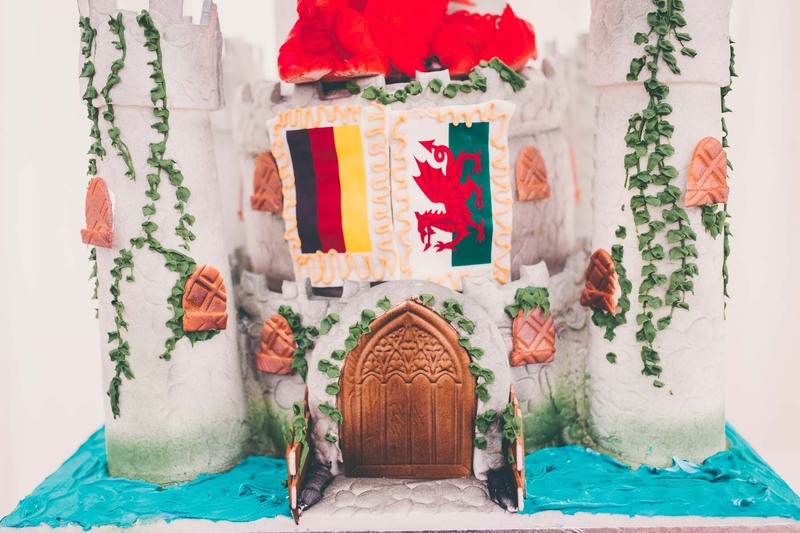 Anja & Luke’s medieval themed Usk Castle wedding in August was truly one of a kind. 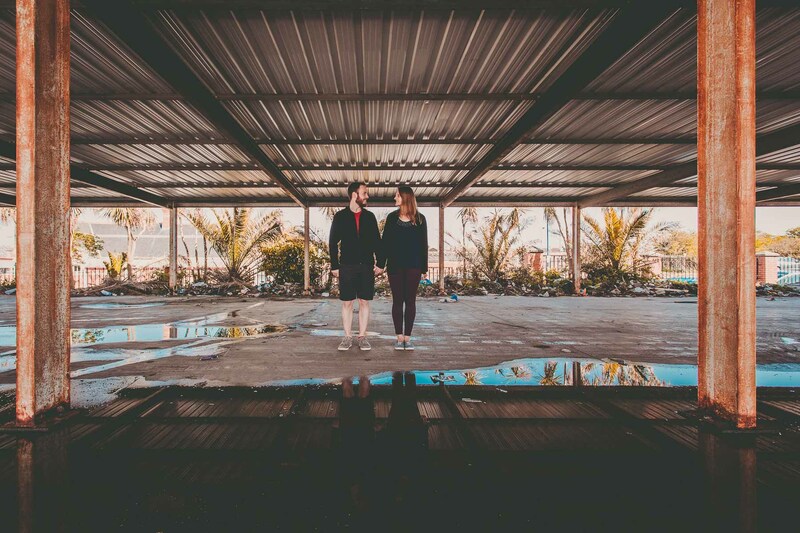 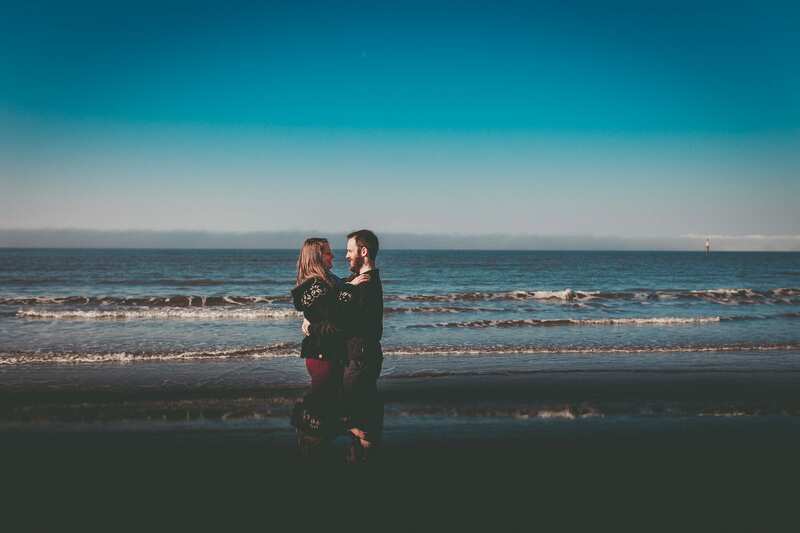 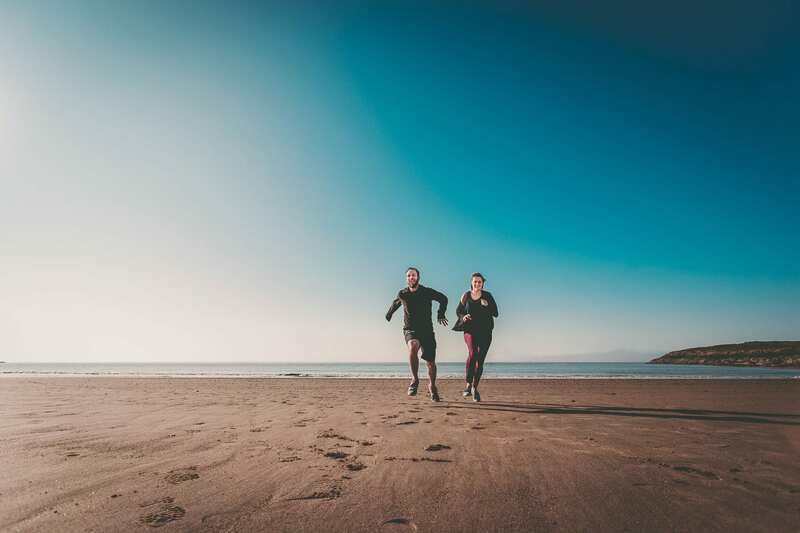 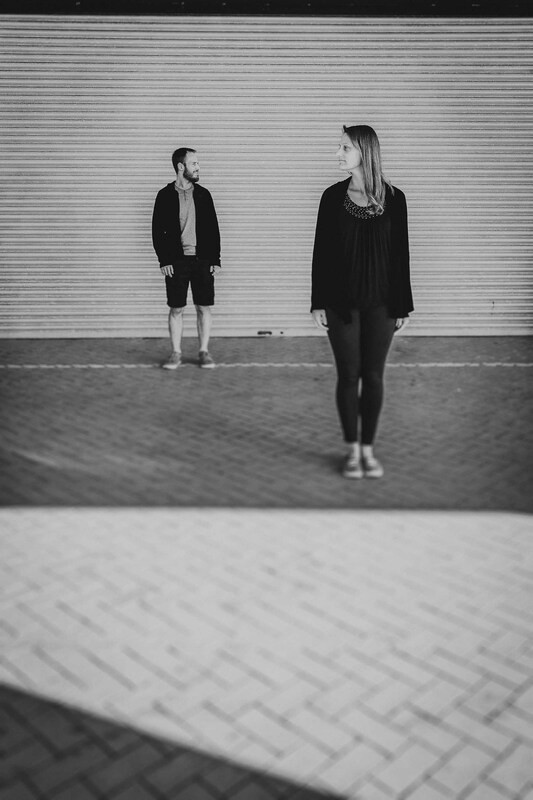 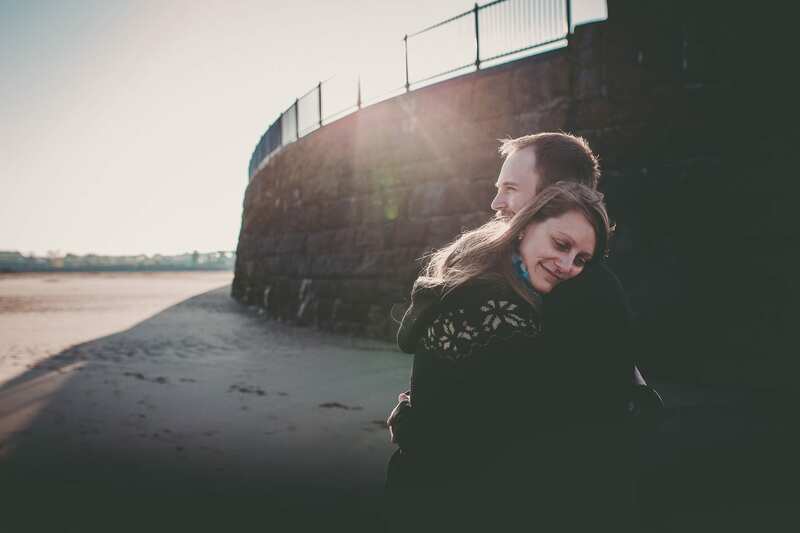 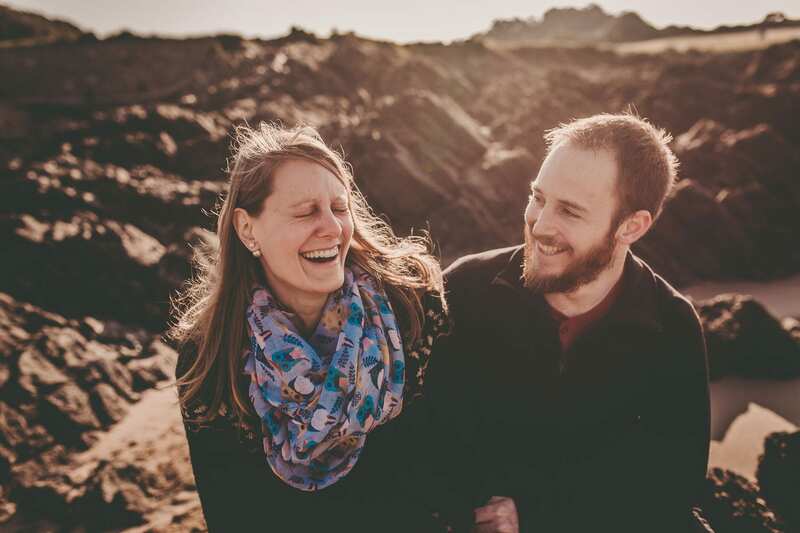 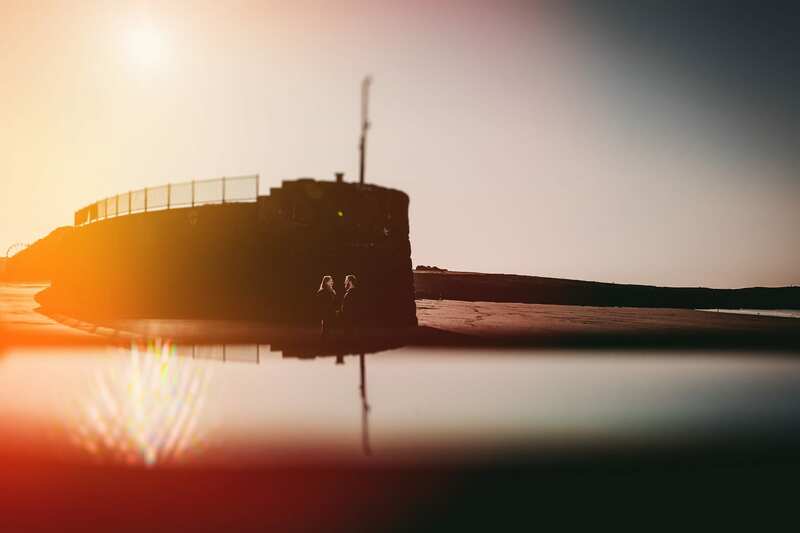 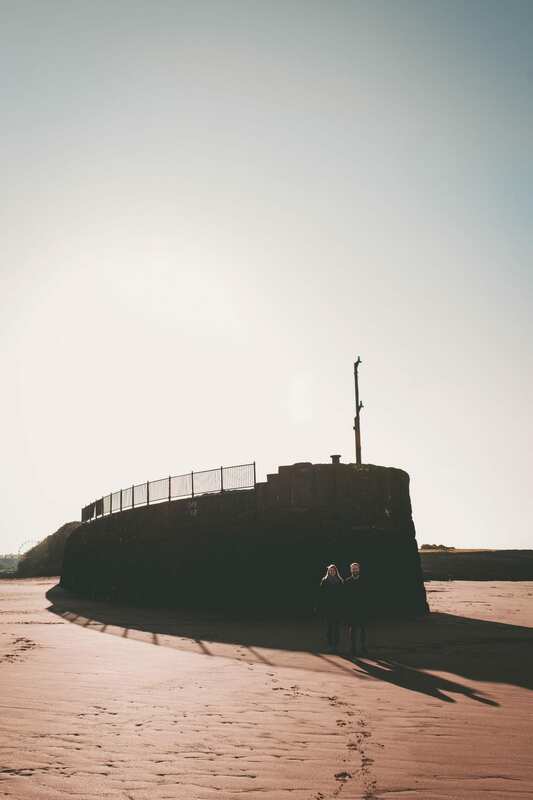 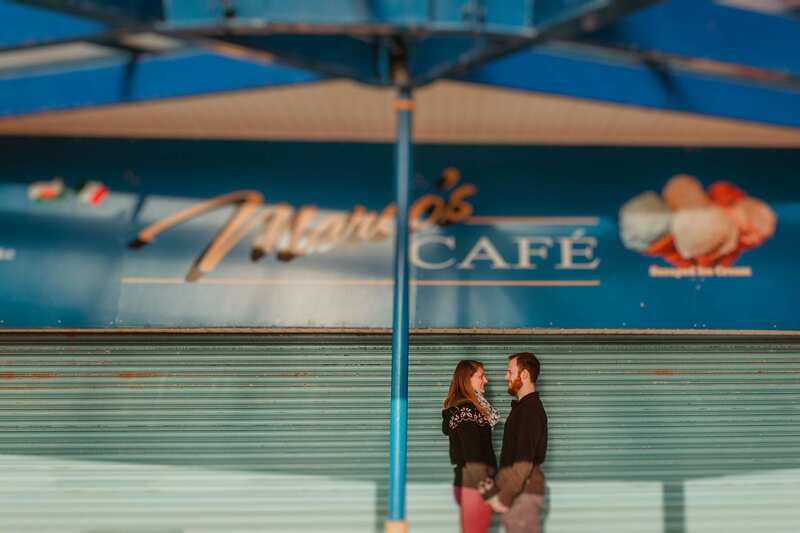 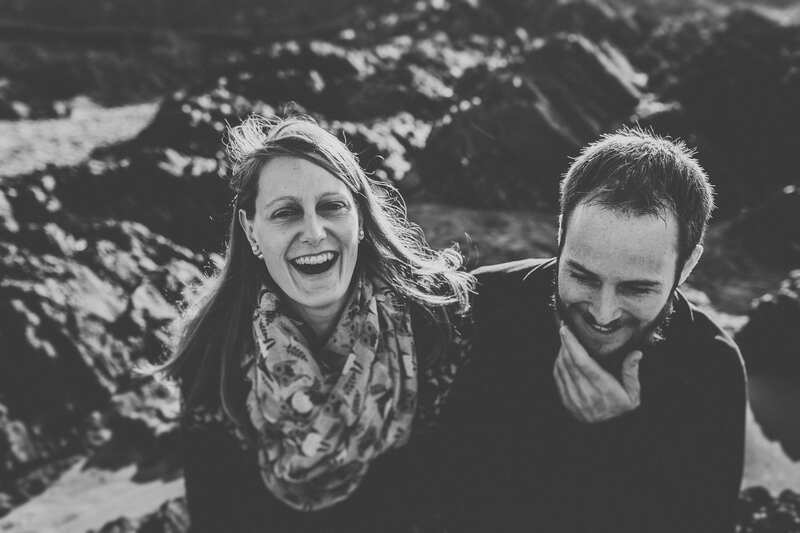 I first met Anja & Luke when I shot their engagement session at Barry Island very very early in the morning in May. 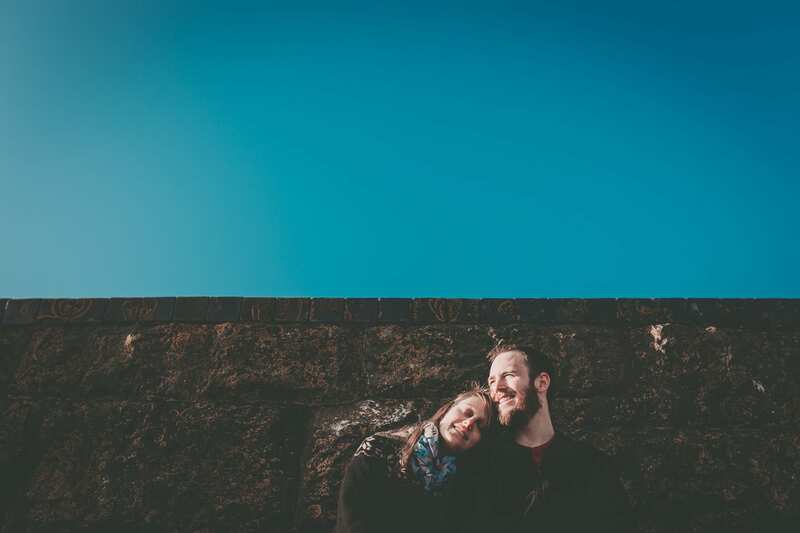 The weather was perfect and Anja & Luke were a joy to work with. 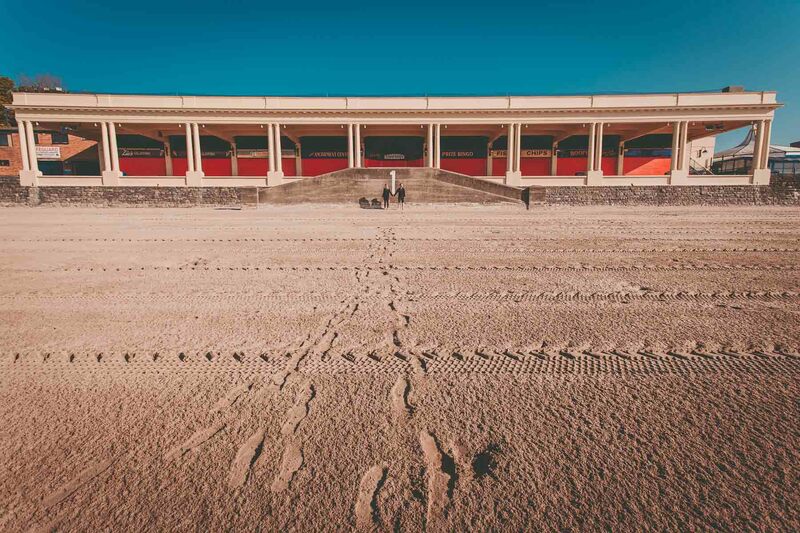 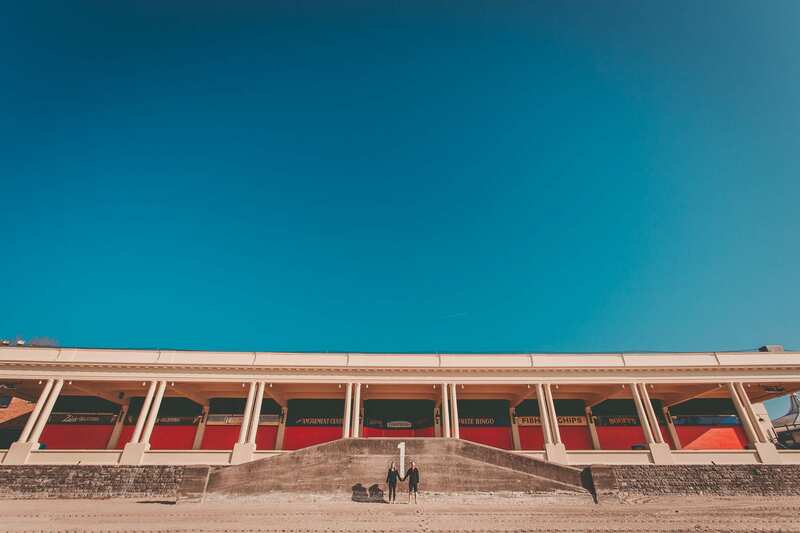 Barry Island is the perfect mix of gorgeous beach and really cool architecture and colourful backdrops and I’d happily shoot there again any day! 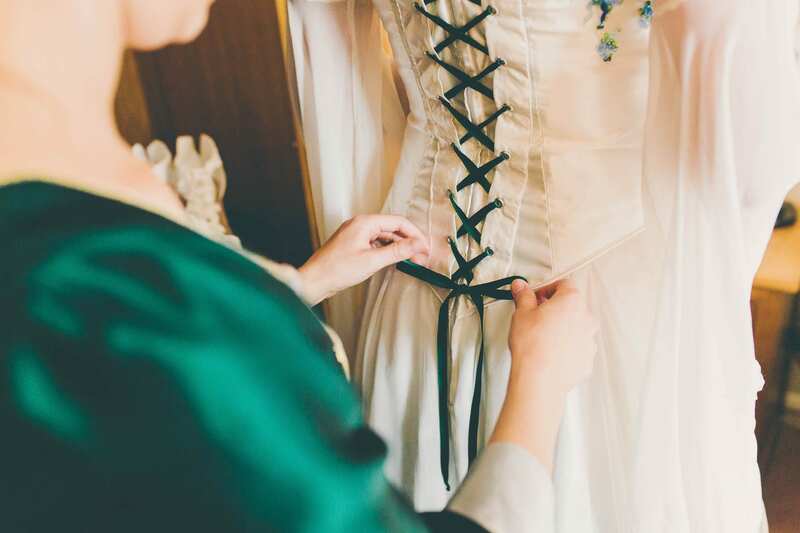 The wedding day itself was going to be something really special. 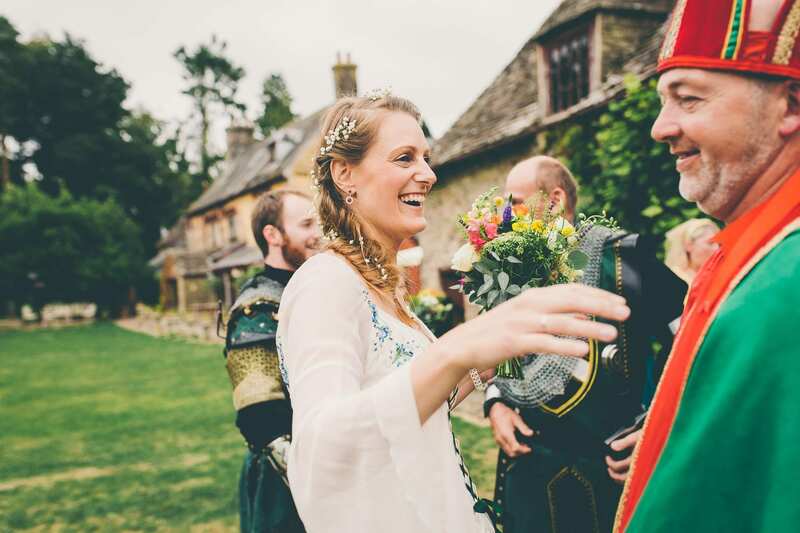 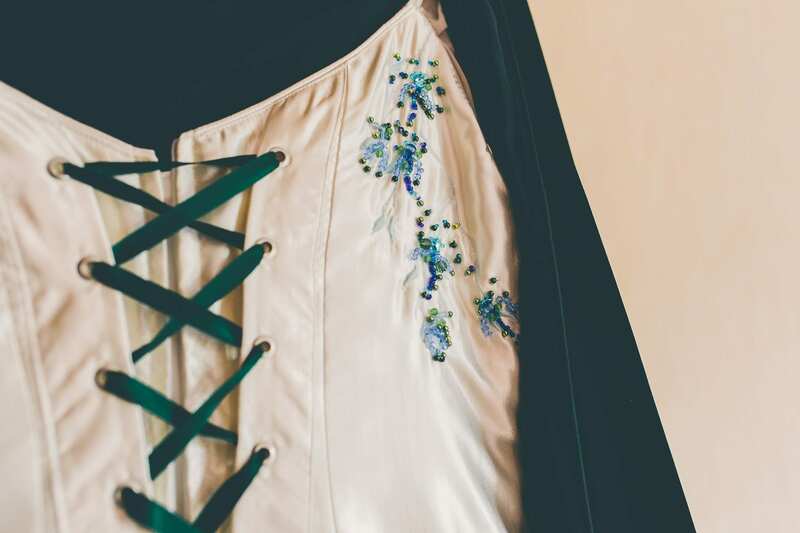 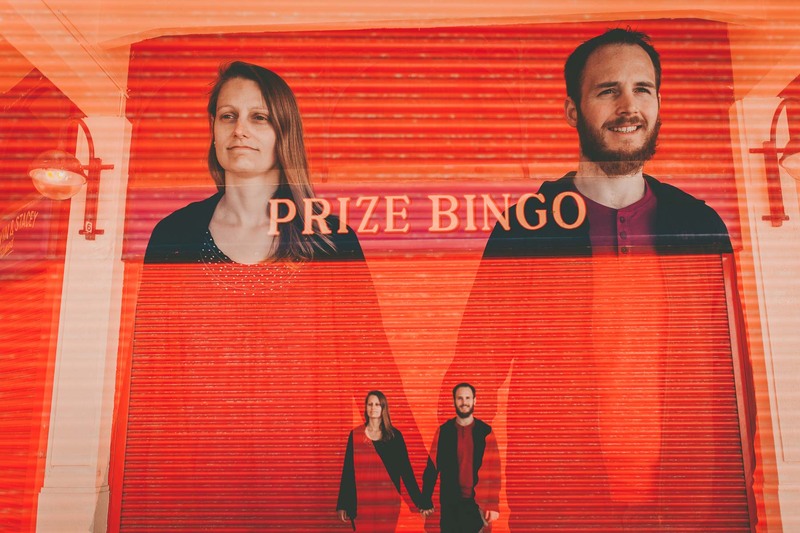 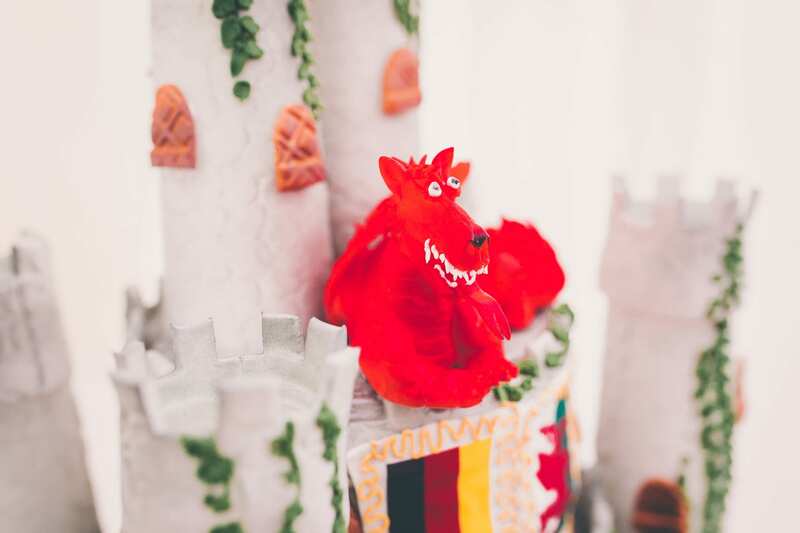 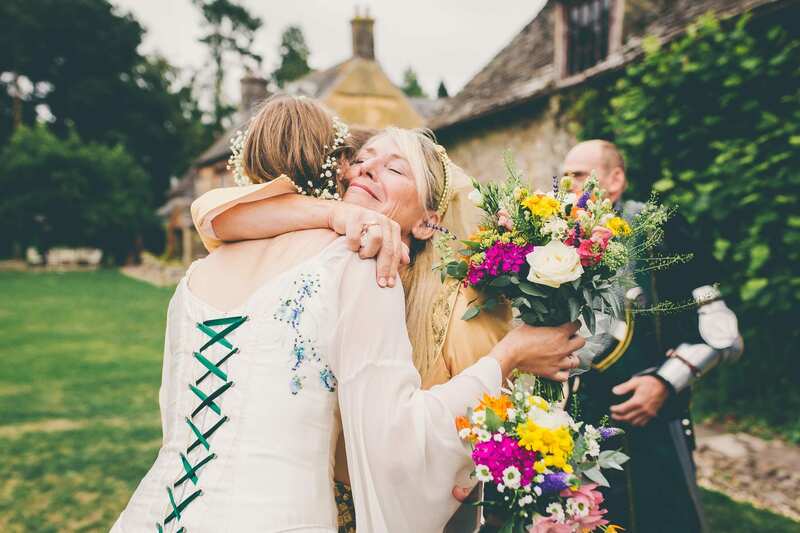 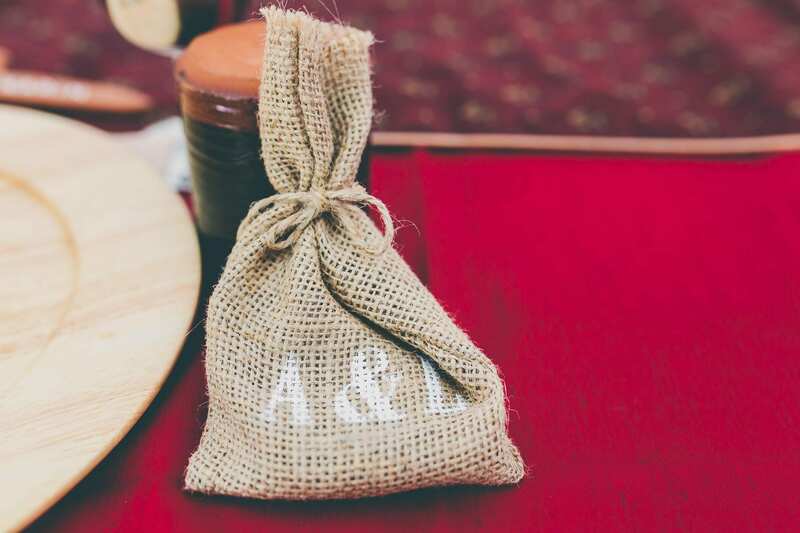 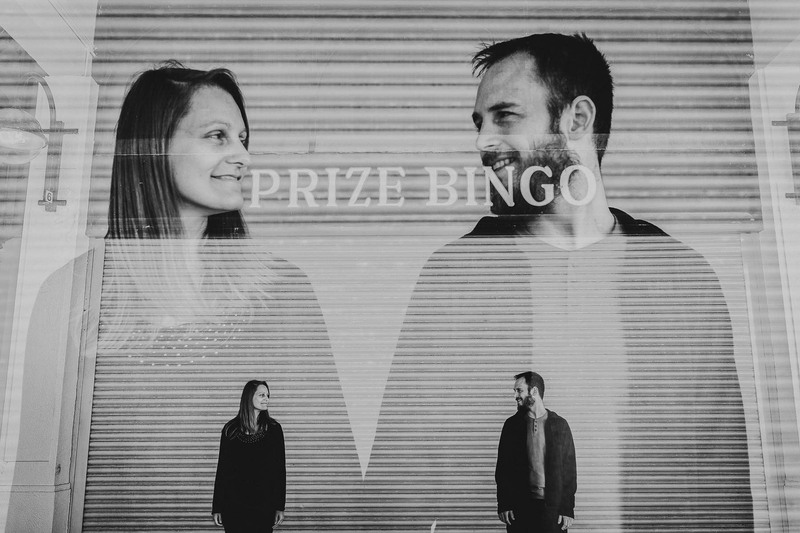 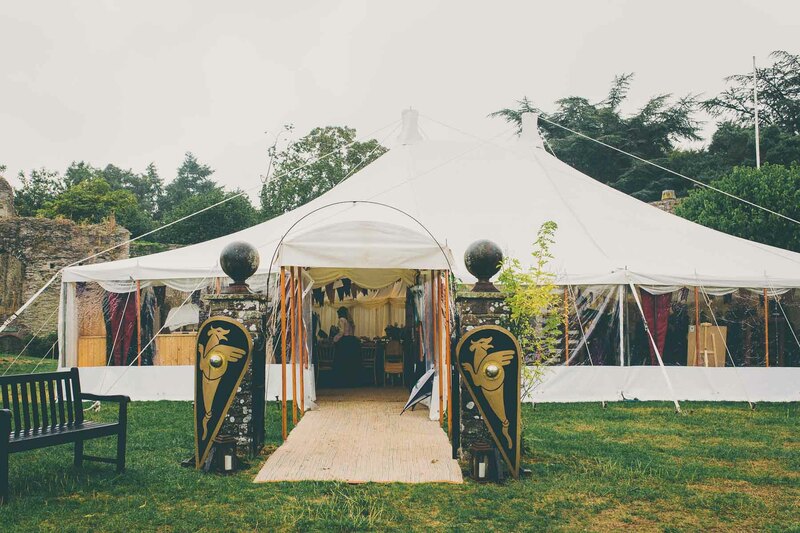 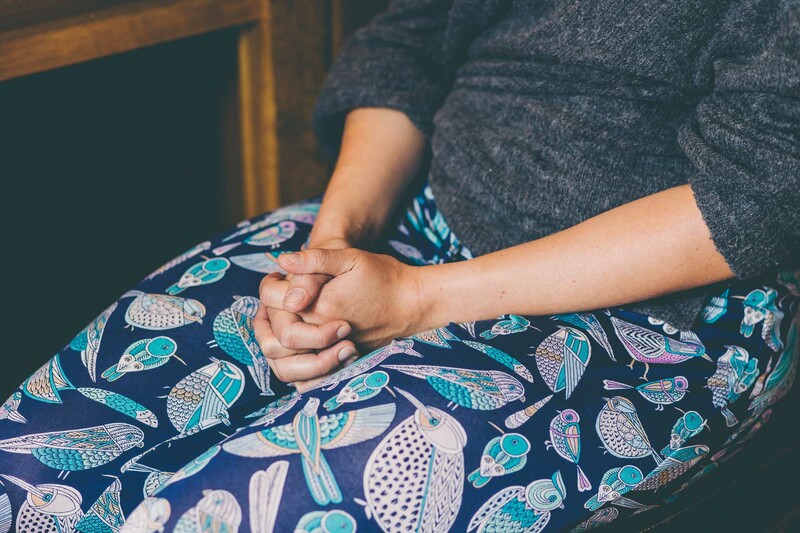 I already knew working with Anja & Luke was a total treat and knowing the wedding day was going to be full of medieval costumes, a banquet, archery, falconry and a ceilidh meant I was going to feel like a kid in a sweet shop. 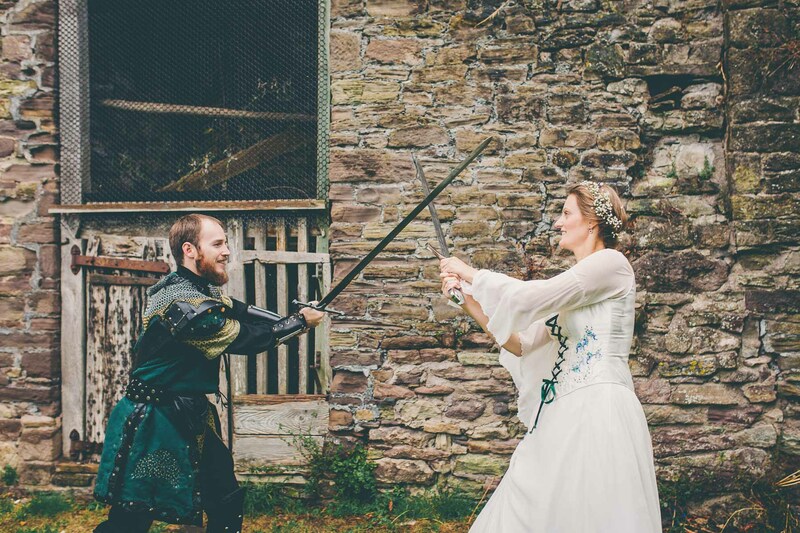 On the day itself it was windy and rainy from the ceremony on wards, but I’m not one to back down from a challenge and neither are Anja & Luke. 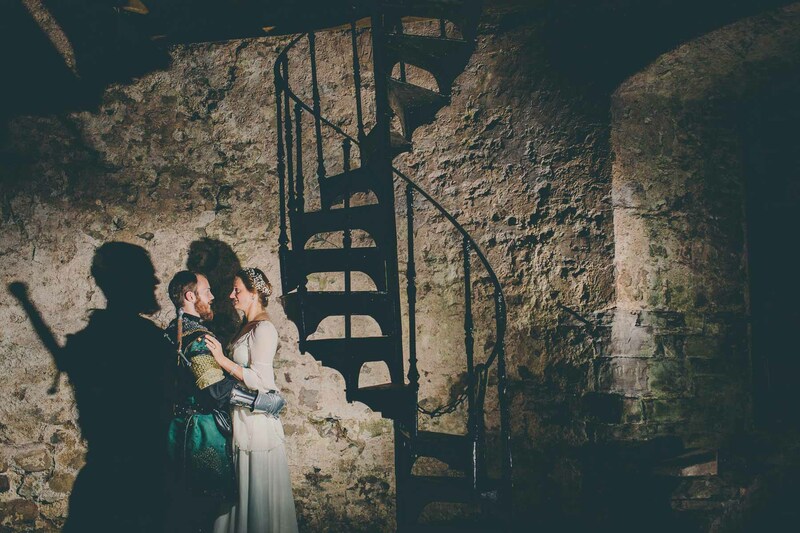 We shot the formals in the doorway of the ceremony barn and for the photographs of the two of them I went on a hunt and found one of the castle towers and after clearing it out and setting up some lighting I knew it was perfect. 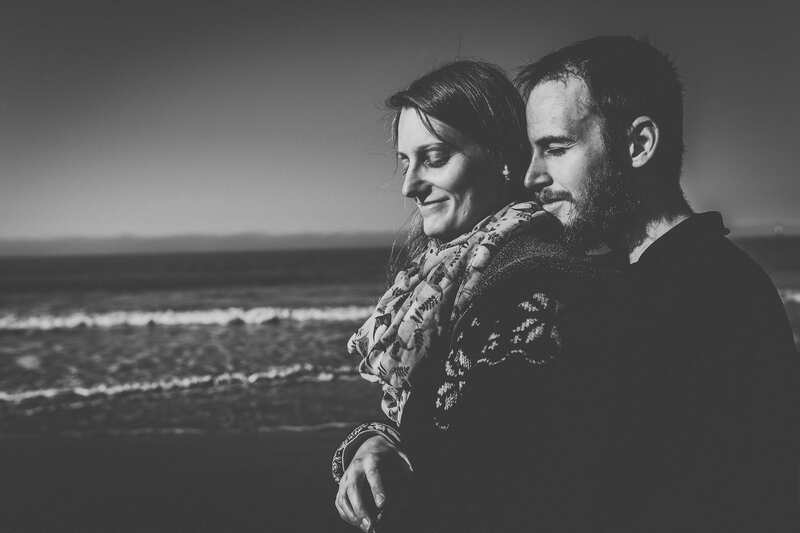 But that’s enough from me, I’ll let Anja & Luke tell you their story below along with photographs of their engagement shoot and a full selection of their wedding photos further down. 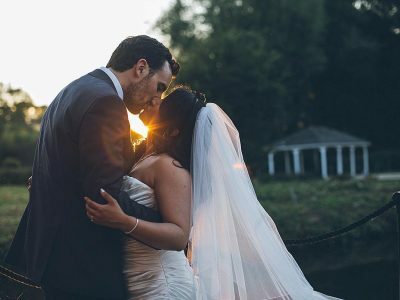 We met at work. 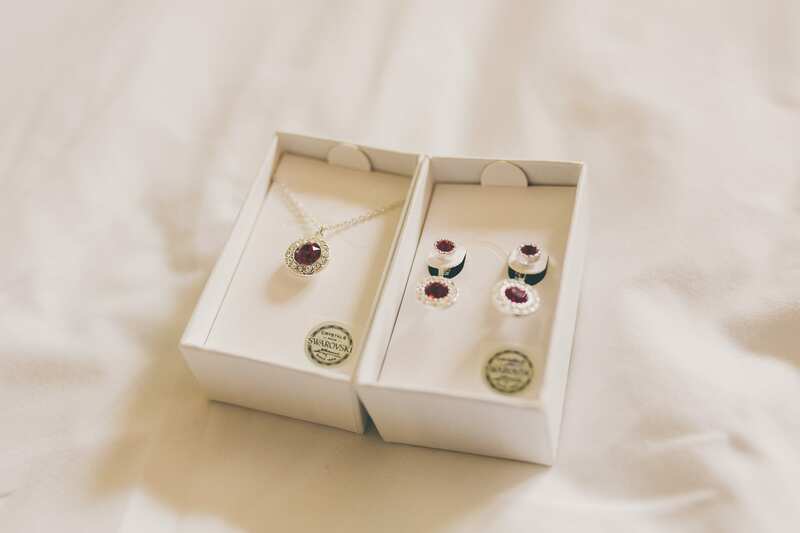 Very romantic indeed. 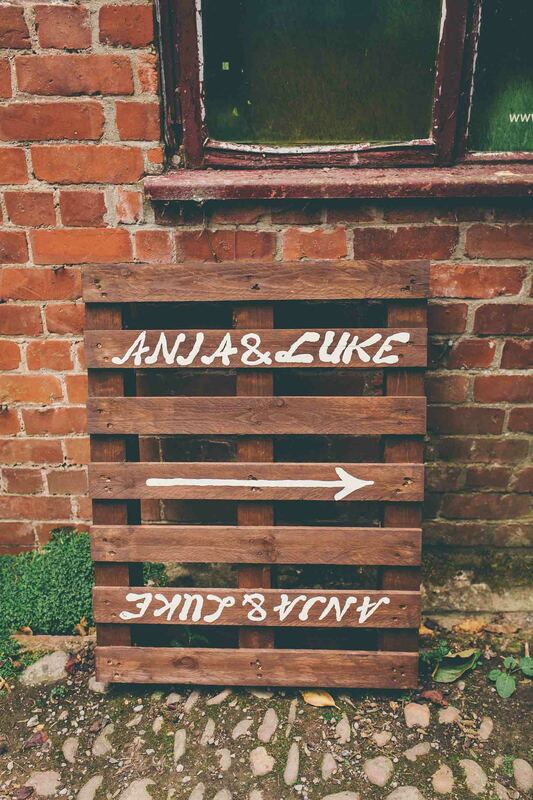 Luke asked me out by text while on holiday in Cyprus. 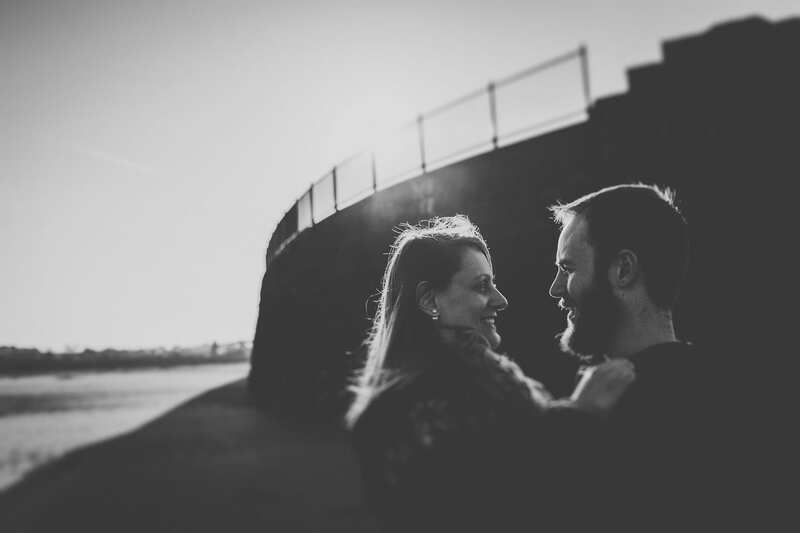 We got engaged 5 years later while living in the United States of America. 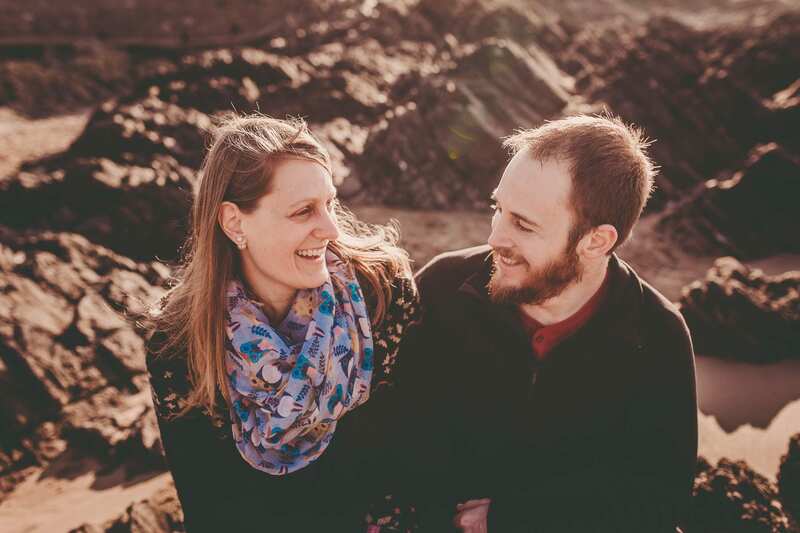 Luke suggested a camping trip and we went on a long hike in the forest during that weekend. 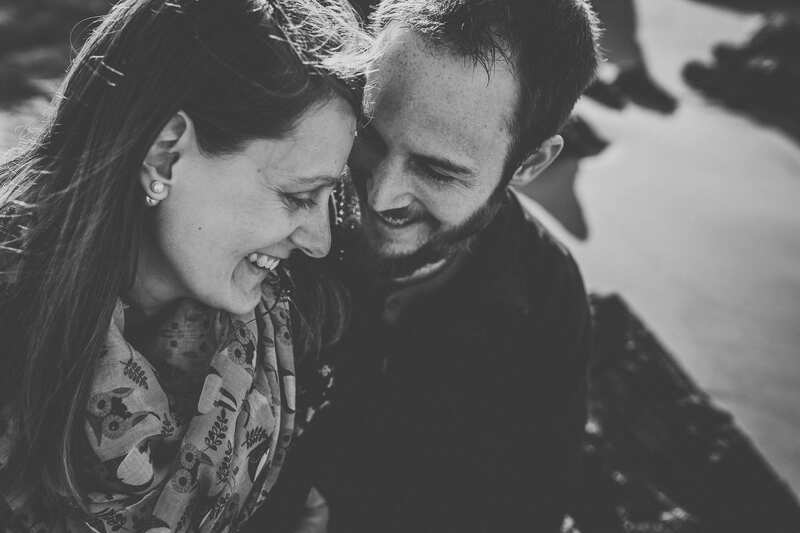 We got to a lake and sat down on a log when Luke proposed. 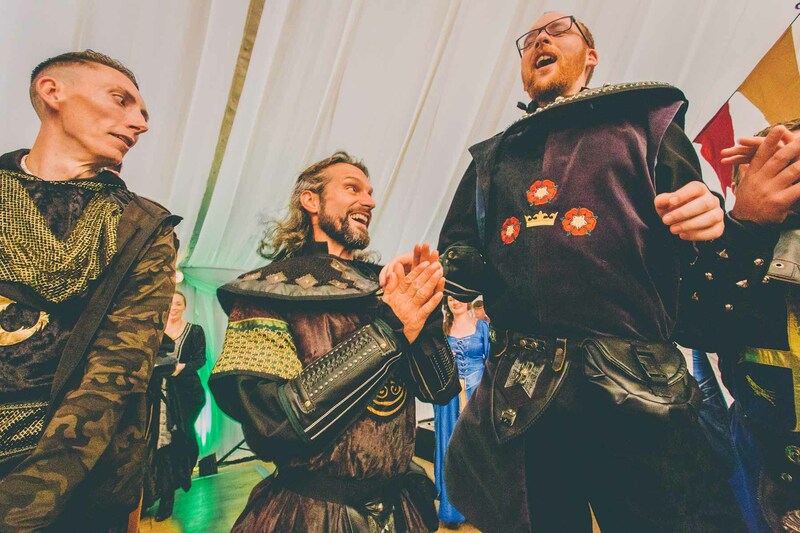 It was very much a surprise. 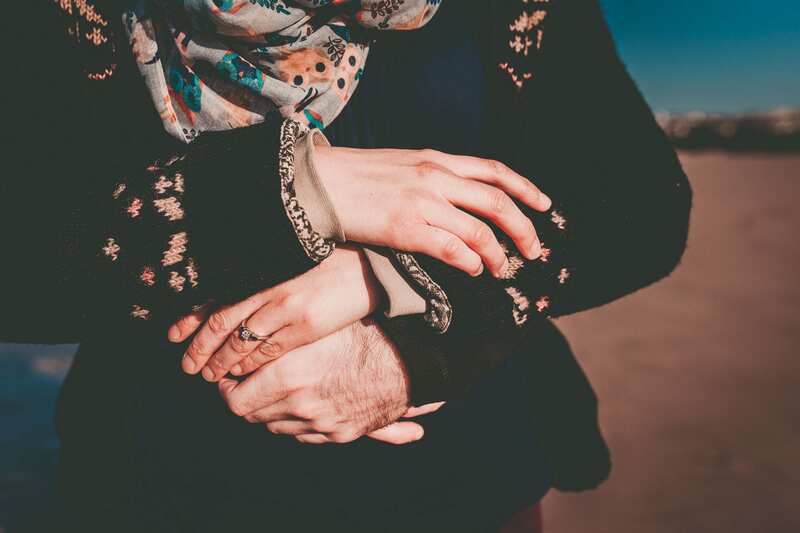 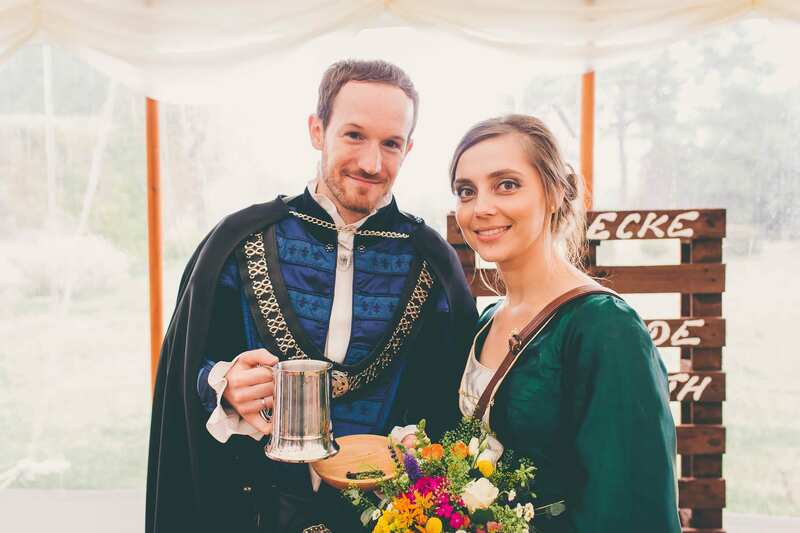 We were engaged for 2 years as we wanted to move back to the UK before getting married. 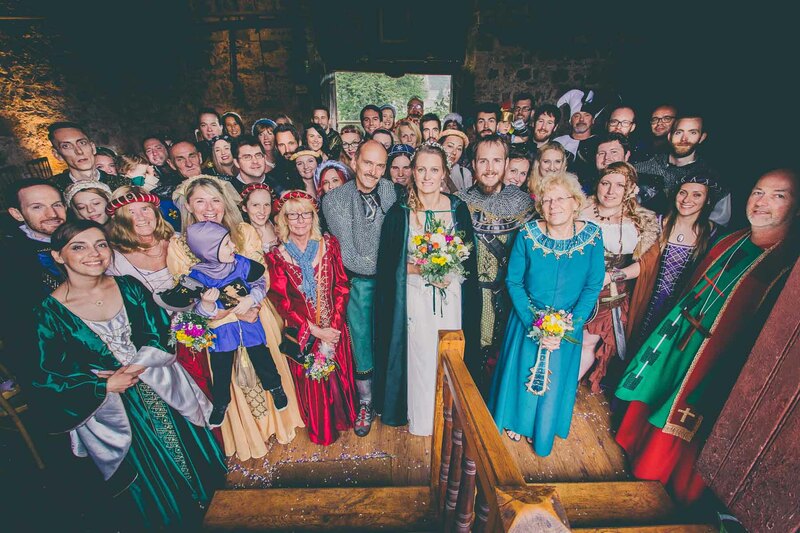 It was interesting organising a wedding while living on a different continent but we had lots of help from family and friends. 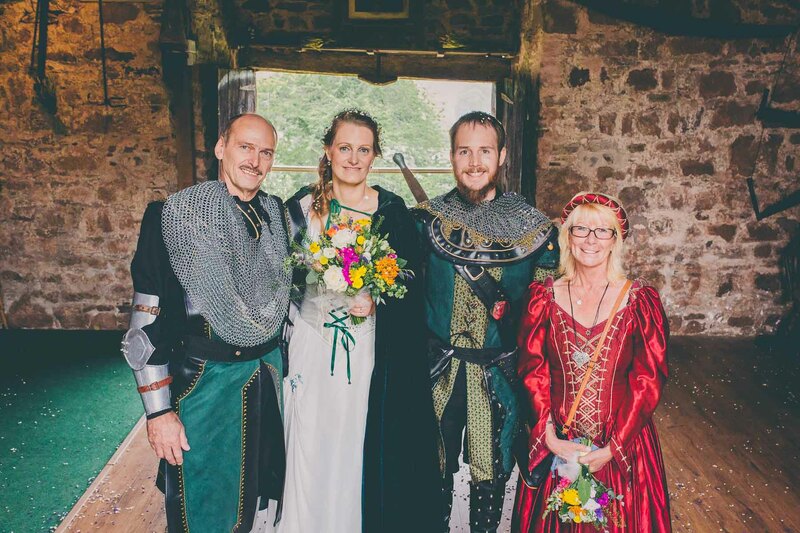 We had visited Usk Castle when we were passing through the town when we were going out for 2 years. 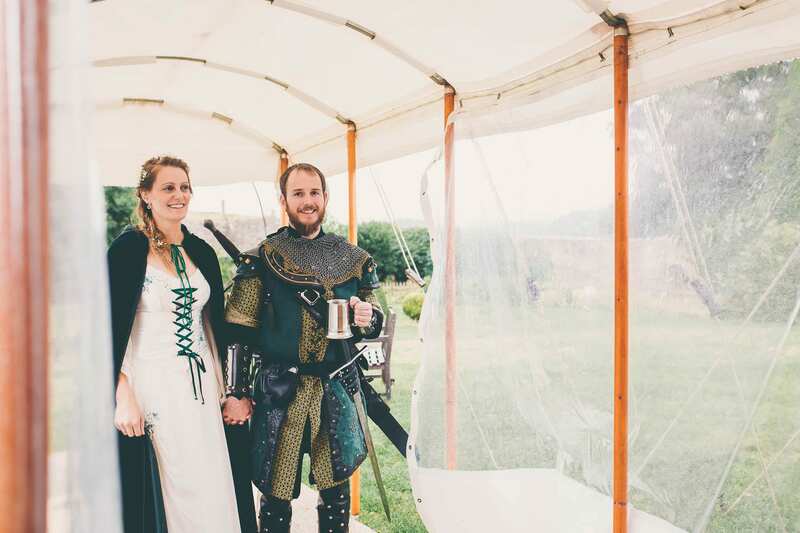 We were so fascinated by the castle and its views that we jokes about getting married there. 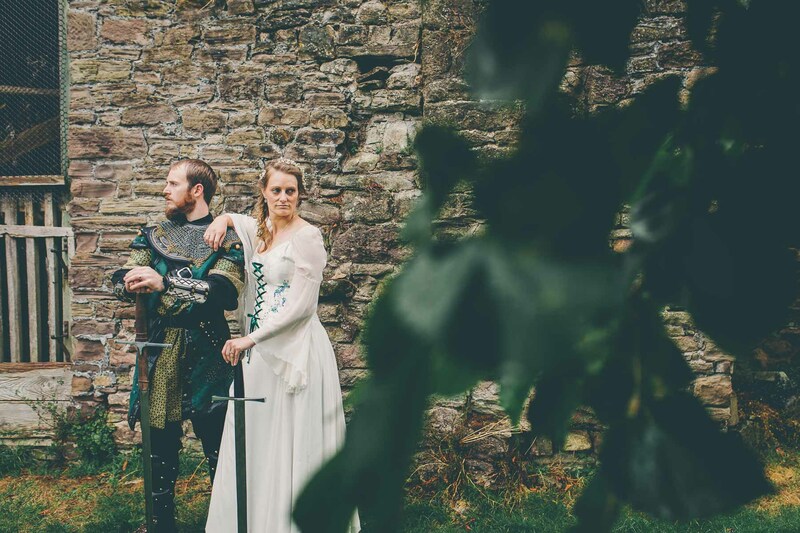 After becoming engaged, we returned to look at it more seriously and were still excited about getting married in Usk Castle. 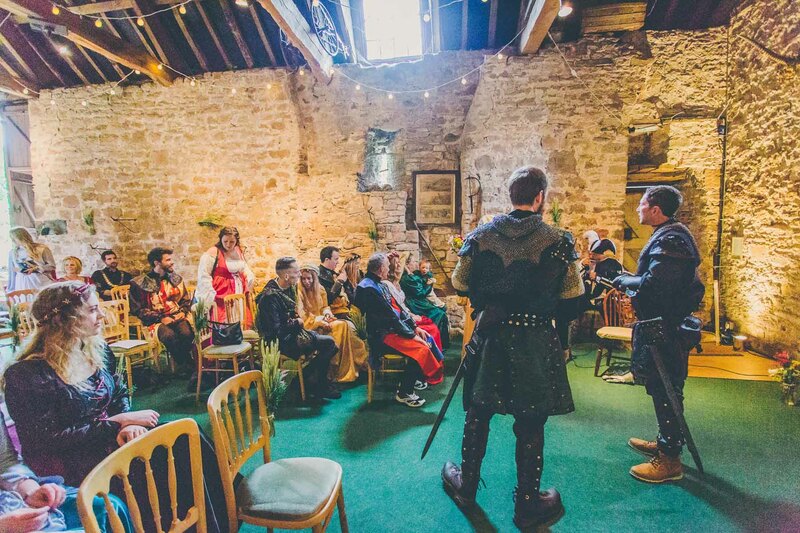 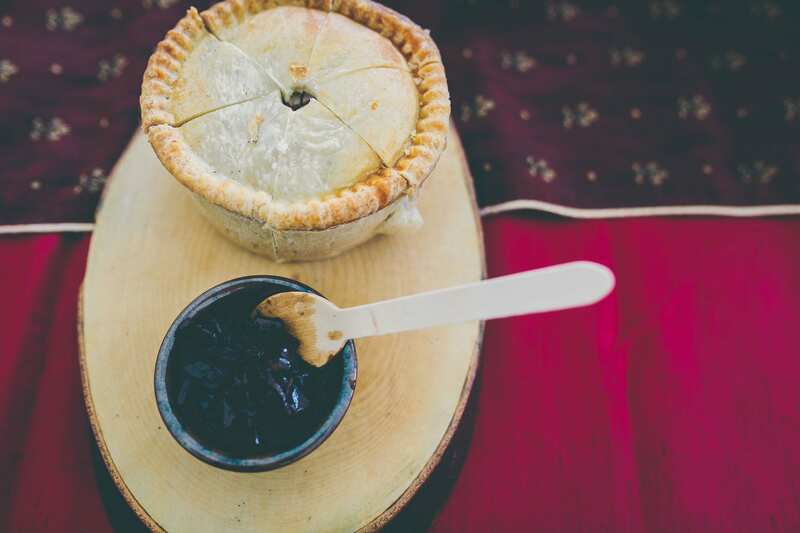 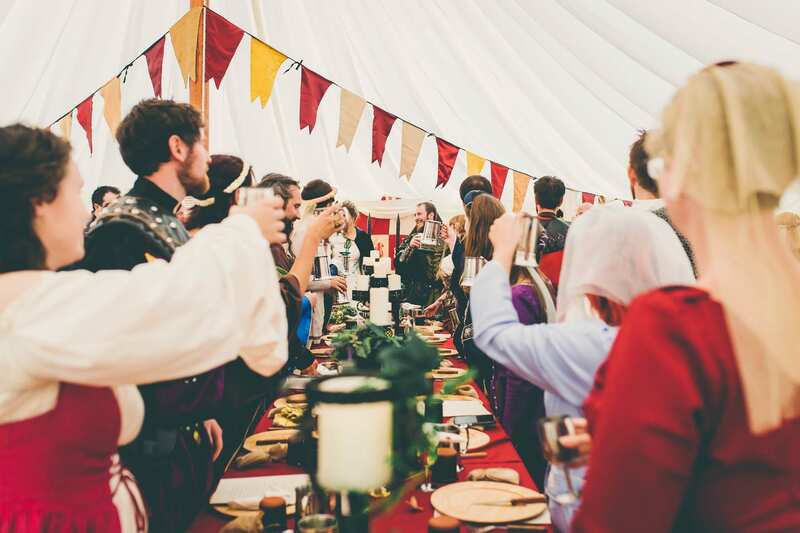 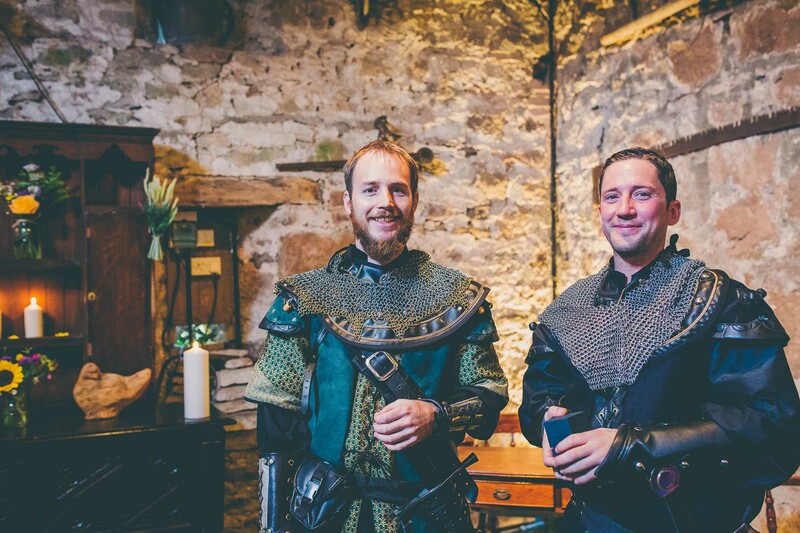 We wanted to give the wedding a medieval atmosphere as we were in a castle and to have cask ale, mead and a hog roast. 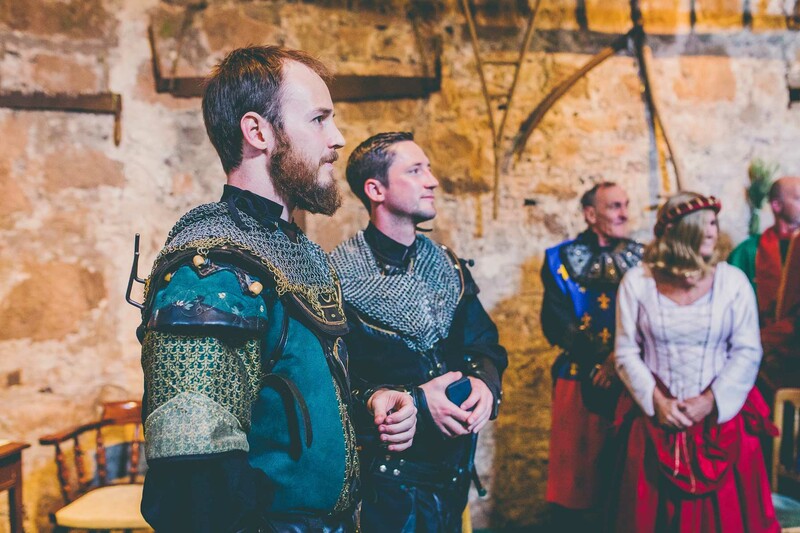 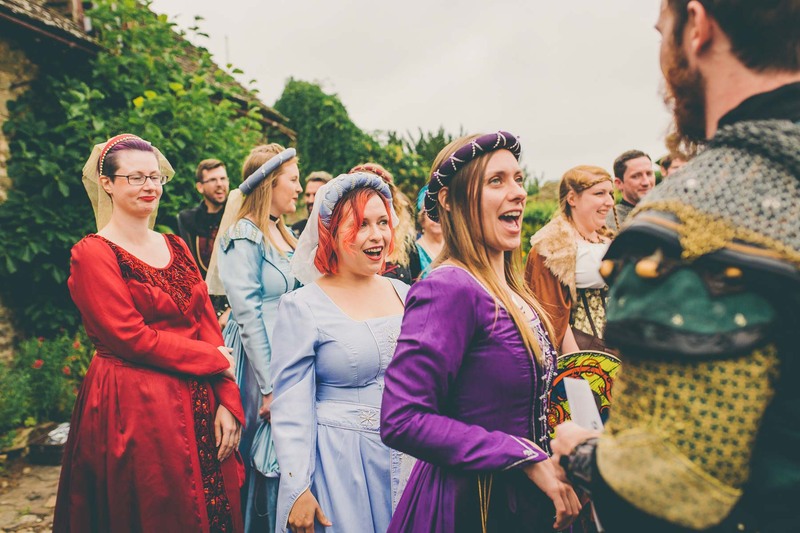 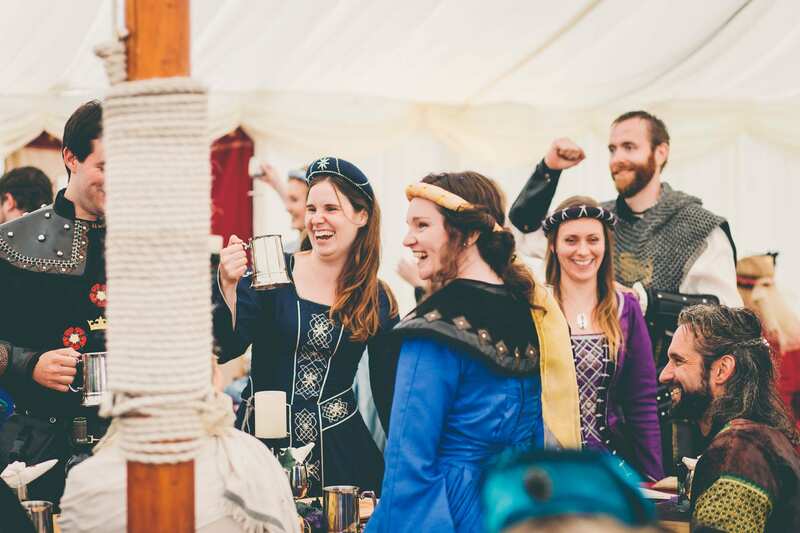 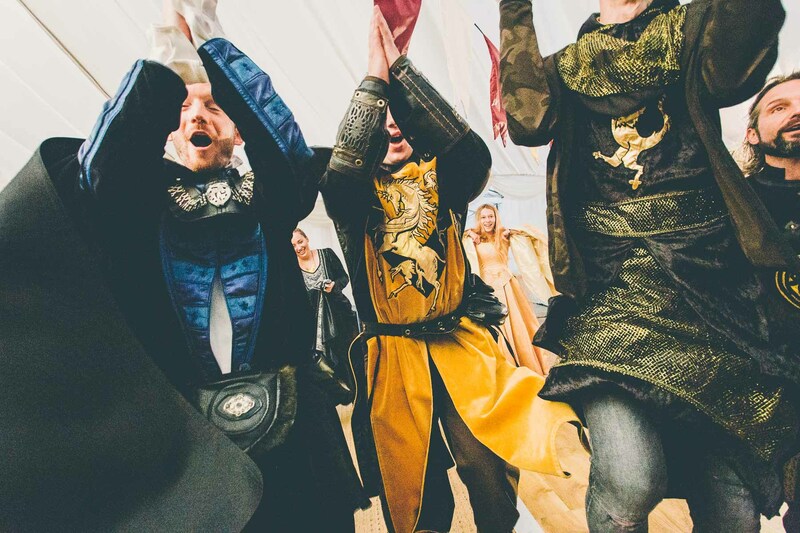 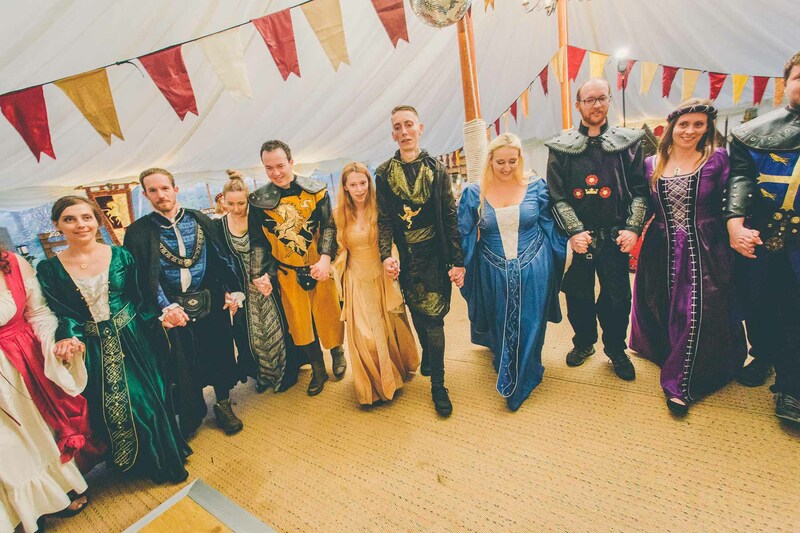 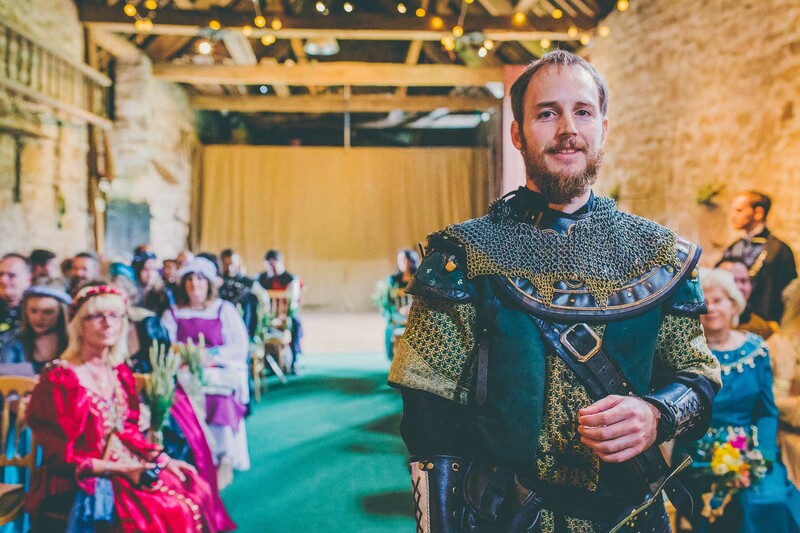 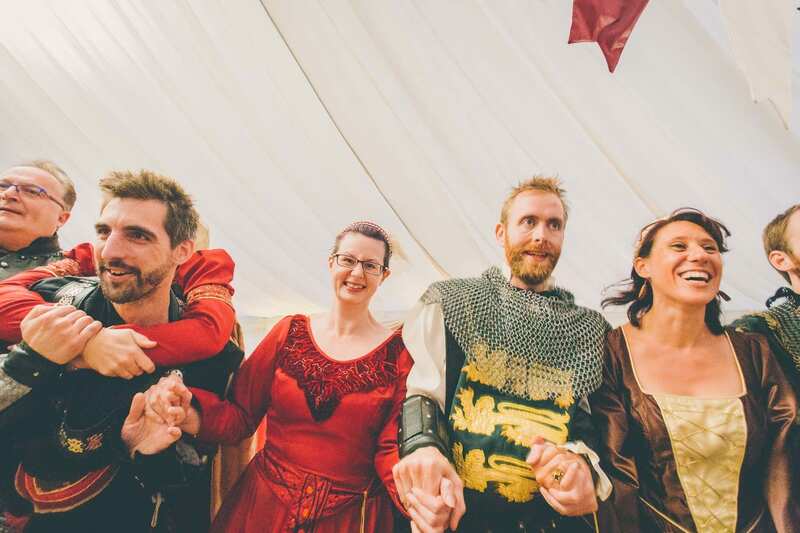 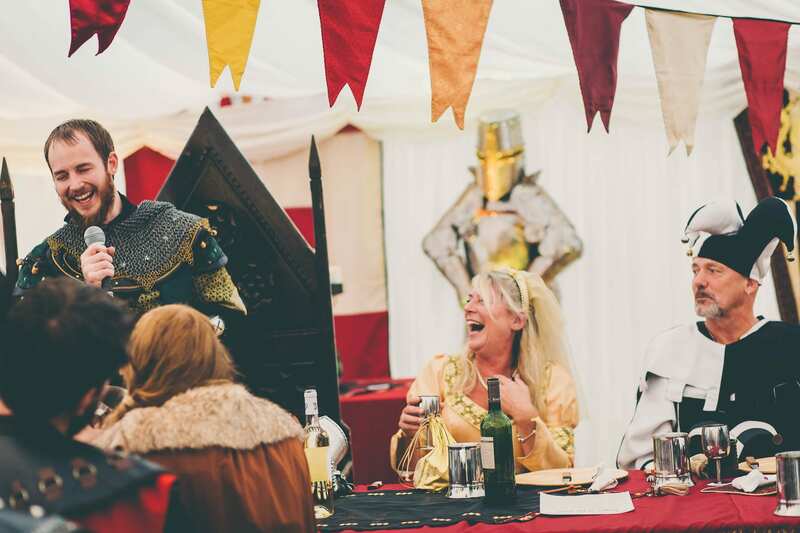 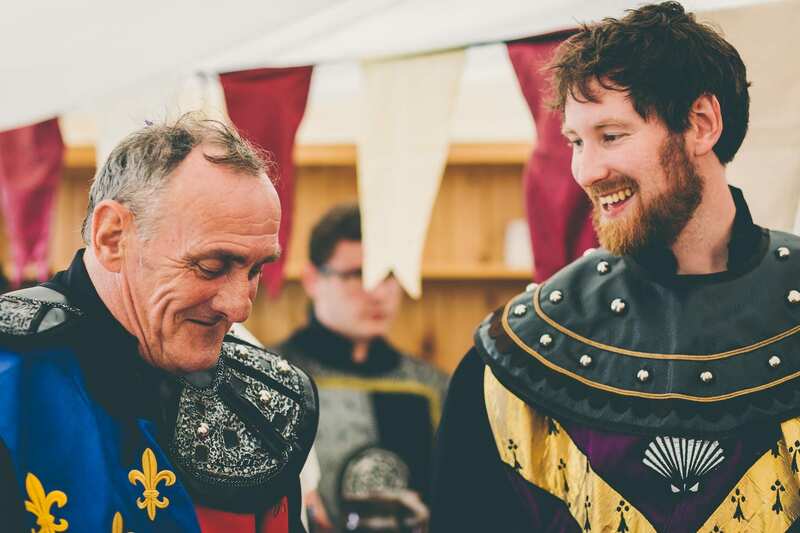 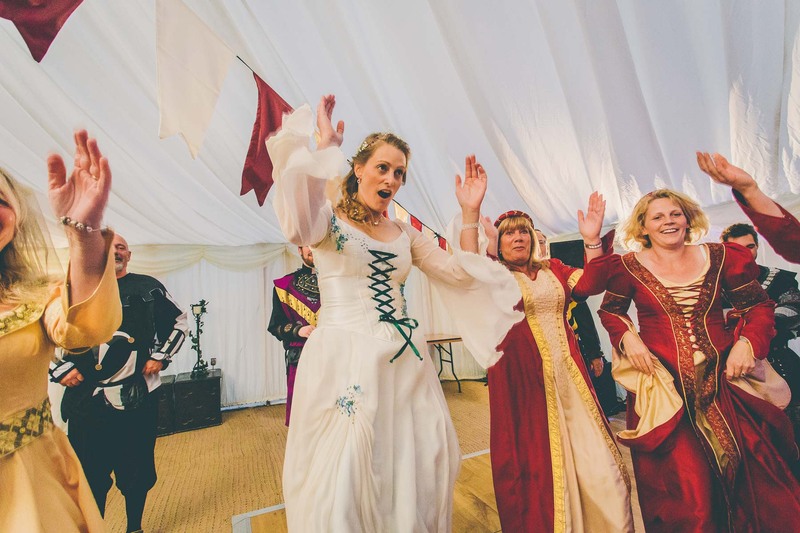 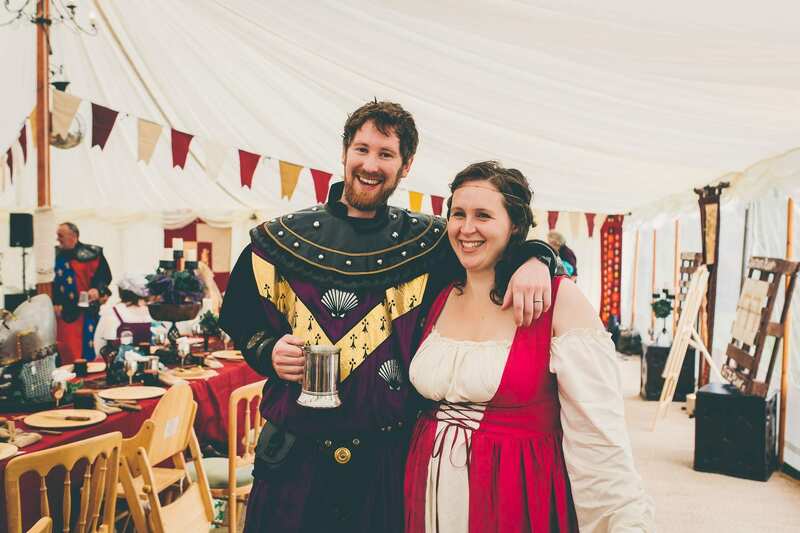 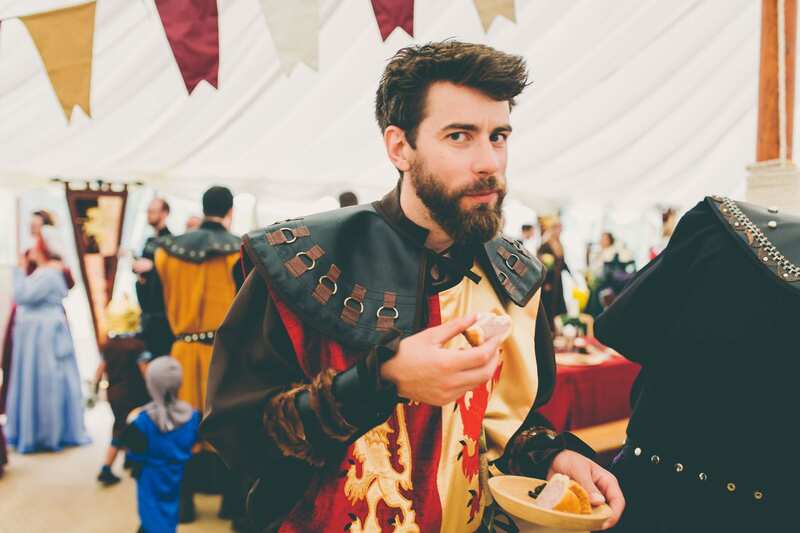 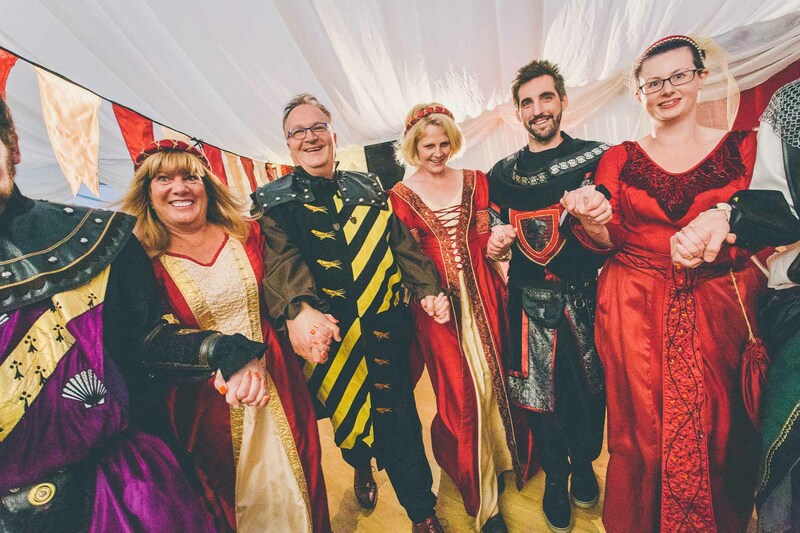 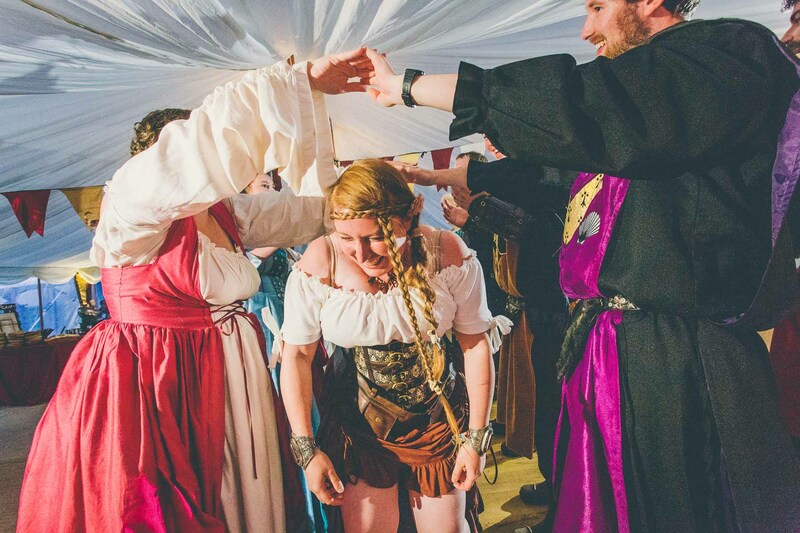 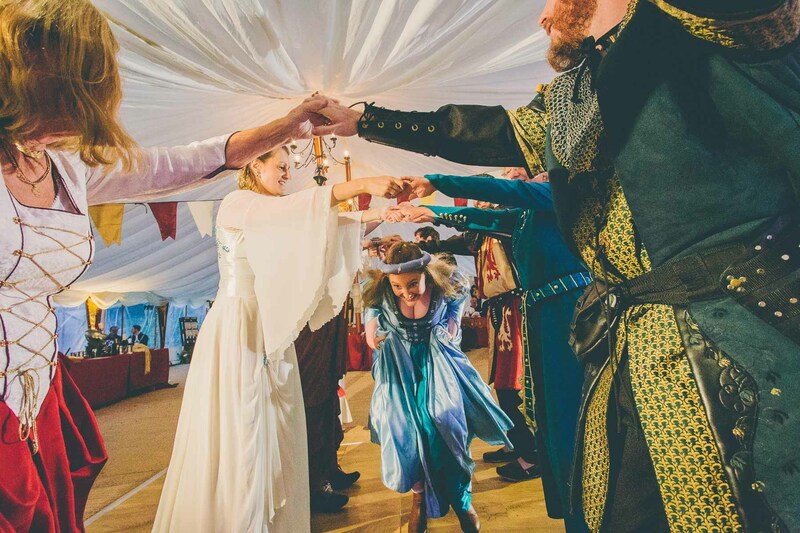 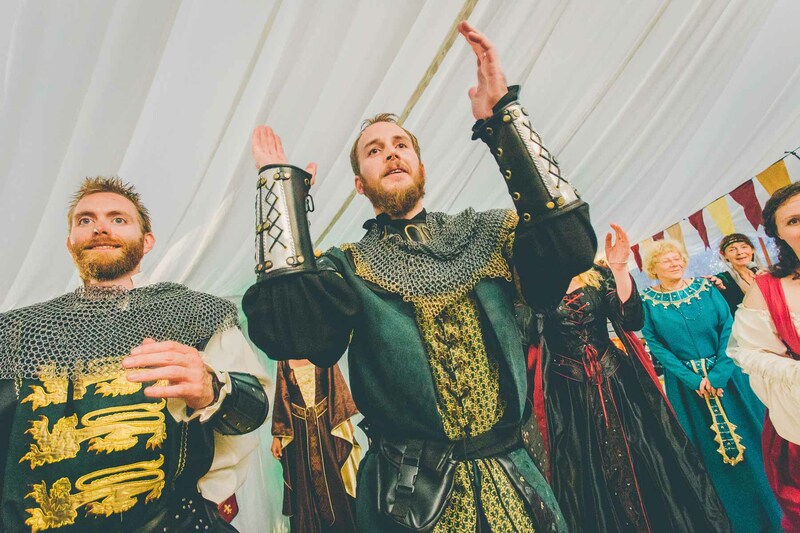 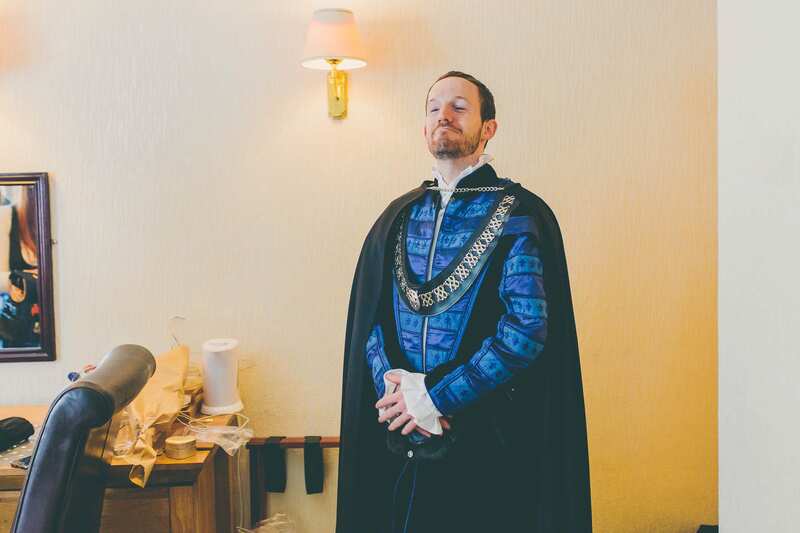 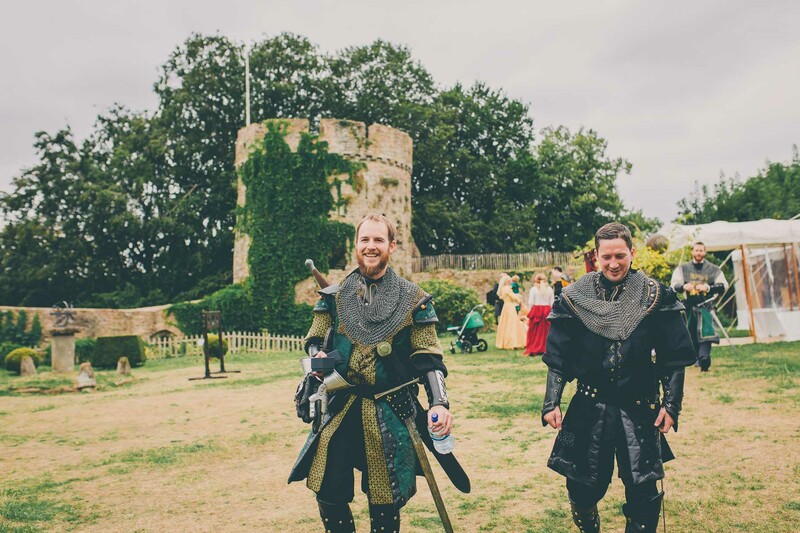 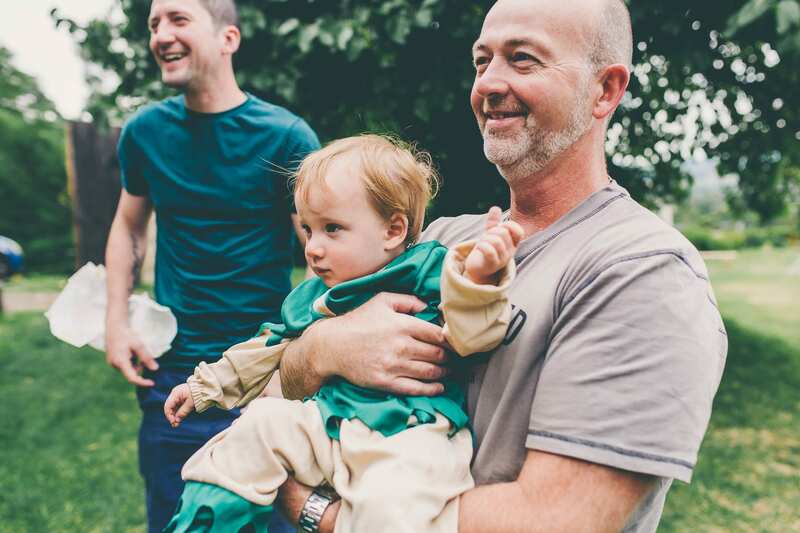 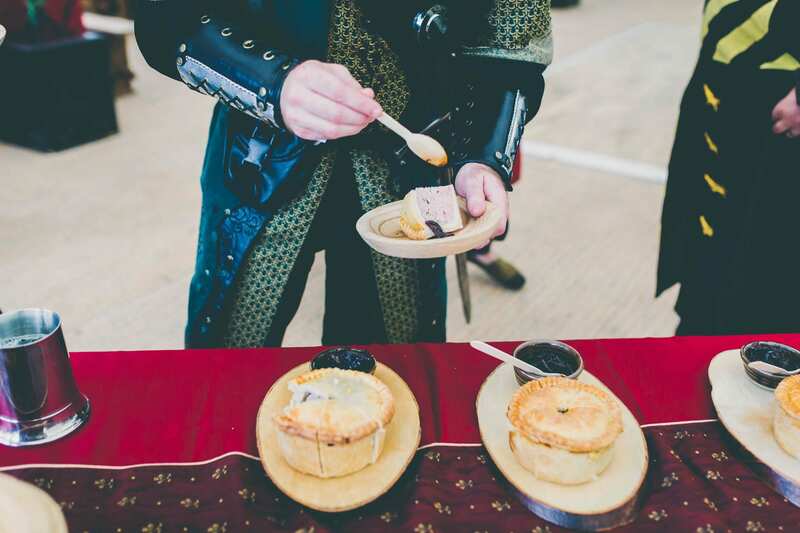 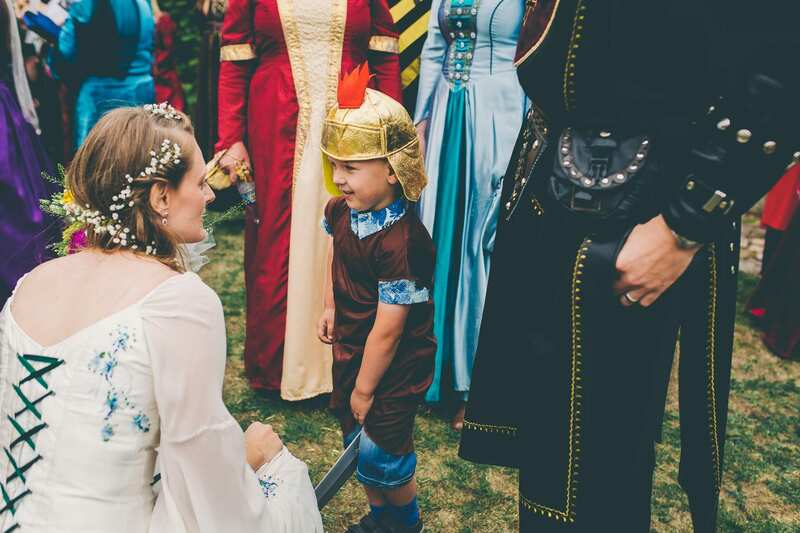 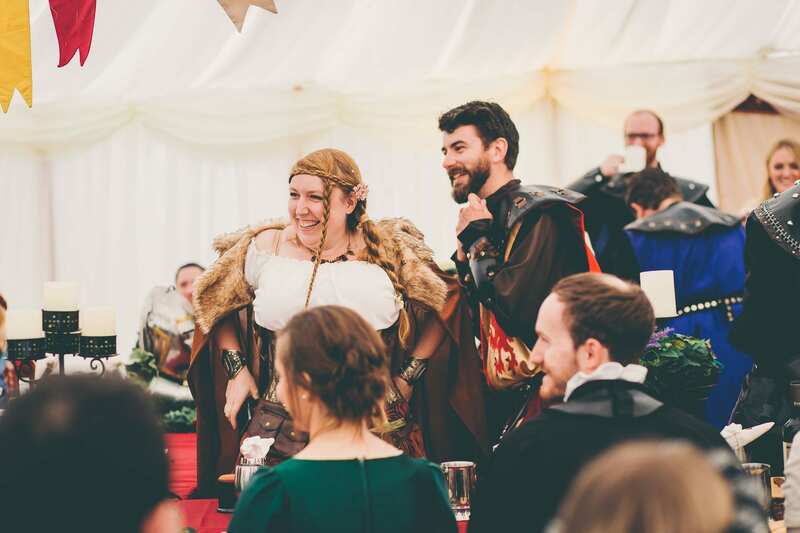 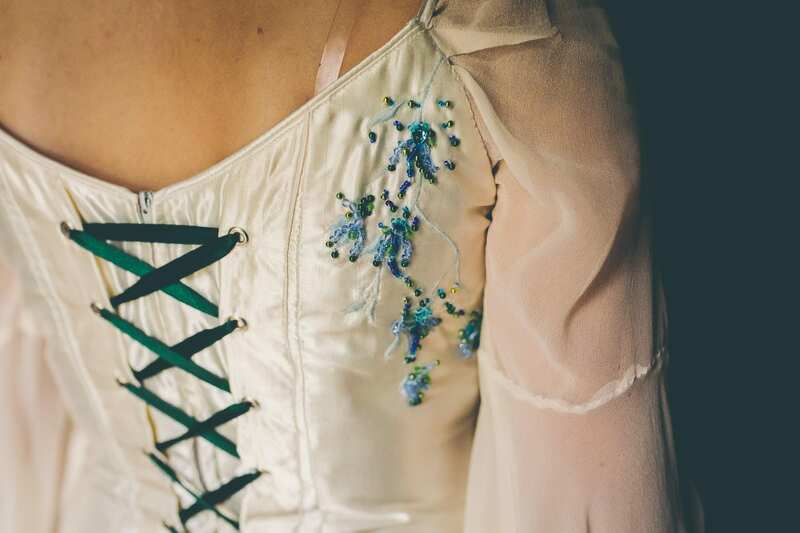 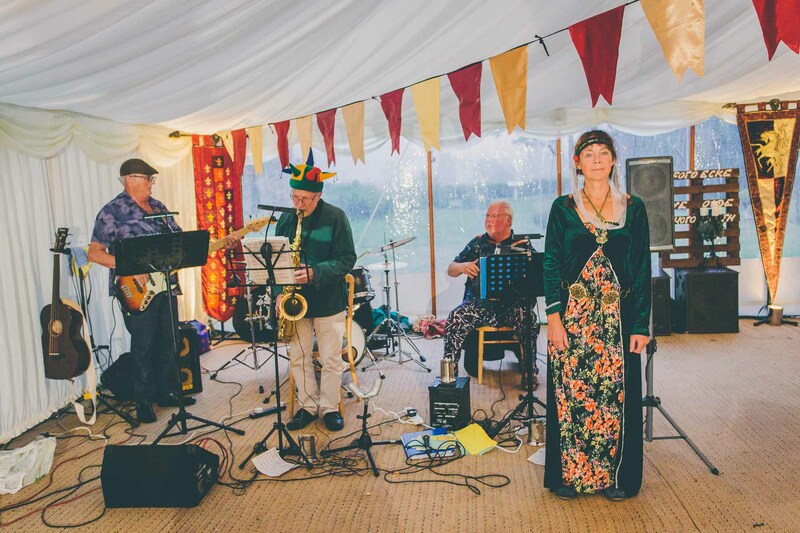 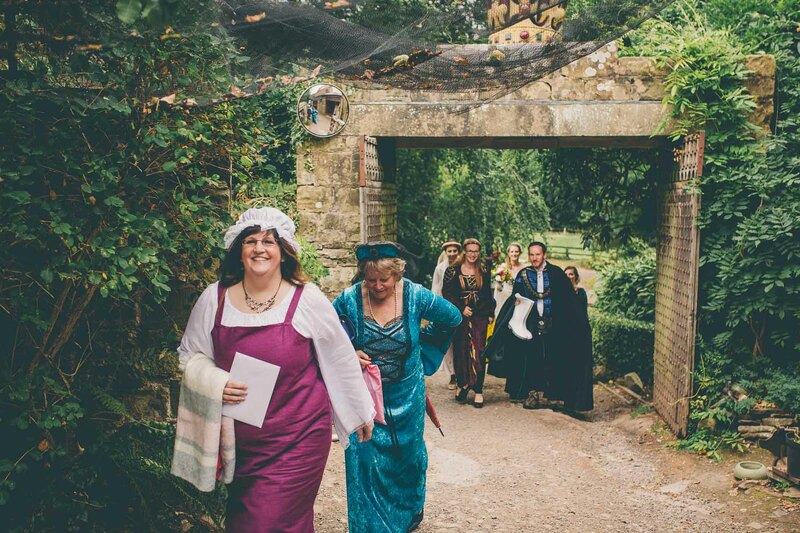 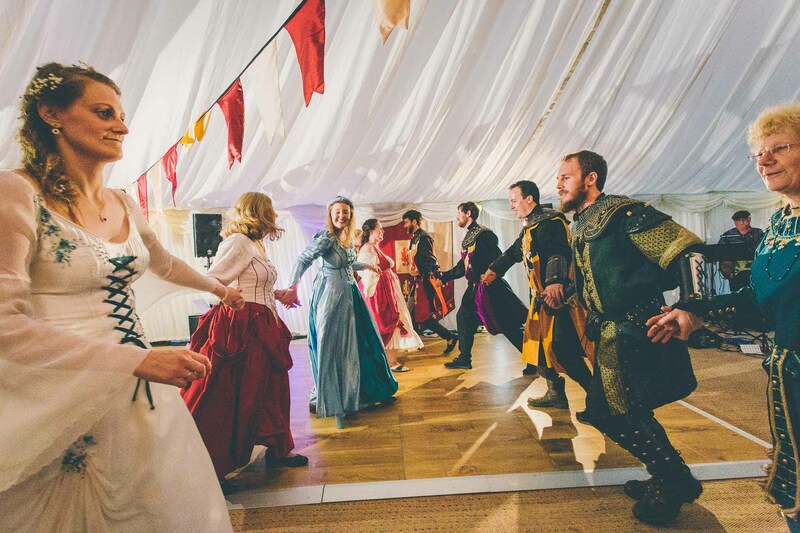 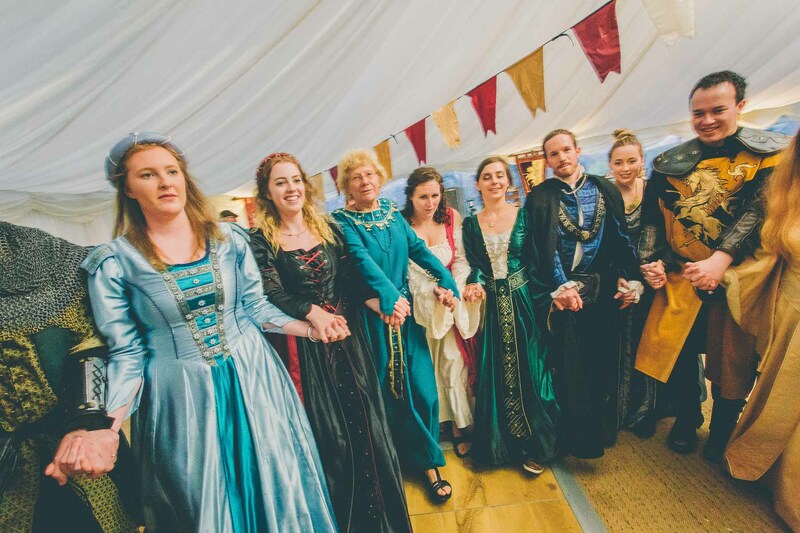 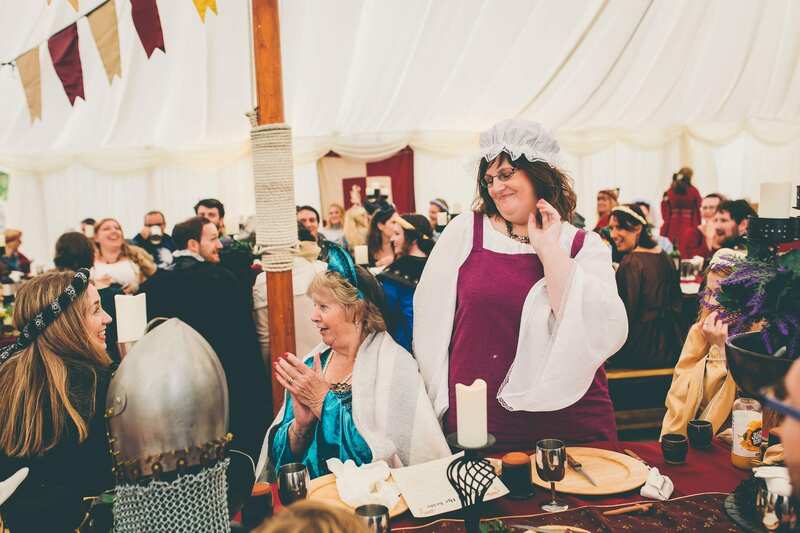 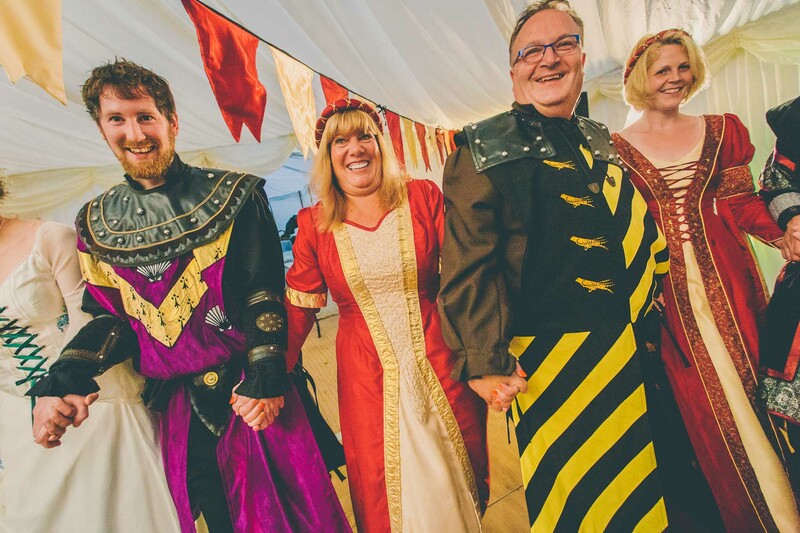 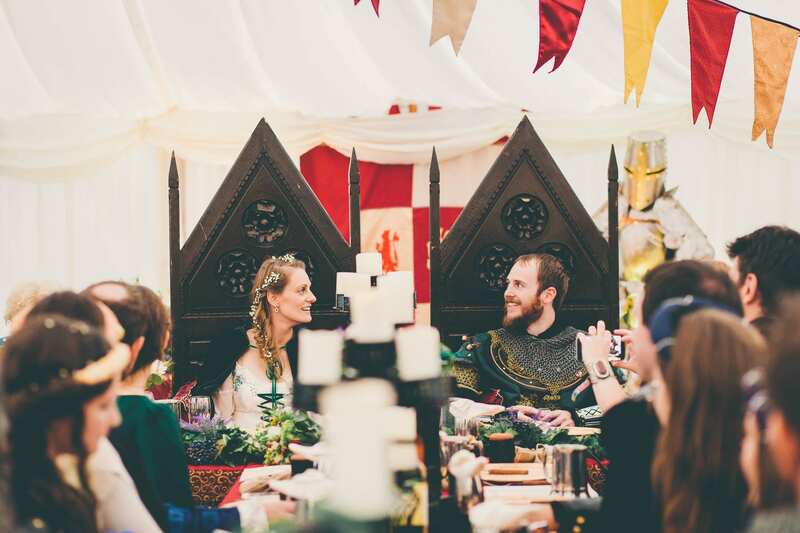 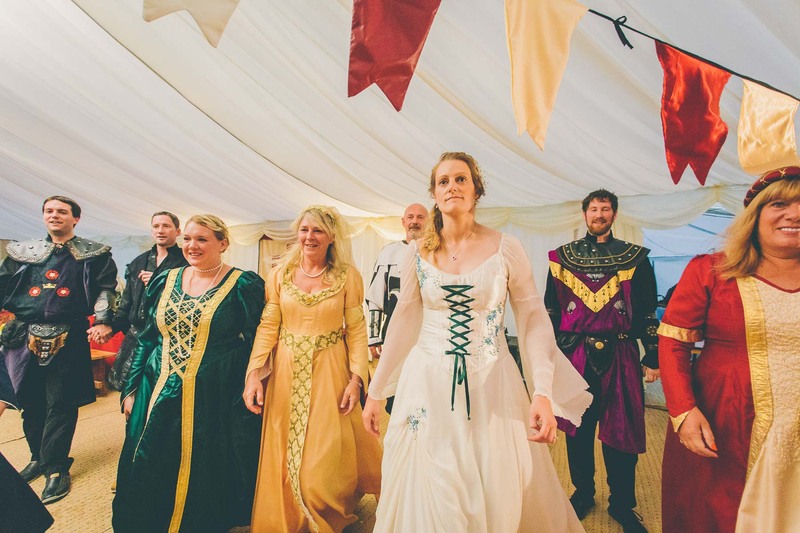 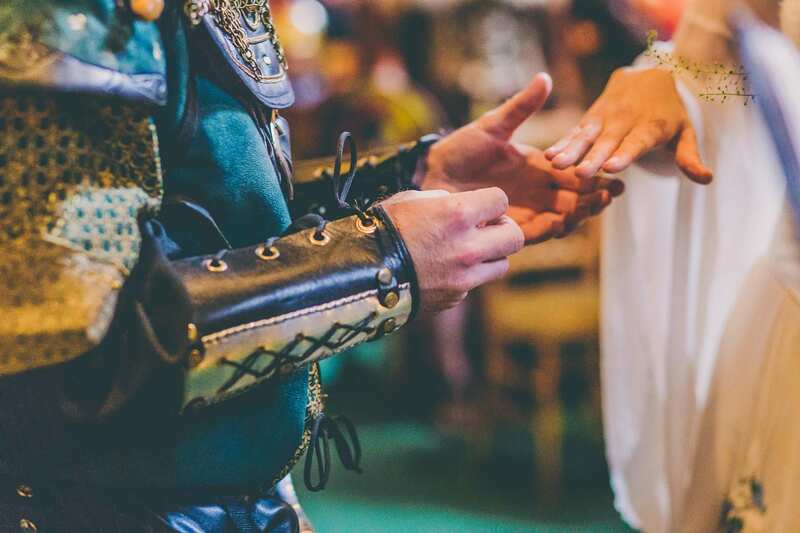 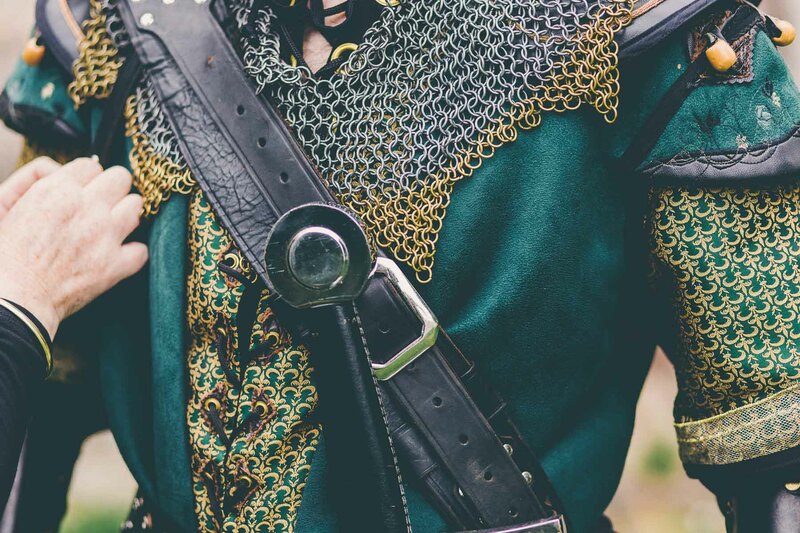 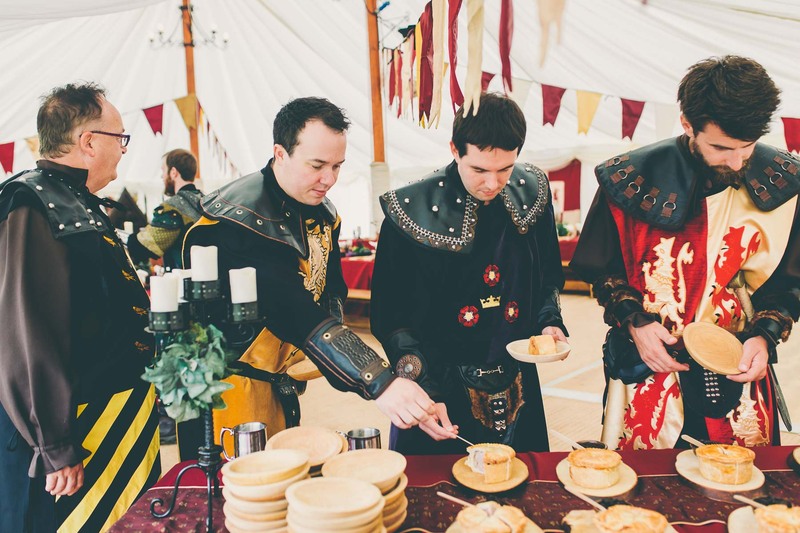 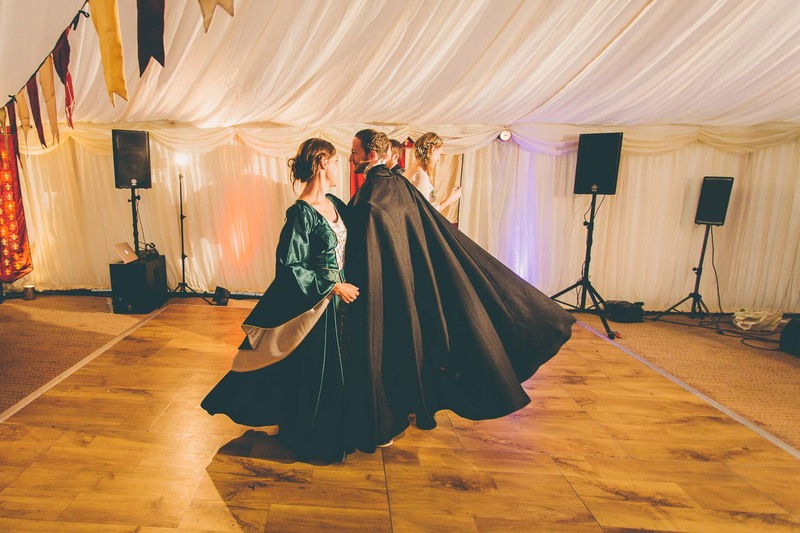 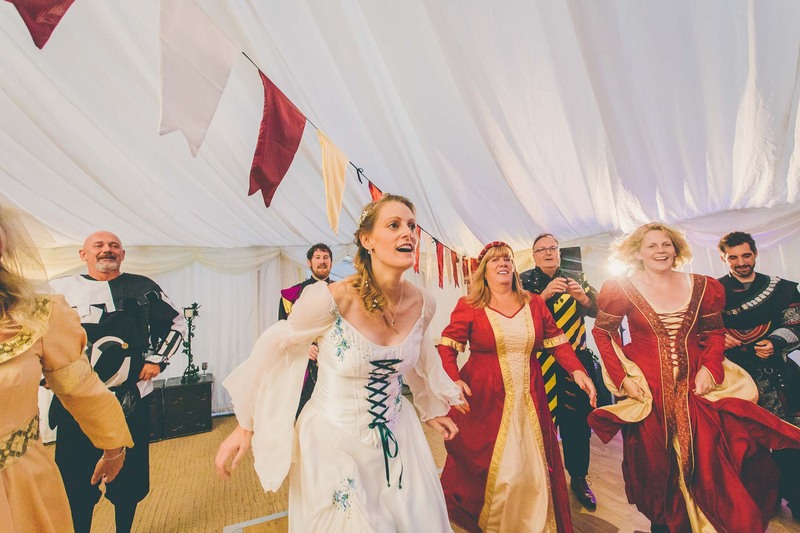 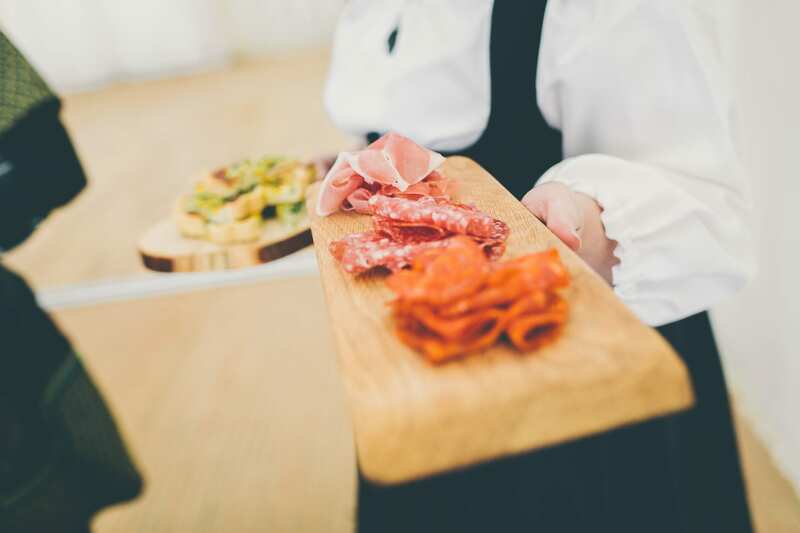 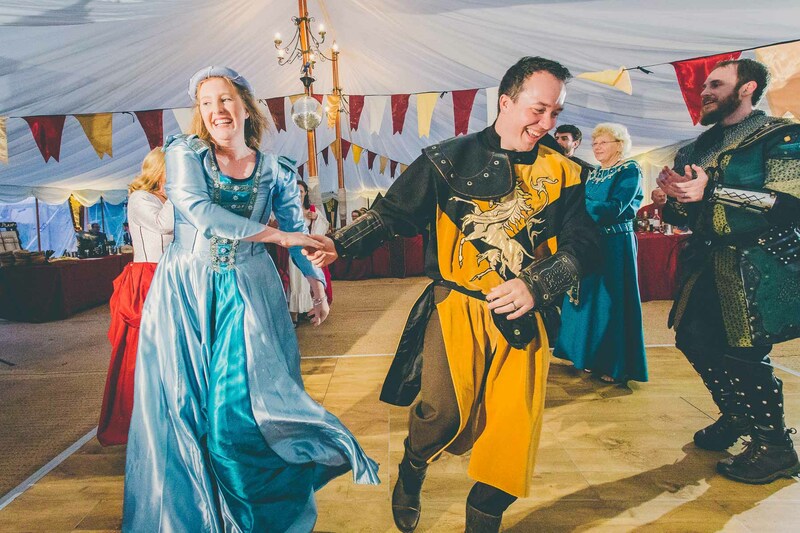 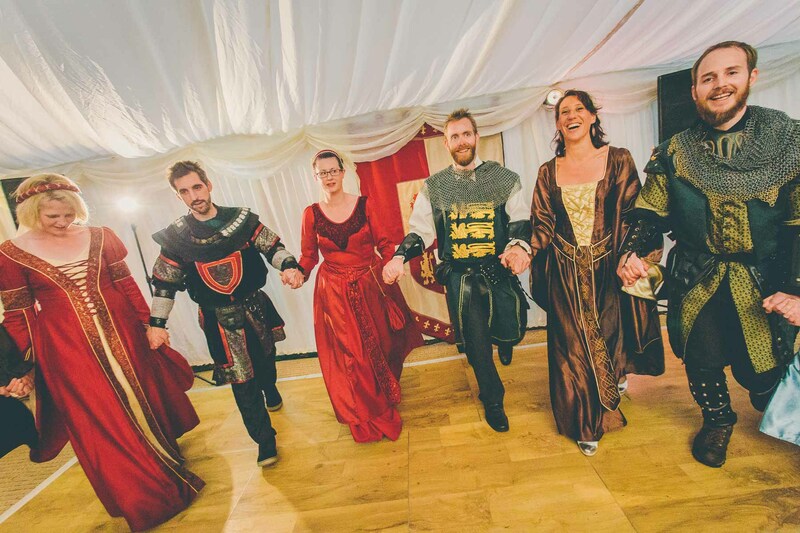 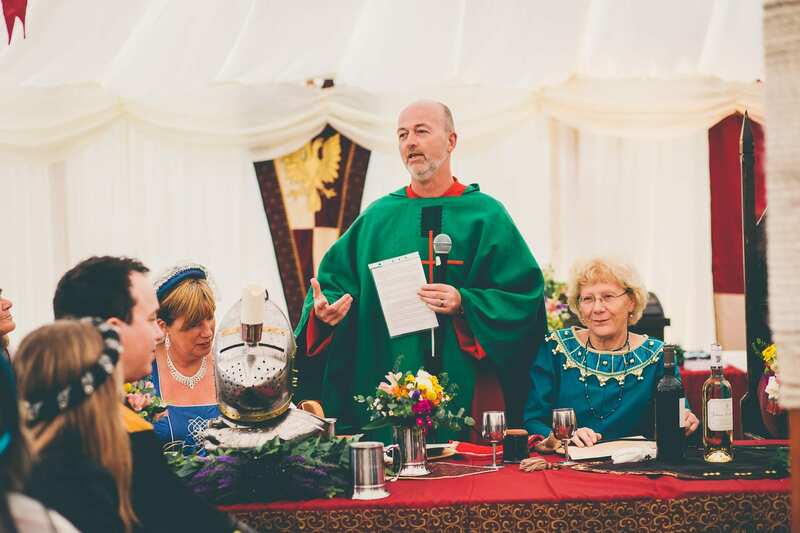 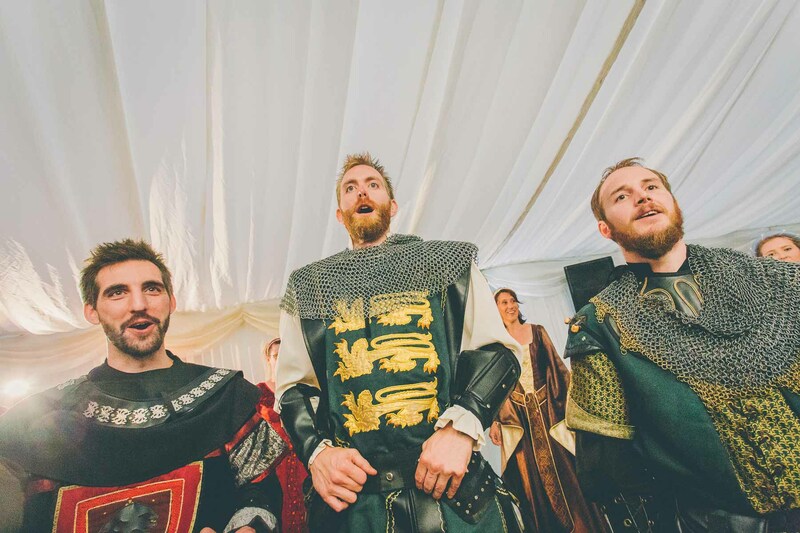 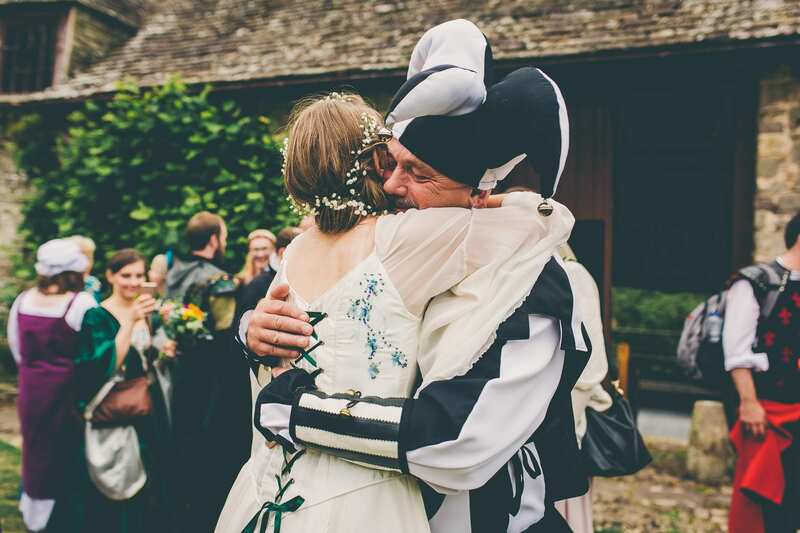 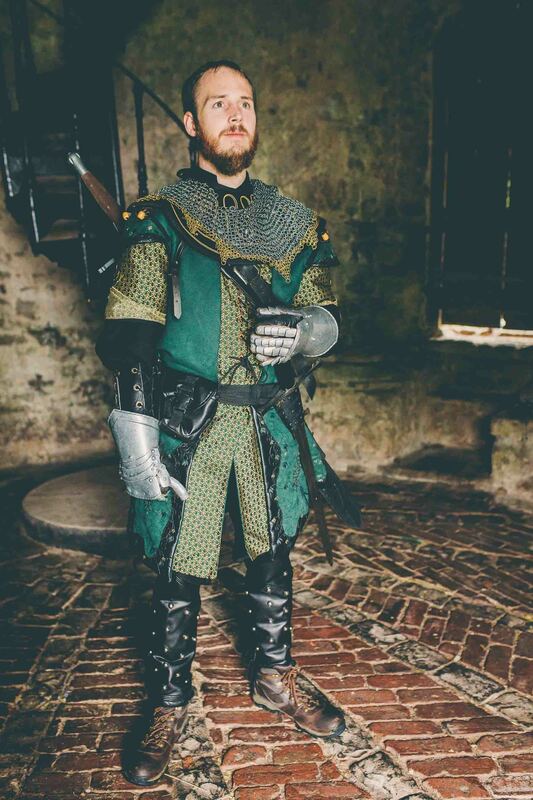 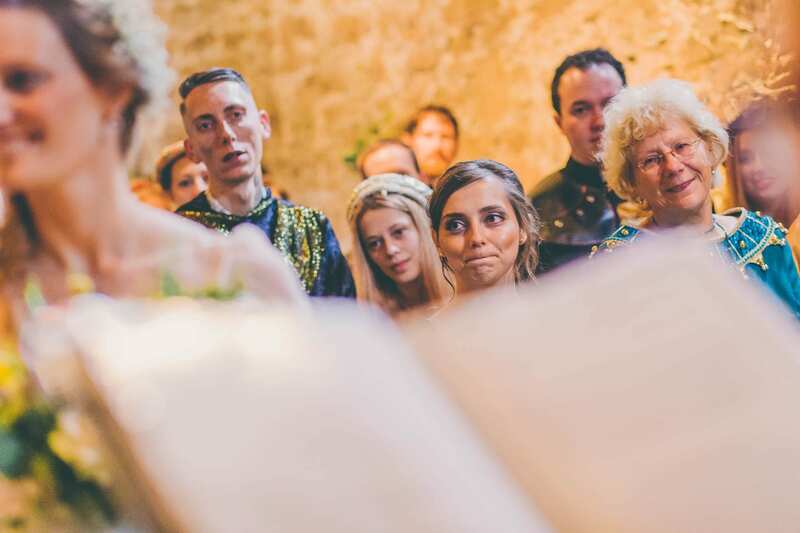 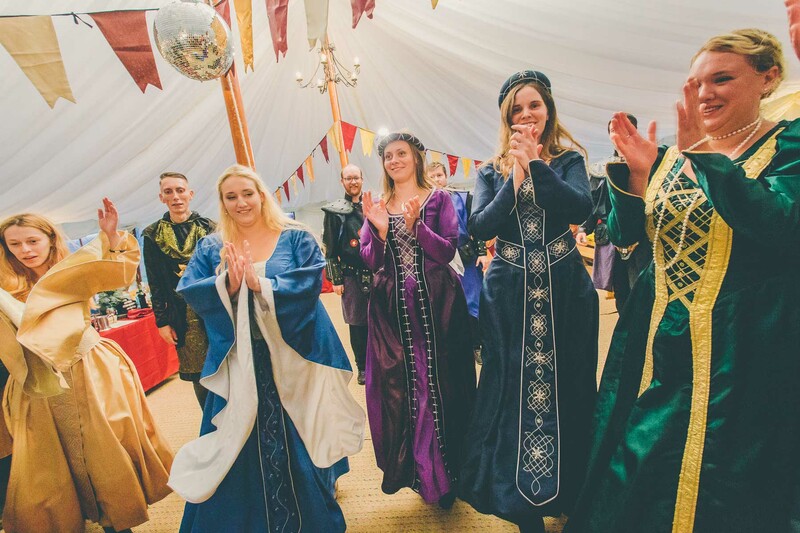 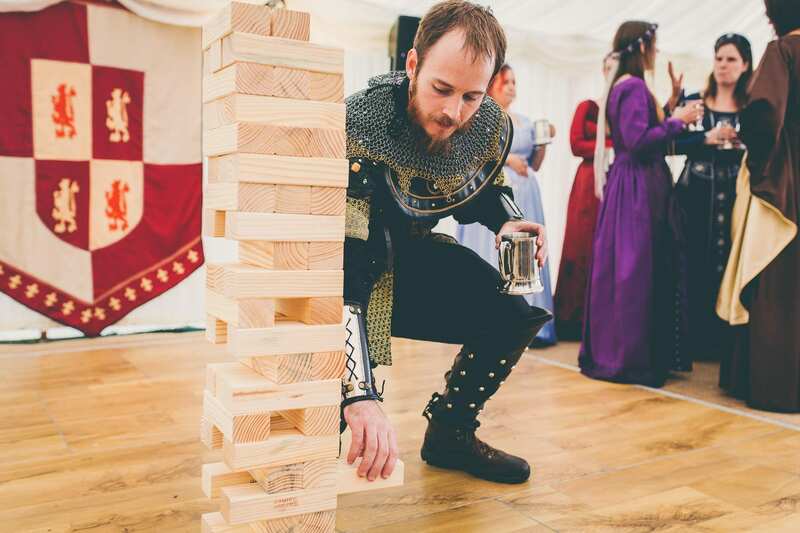 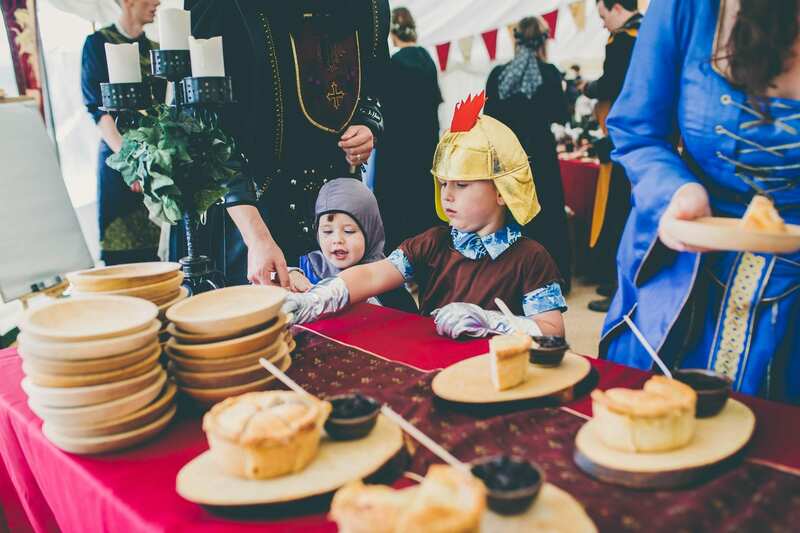 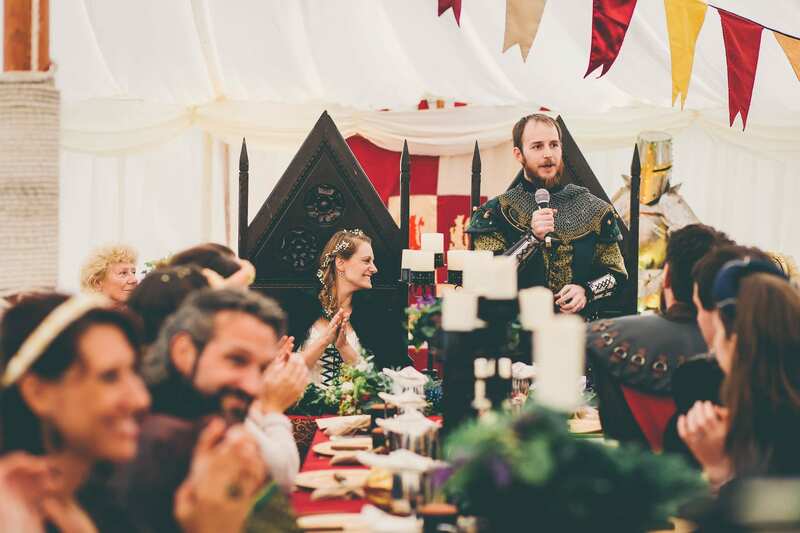 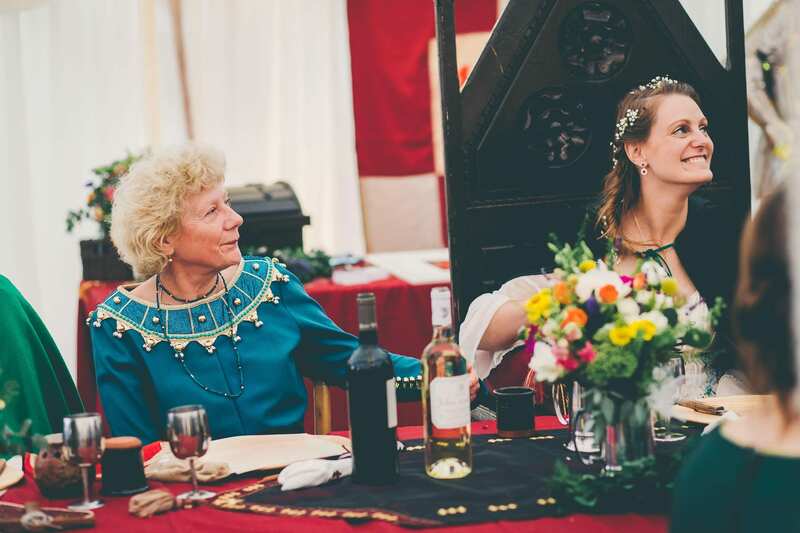 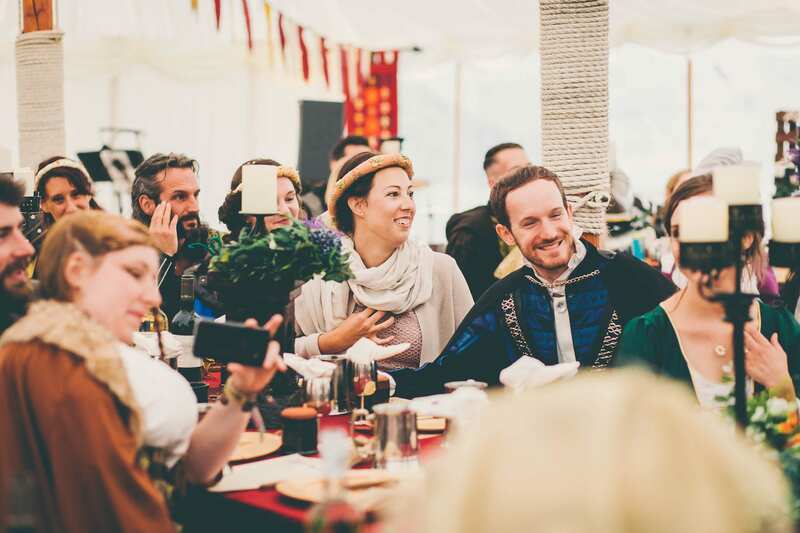 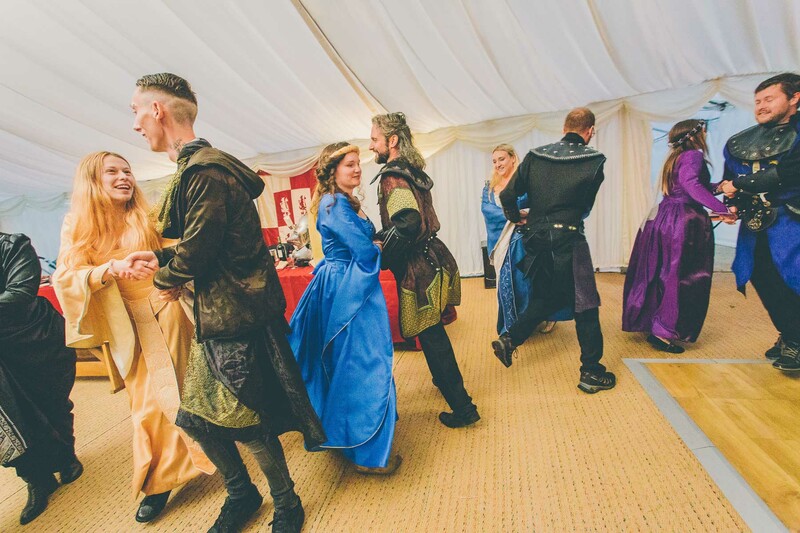 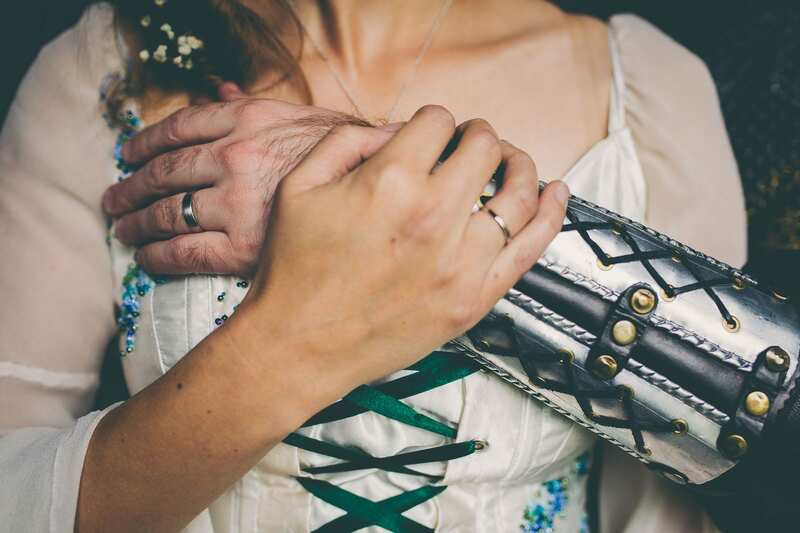 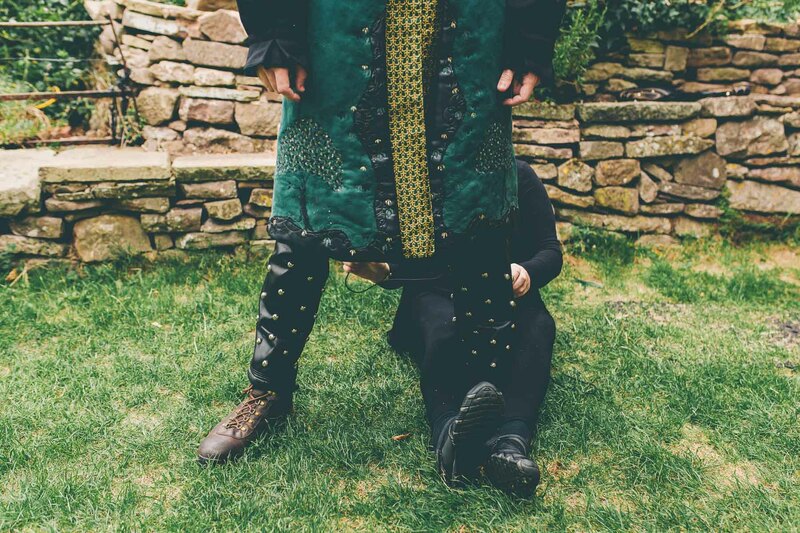 We send some family to test out our favourite hog roast place and they came back to us to say that the food was not only amazing but that the same company also did medieval costumes for hire and so decided to have a fancy dress wedding. 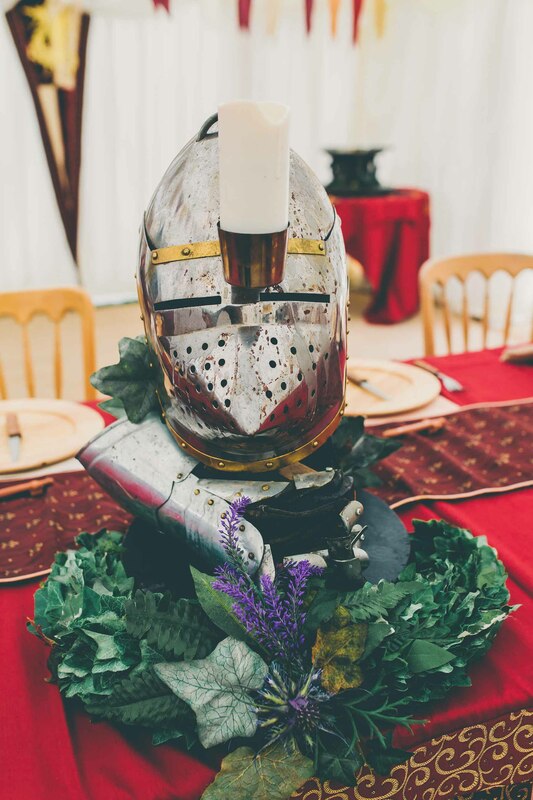 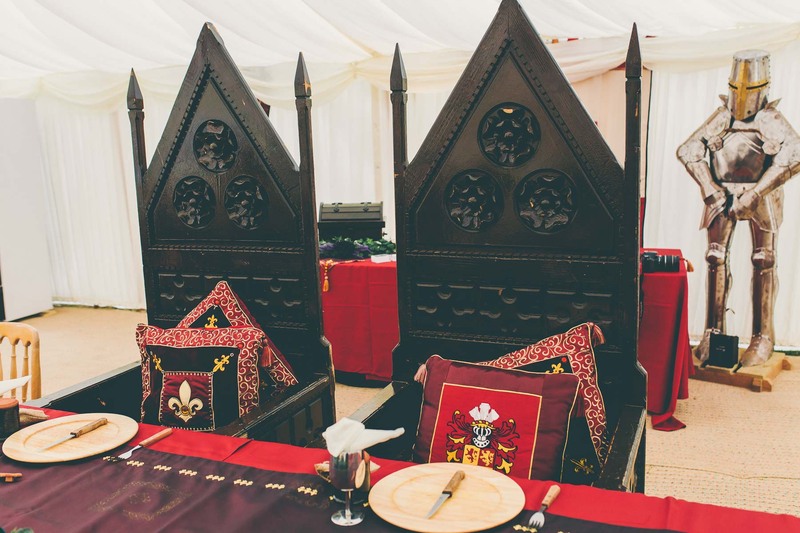 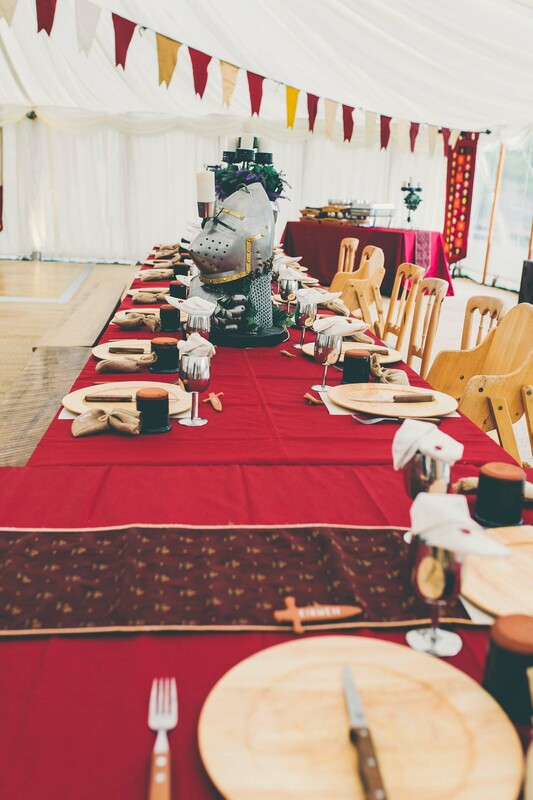 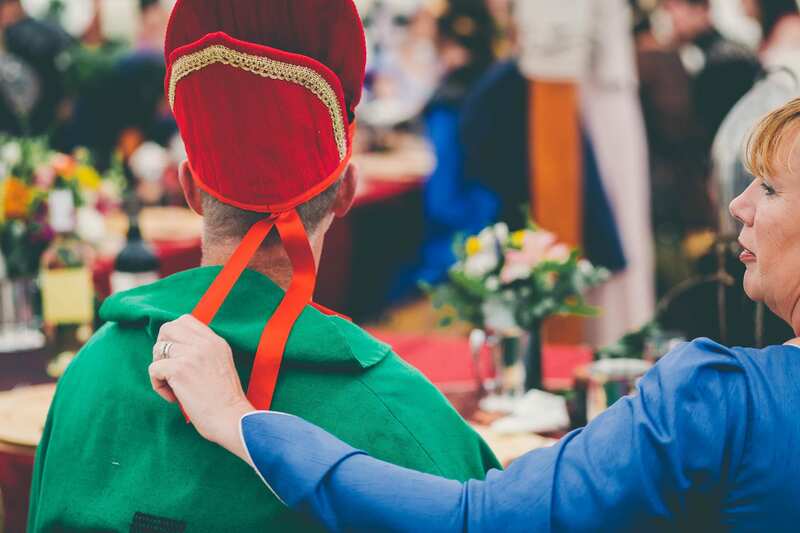 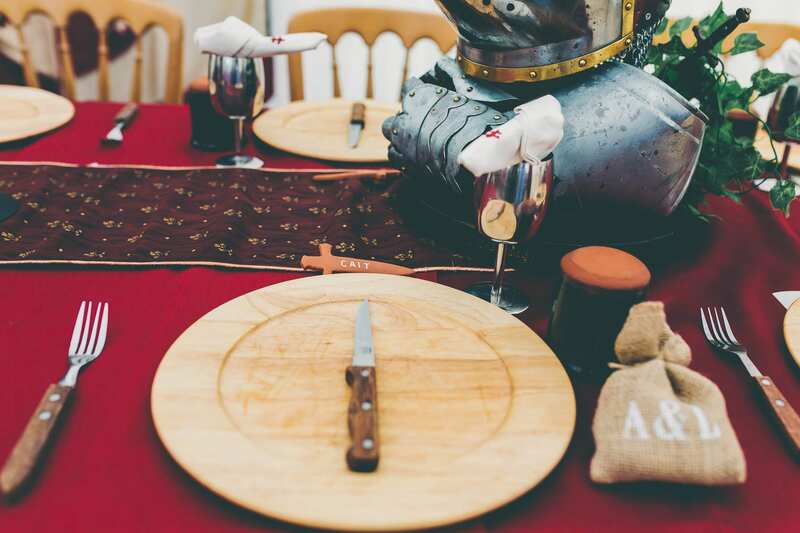 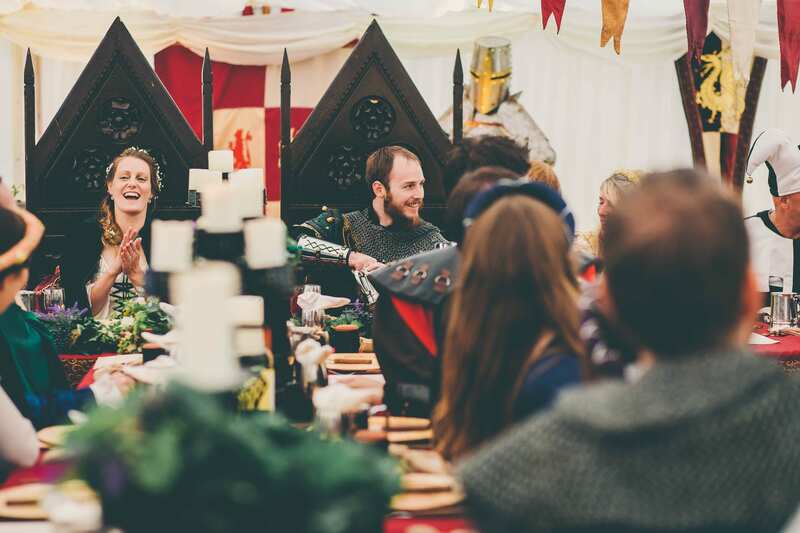 To go with the medieval costumes and food, we also rented medieval decorations including a suit of armour and thrones. 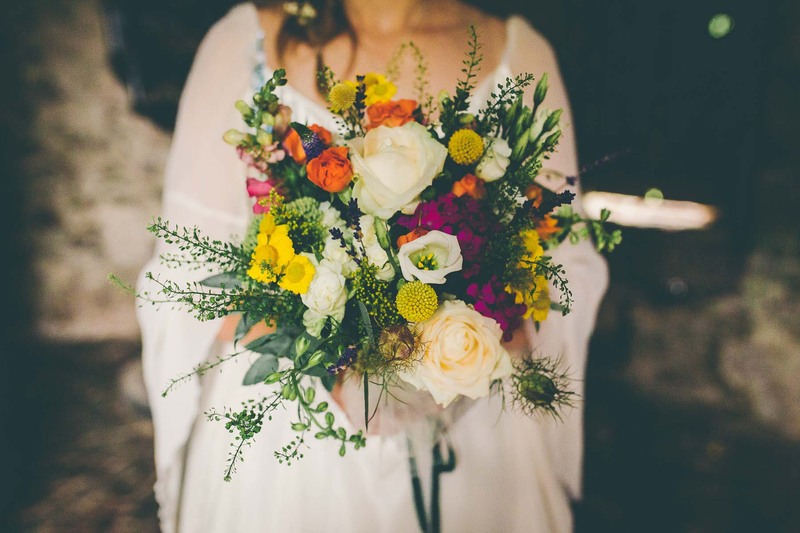 We went for wild flowers as we thought this would be colourful and also go with the theme. 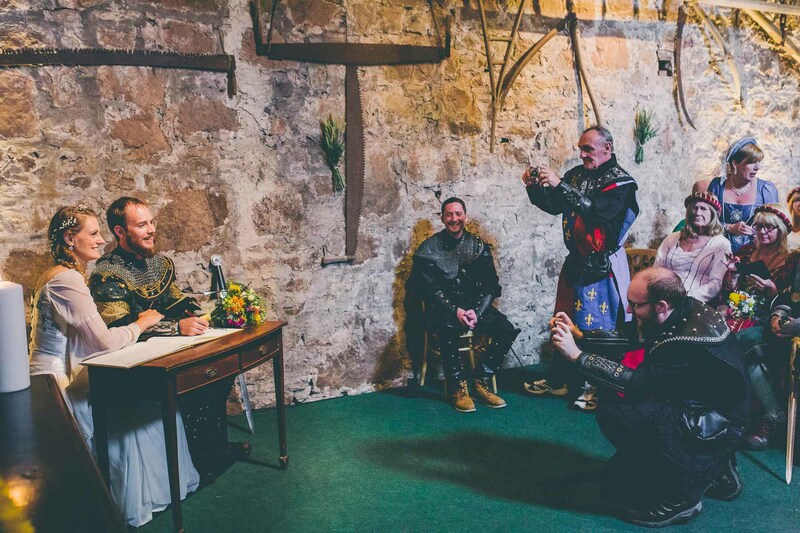 The ceremony was fantastic. 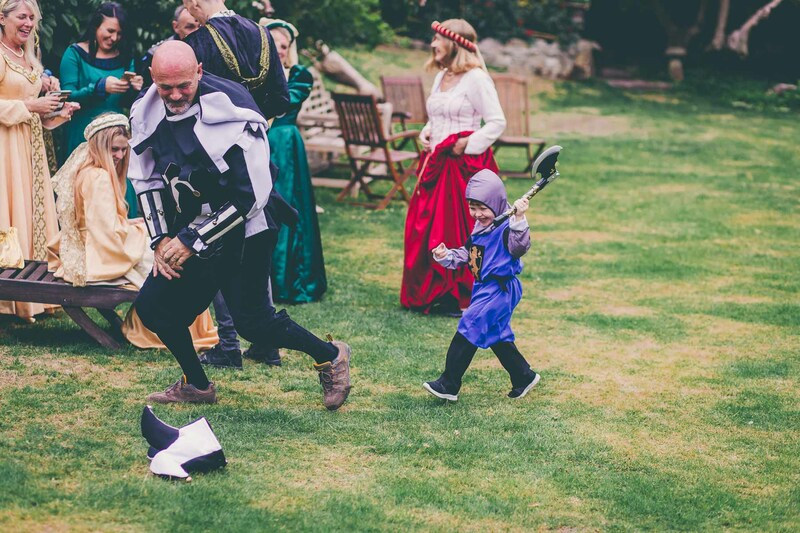 It was the first time we saw everyone dressed up. 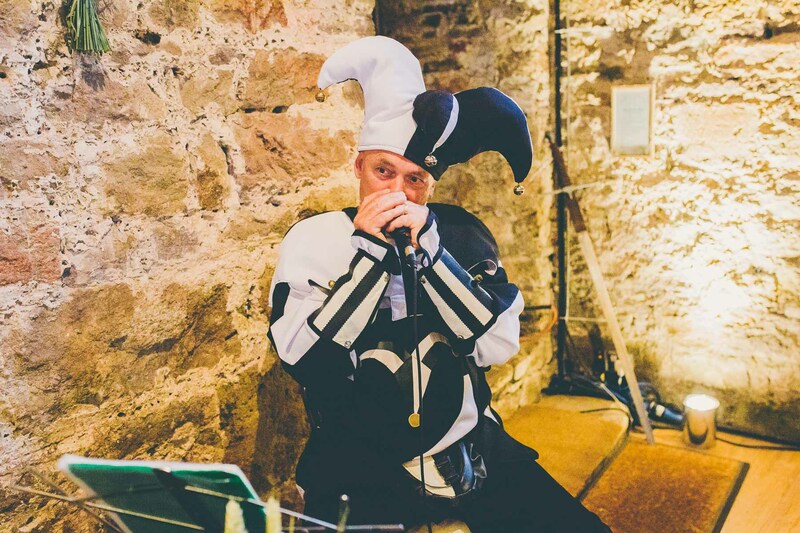 The barn looked warm and festive and we had a family member play songs on his harmonica. 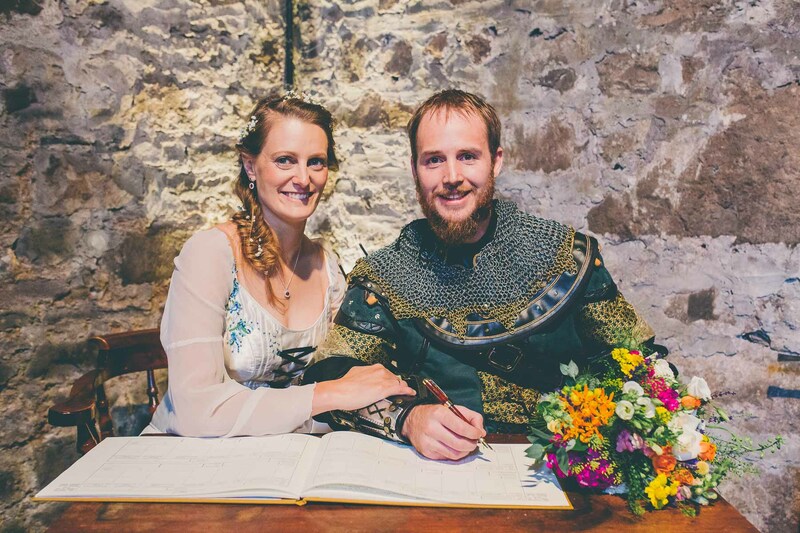 We had written our first reading ourselves, as it is from one of our favourite books and fitted us both well. 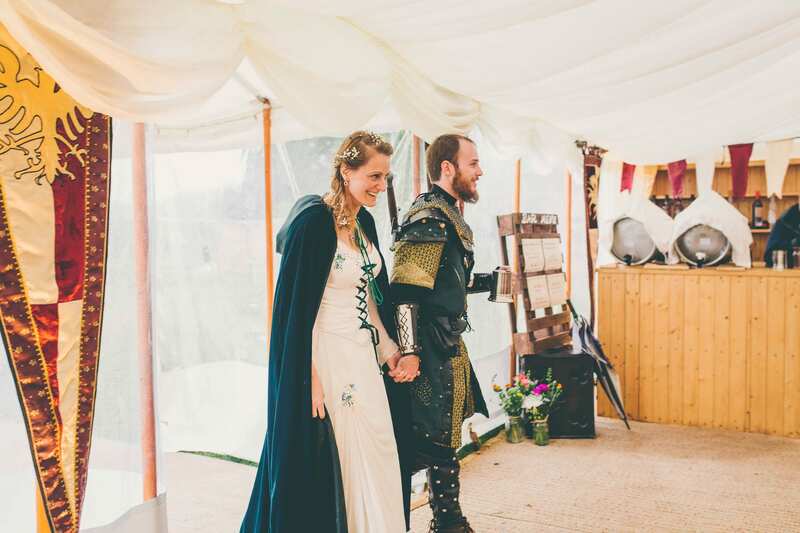 We were nervous saying our vows but were incredibly happy once they were said. 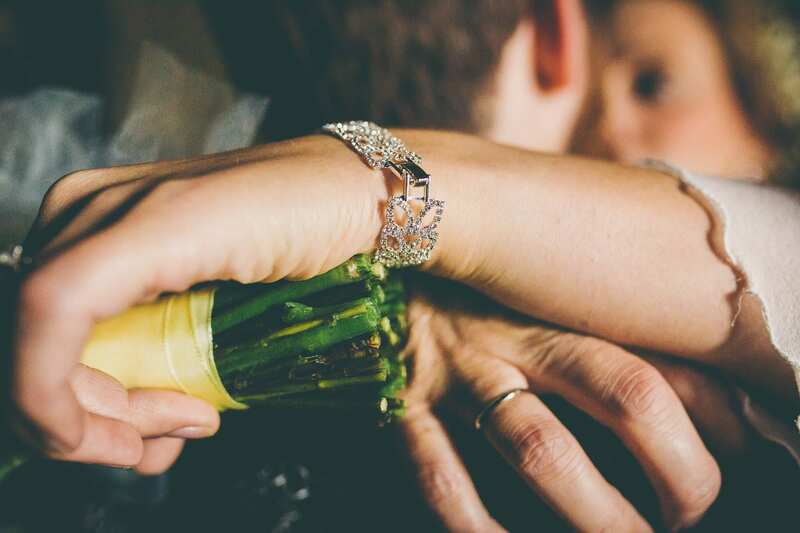 It meant the world to us especially with all of our family and close friends present. 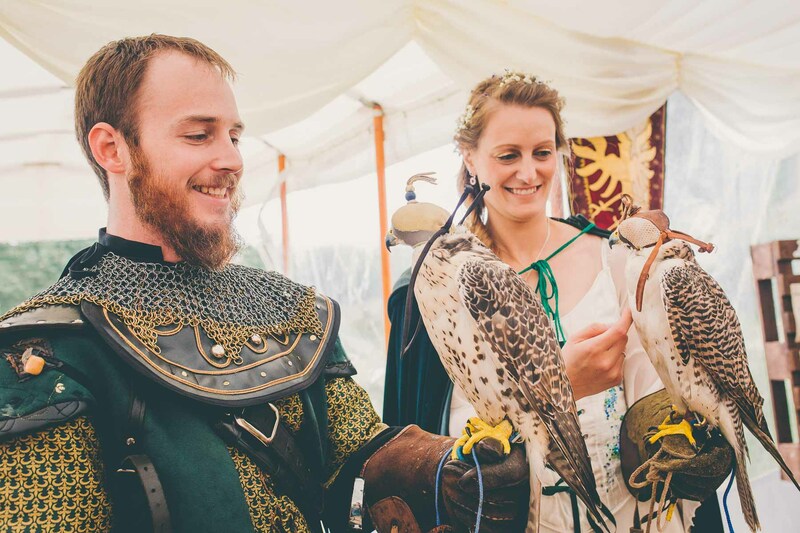 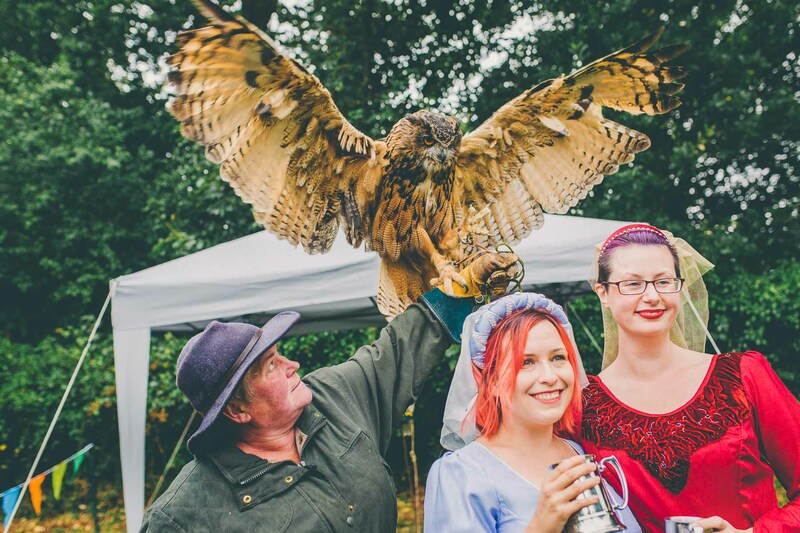 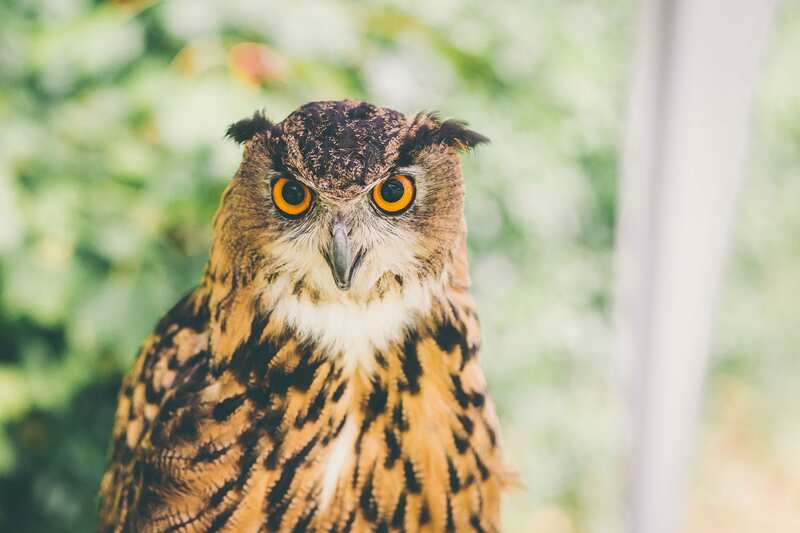 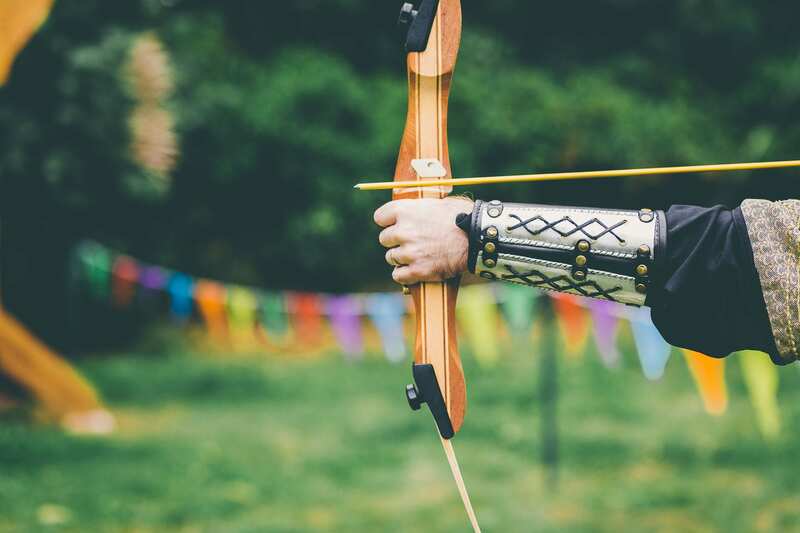 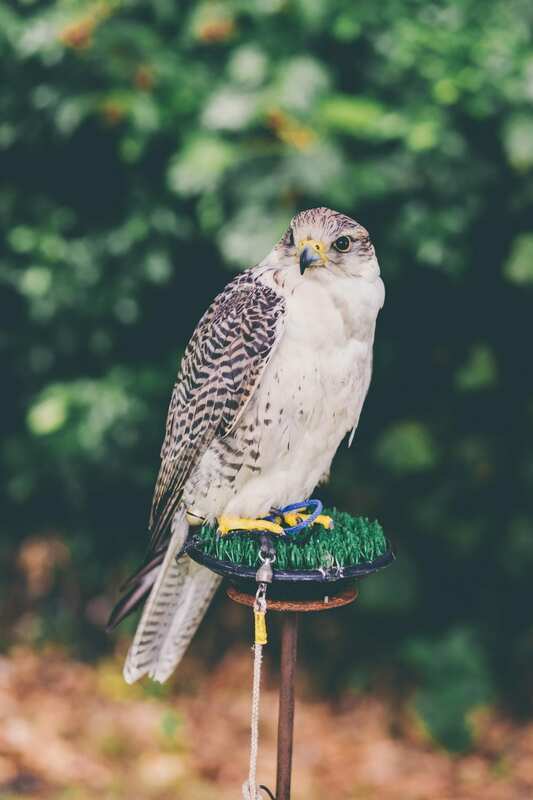 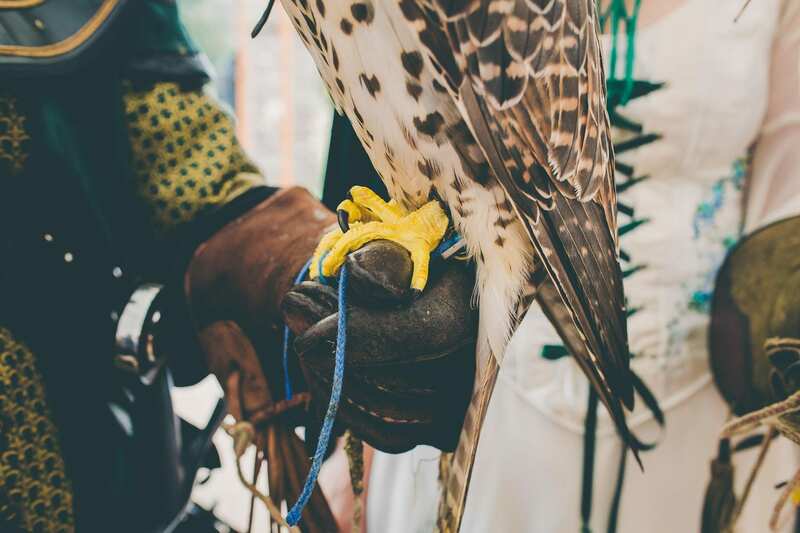 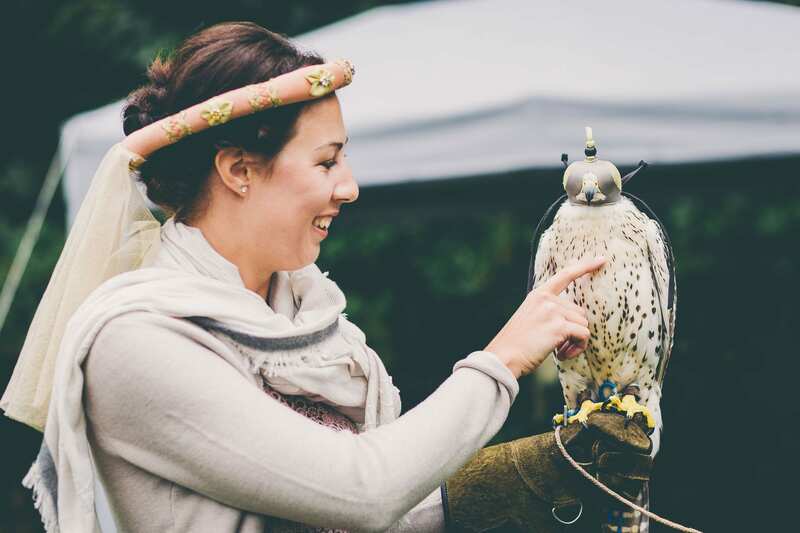 We had archery and falconry as the day entertainment and all the guest and us, of course, loved it. 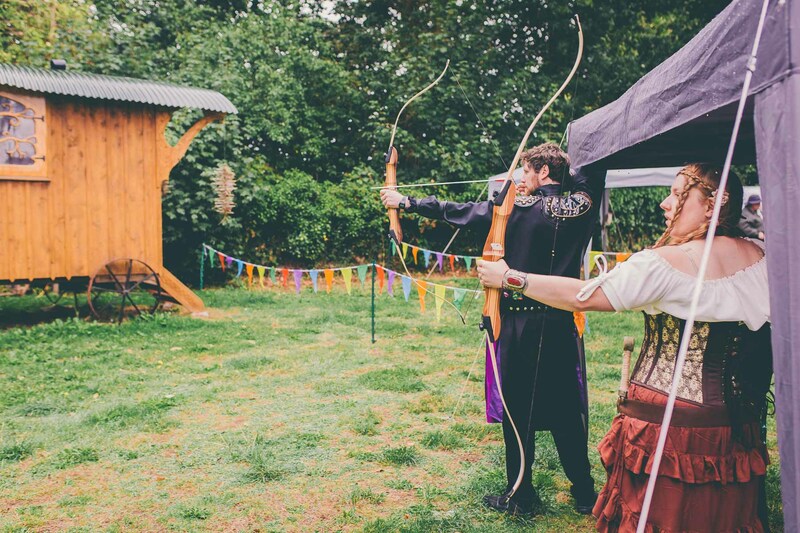 We had different falcons and owls to stroke and learned to hit stationary targets with bow and arrow. 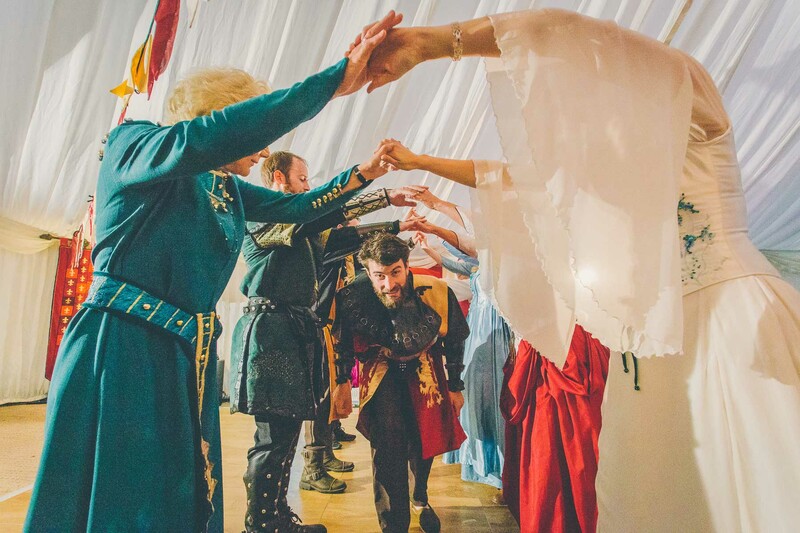 We had a ceilidh dance and included all the guest into the first dance. 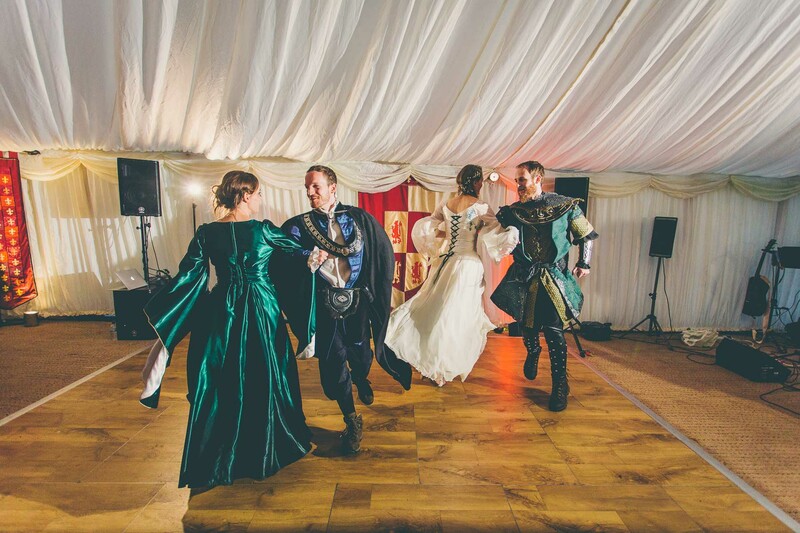 The ceilidh dancing was our favourite part because we enjoyed mingling and laughing with our guests. 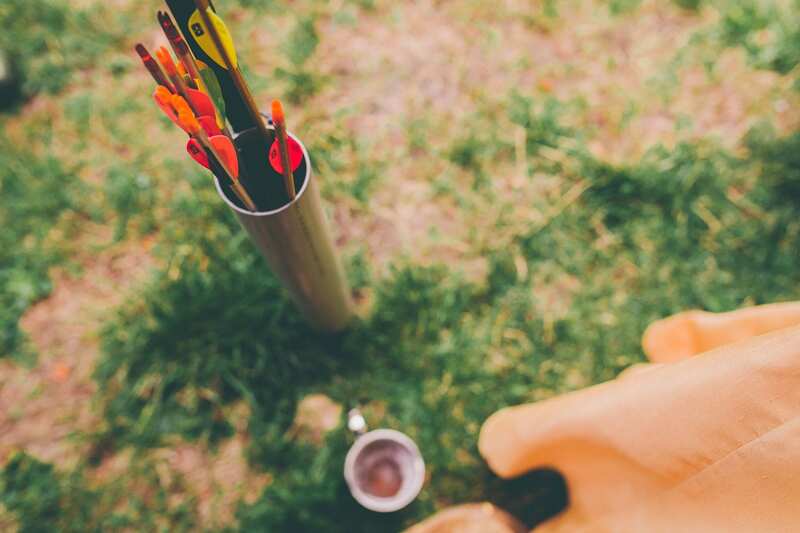 Always have a plan B. 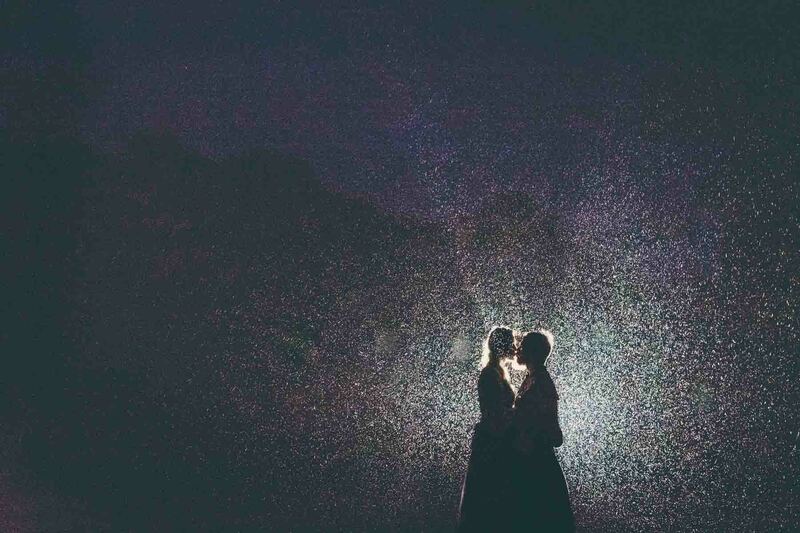 We had bad weather all day and luckily prepared for rain. 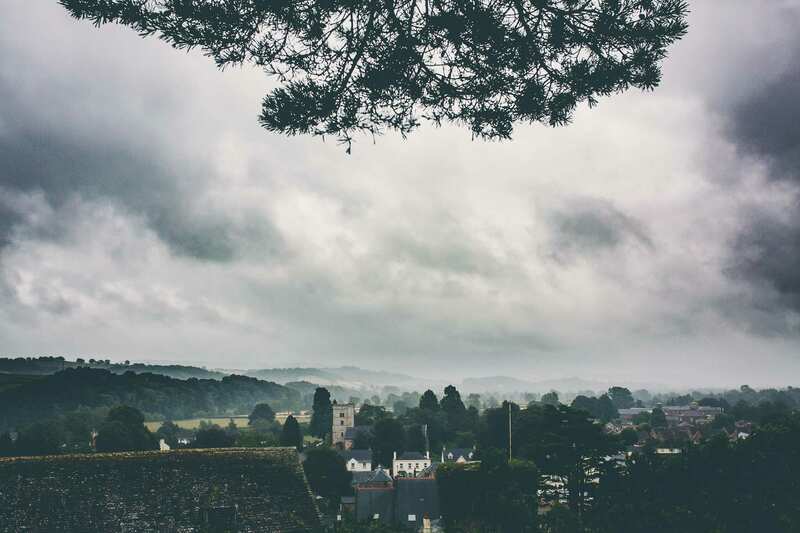 We went for a couple of day to the Lake District, York and Yorkshire Dale. 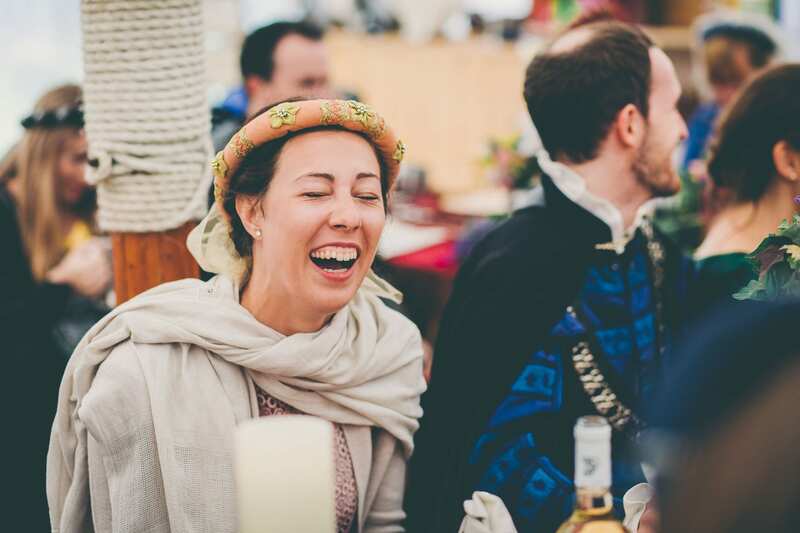 Furthermore, we spend a long weekend in Rome. 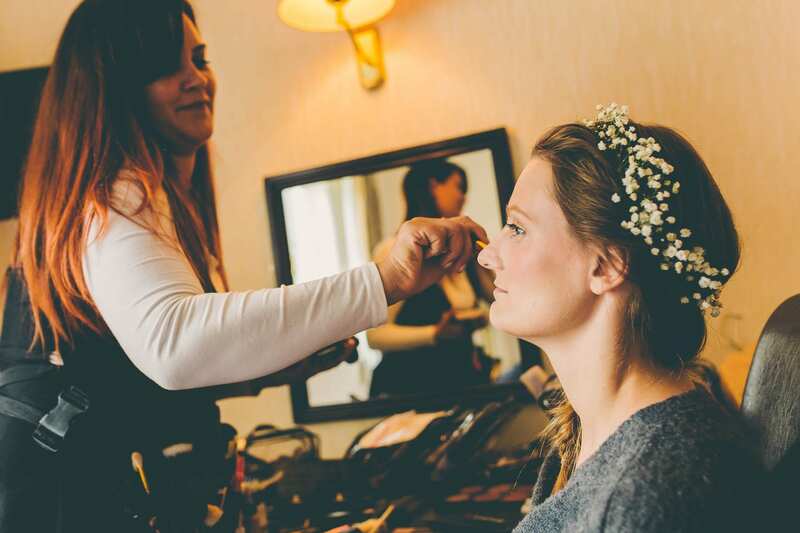 Larissa is the nicest person ever and she is extremely professional and thoughtful. 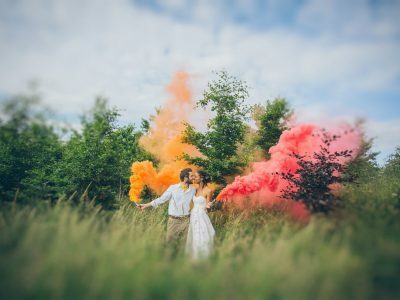 She also has an amazing eye for unique shots and colour. 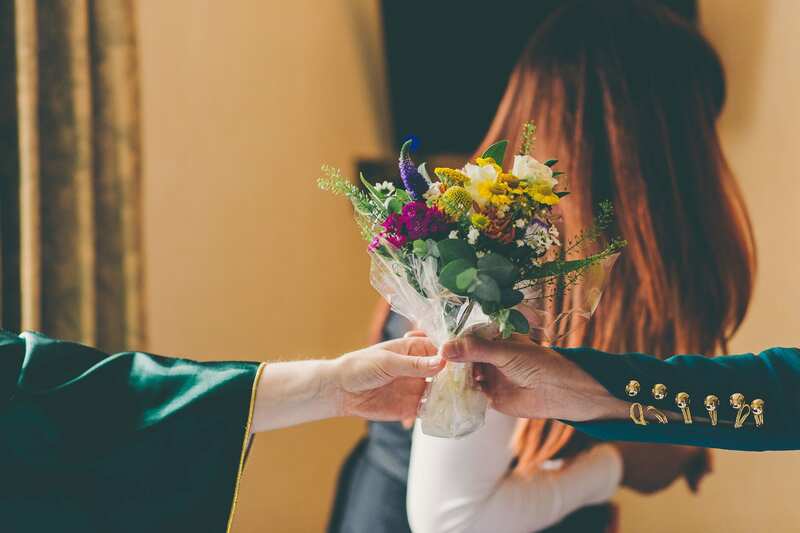 We have already recommended her to friends and will do so in the future. 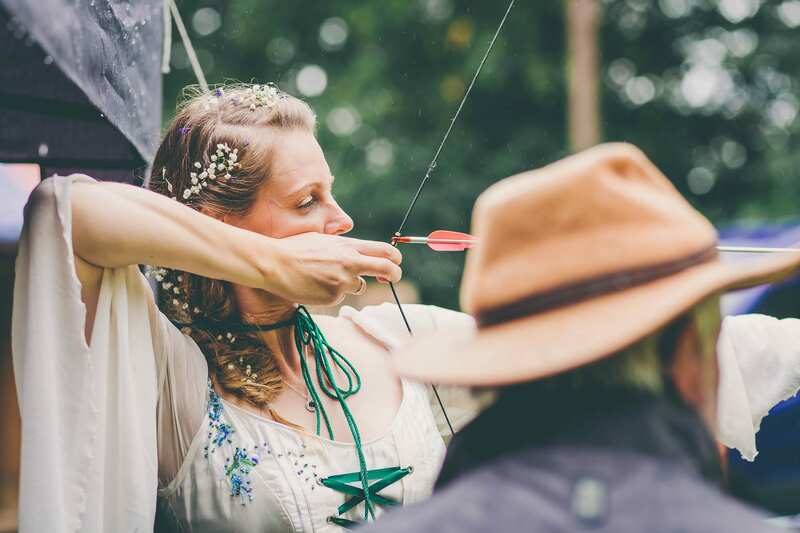 She can take natural shots like no other. 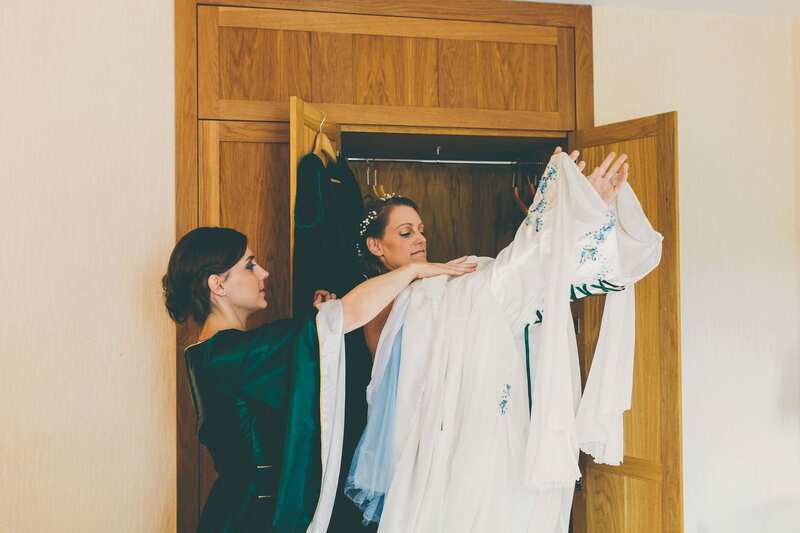 We were very happy that we did not have to do many staged photos. 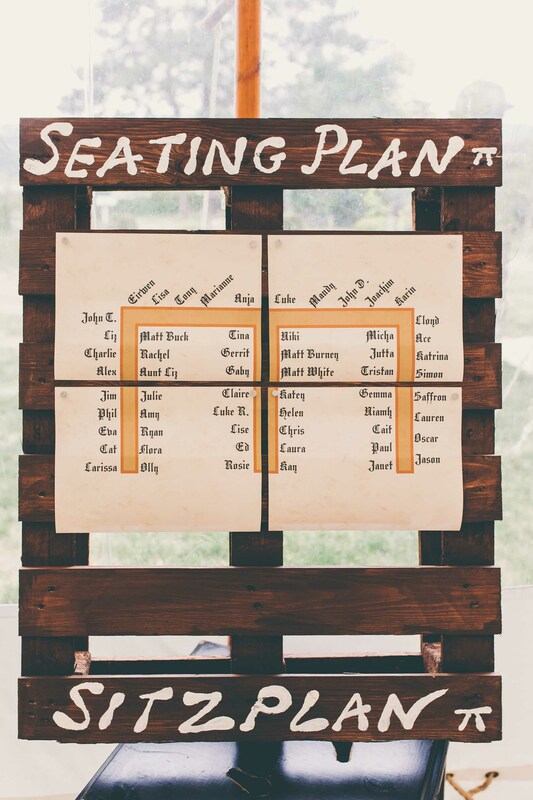 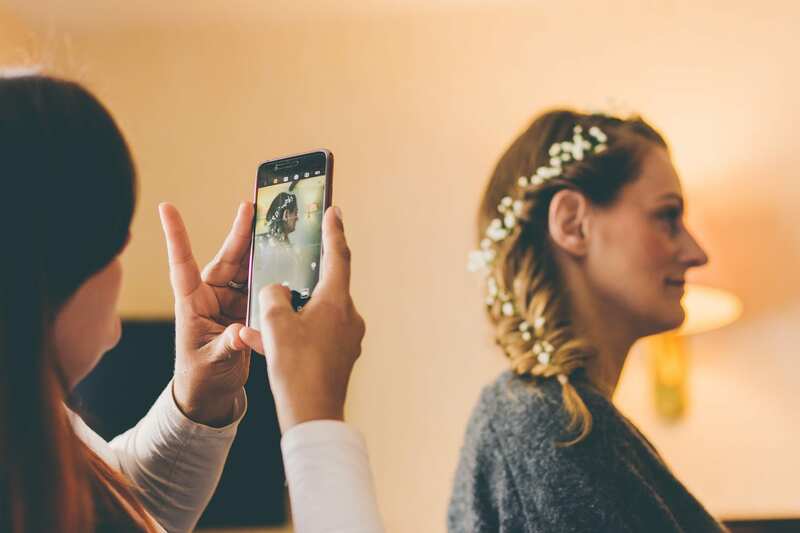 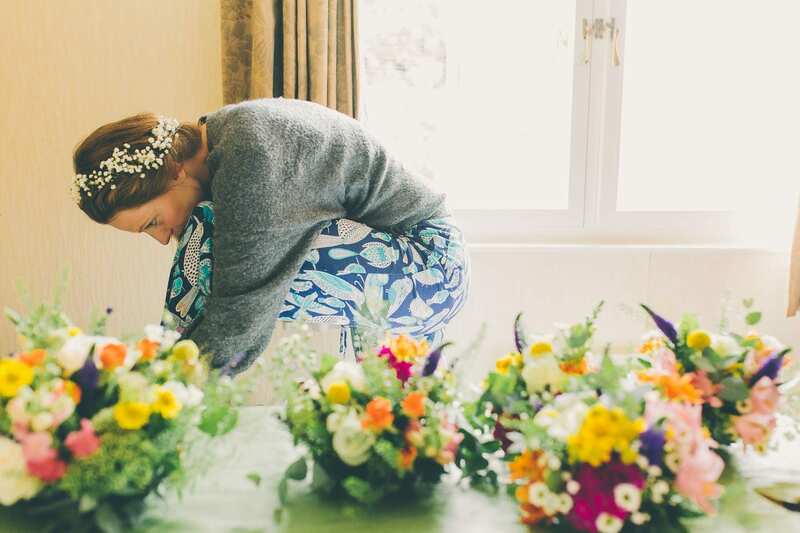 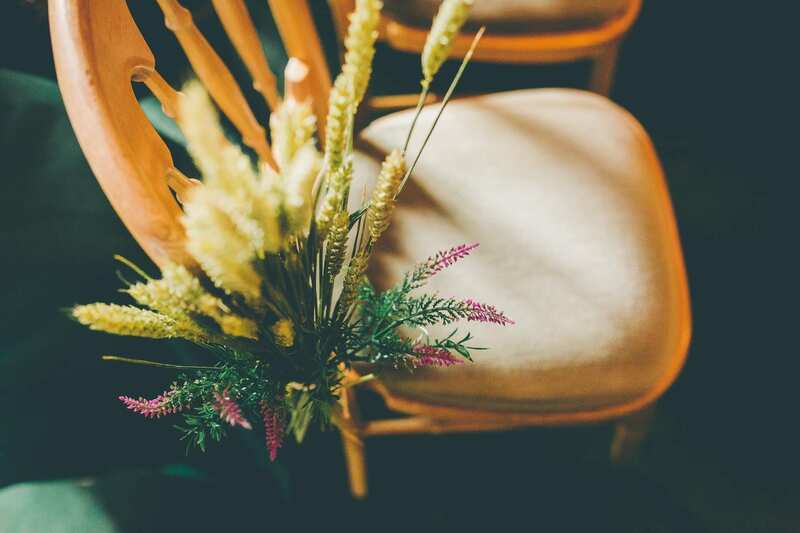 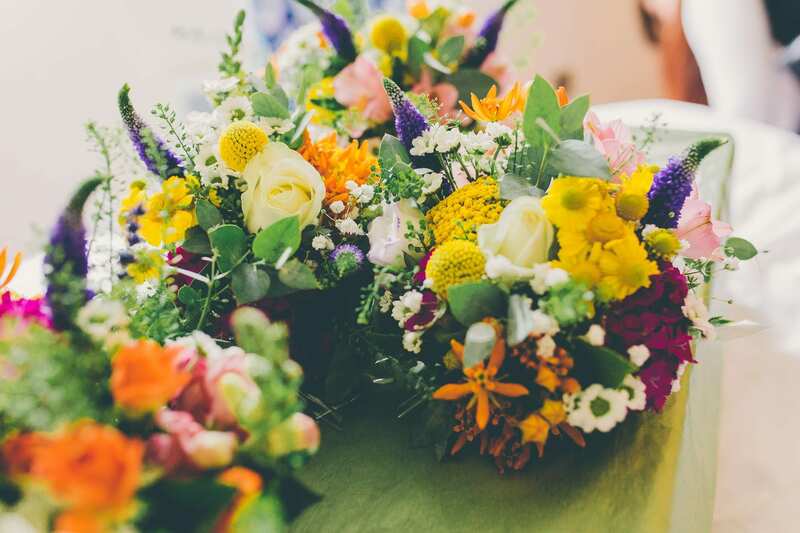 Organising a wedding is like starting a new job without training! 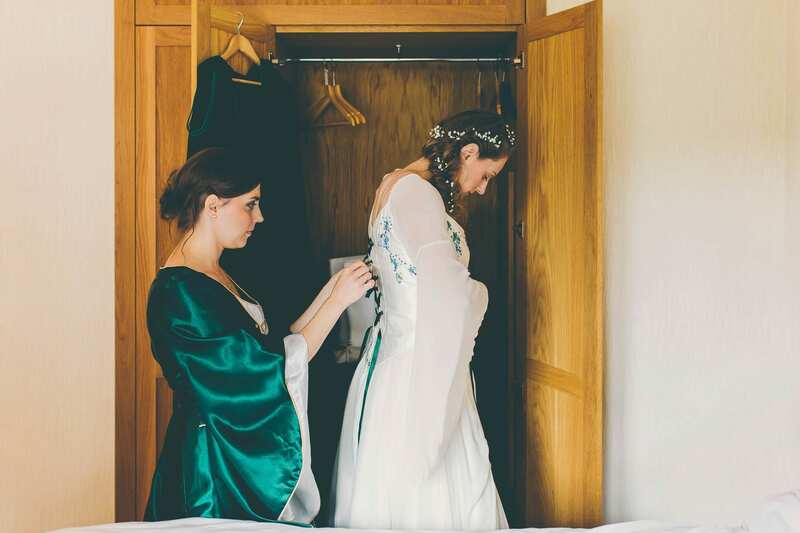 Larissa Joice was not only our wedding photographer but also indirectly our wedding planner. 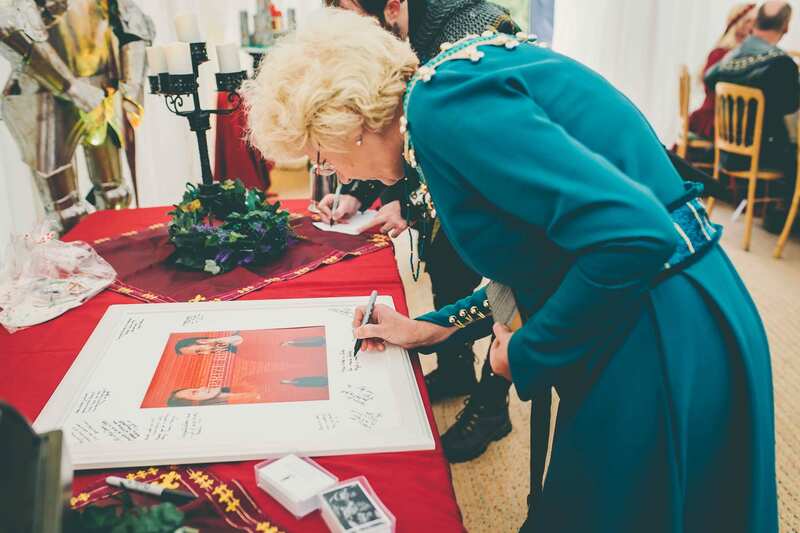 Her fantastic questionnaire made us think about issue and organisational hurdles we had not considered. 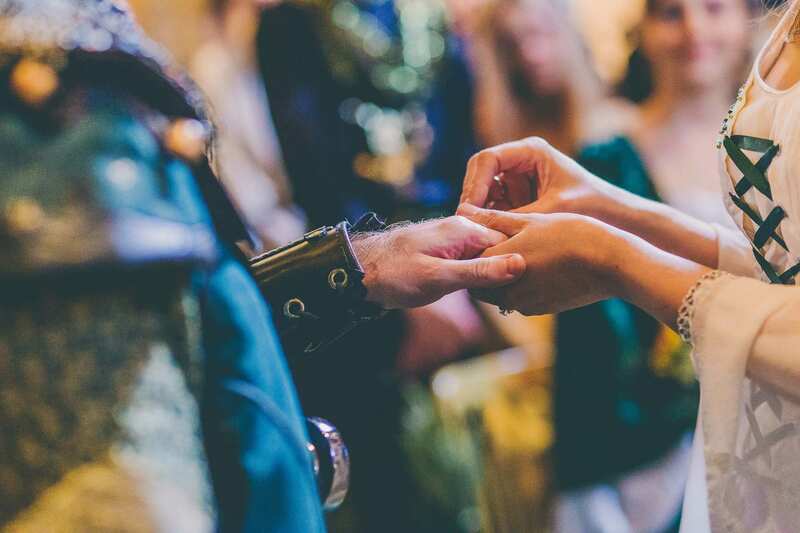 It made our wedding so much better. 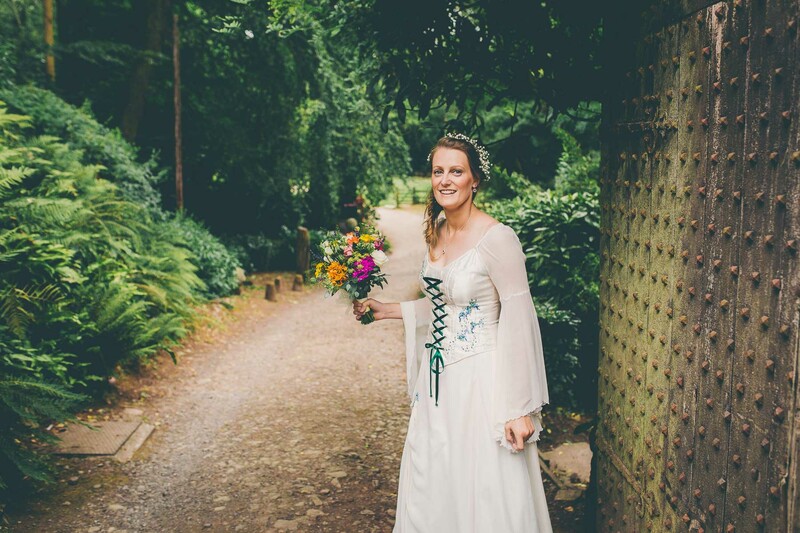 Larissa is friendly and open minded and always responds promptly to any queries and she send reminders! 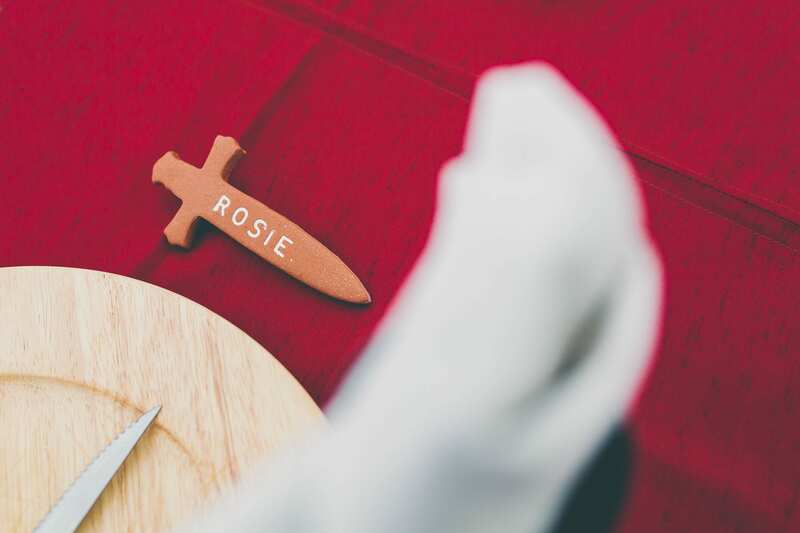 She made us feel special by sending us super delicious chocolates. 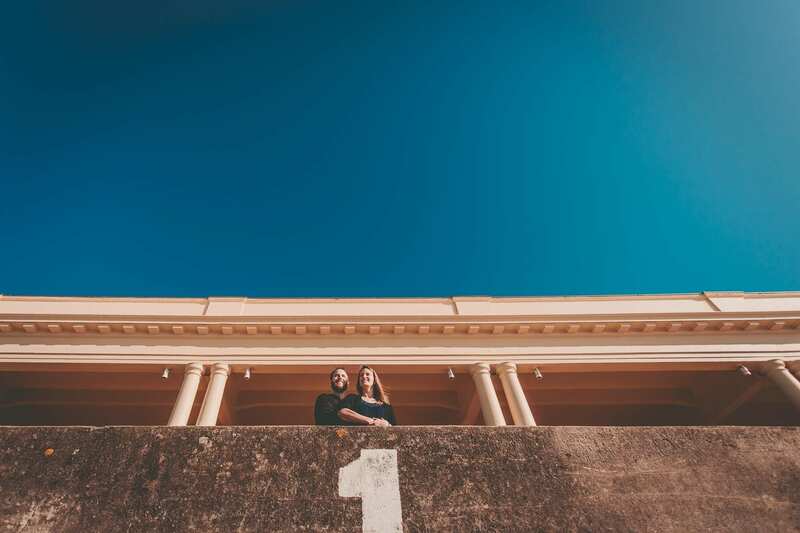 Above all of this she is an amazing photographer! 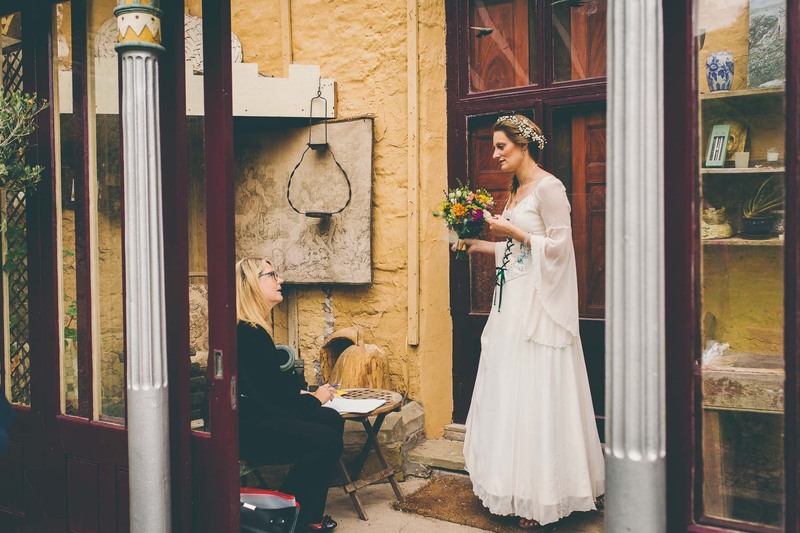 She has an eye for unique shots and colour. 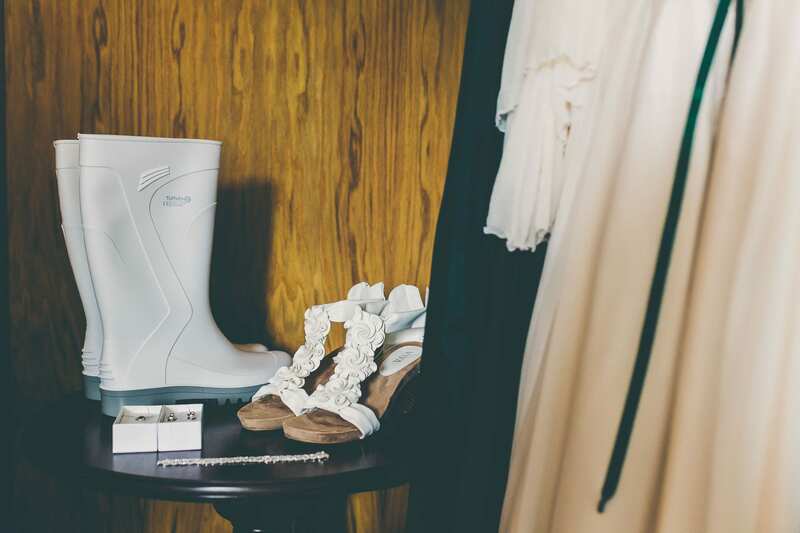 Furthermore, on our wedding day it rained cats and dogs and we took our formals in dark places. 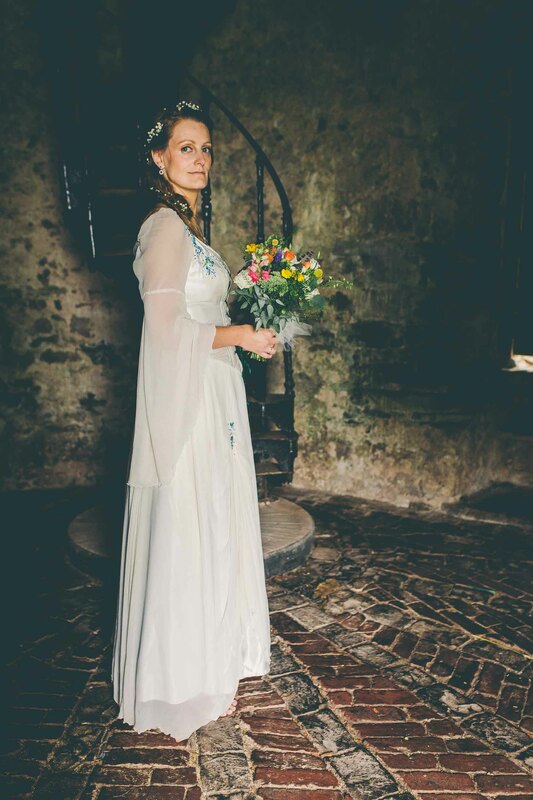 When looking at the photos there is so much light and warmth about them that it makes us extremely happy looking at them and I now completely forgot the damp and windy conditions she had to work with! 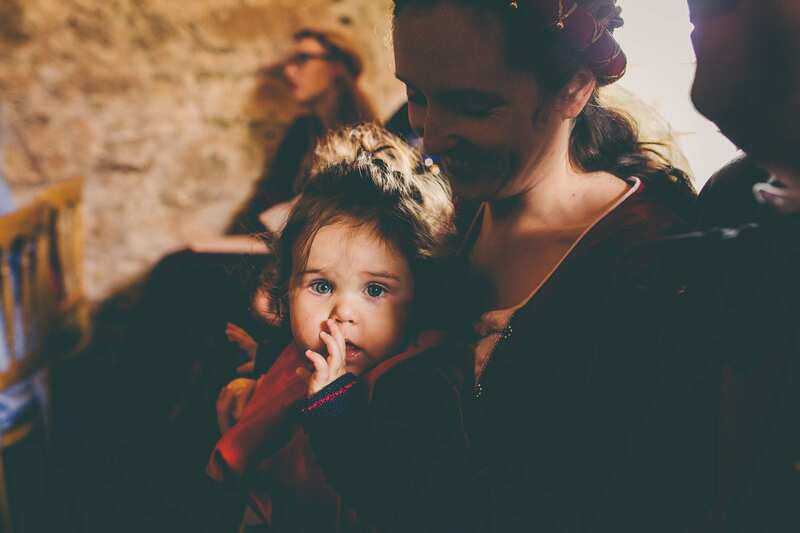 We will book her again in the future for family photos! 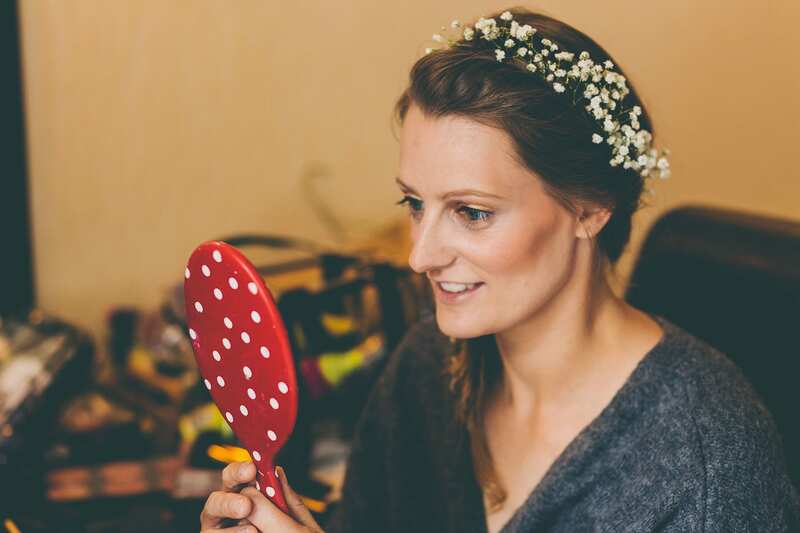 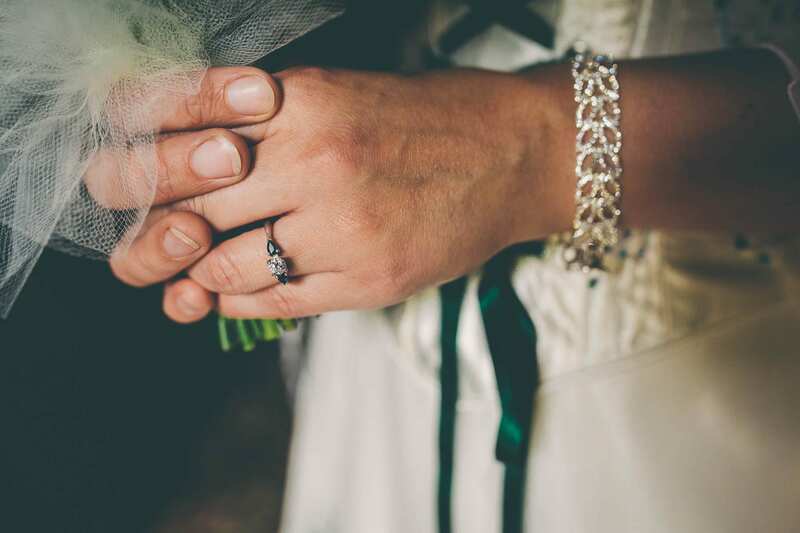 We highly recommend her as a wedding photographer and wish her all the best for her business. 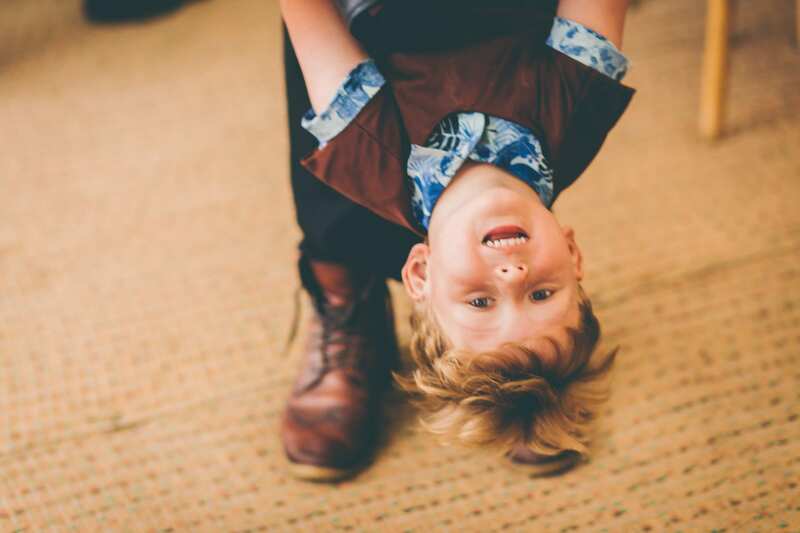 and if THAT’S not enough .. here’s their preview slideshow!